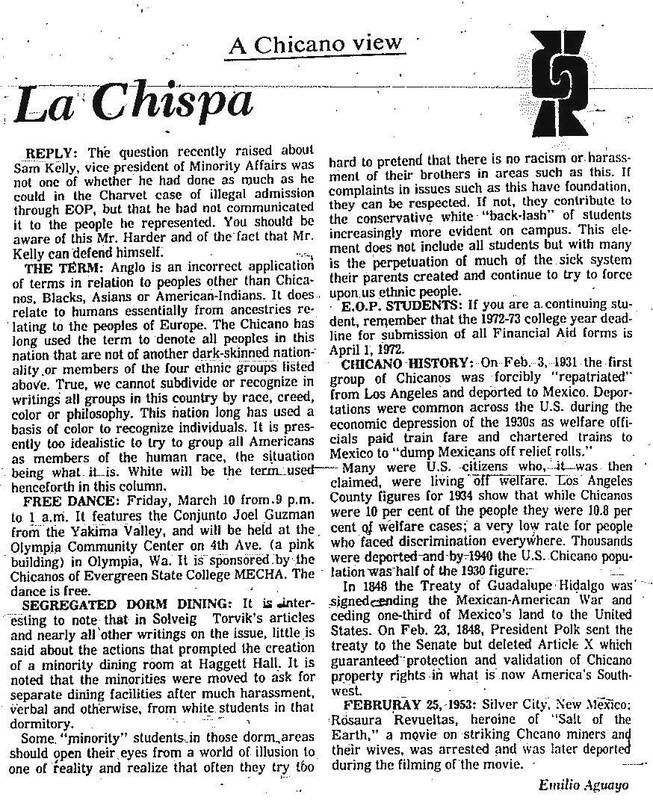 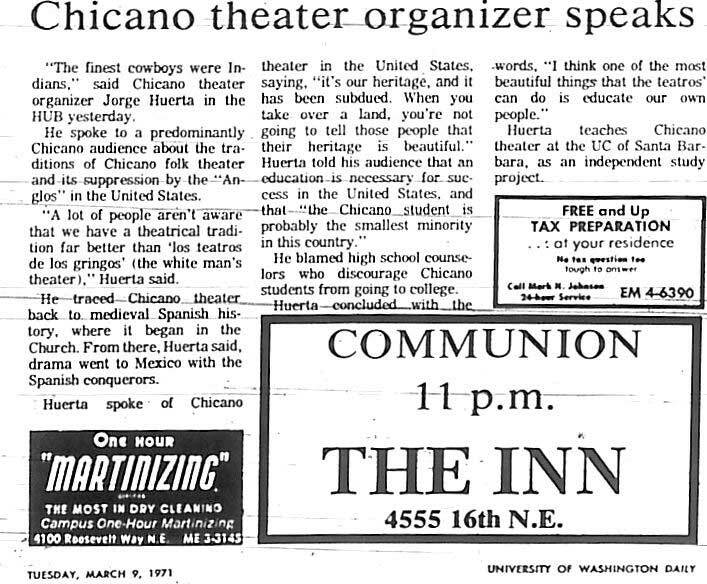 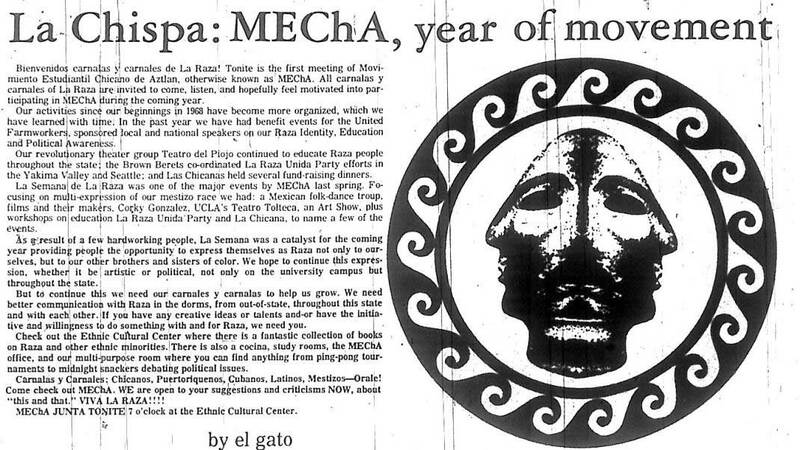 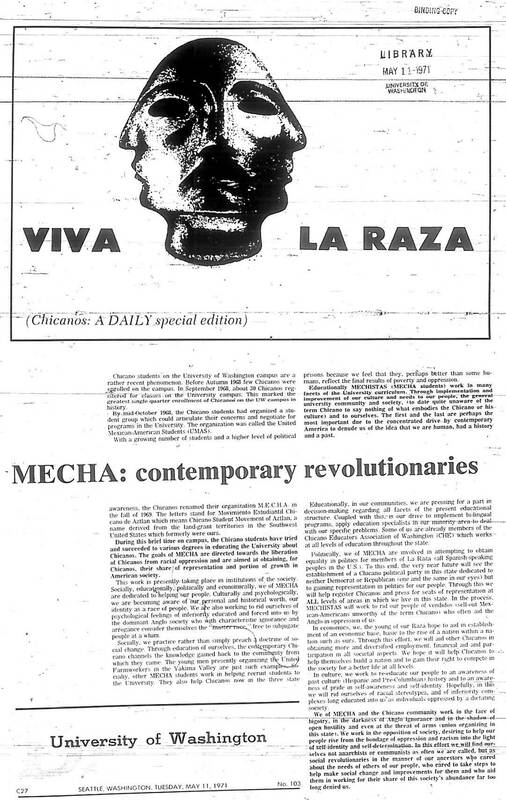 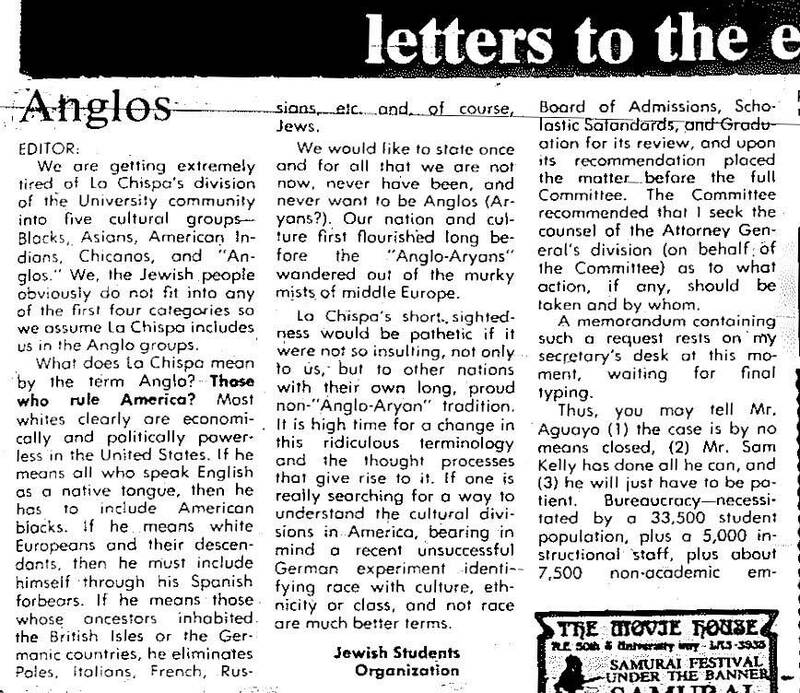 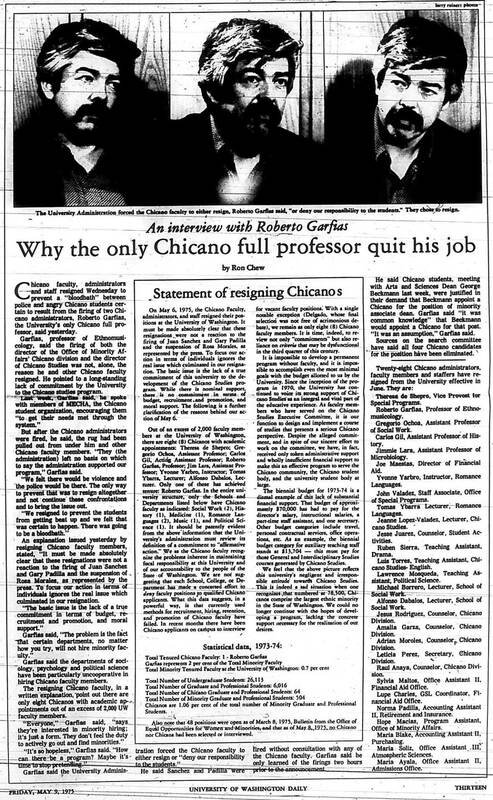 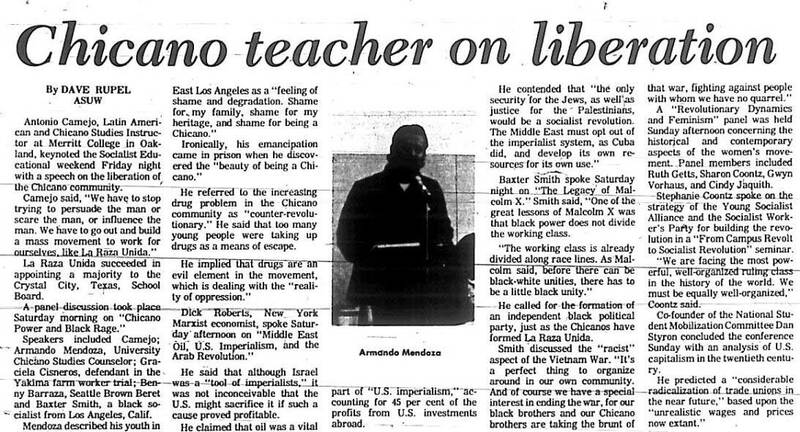 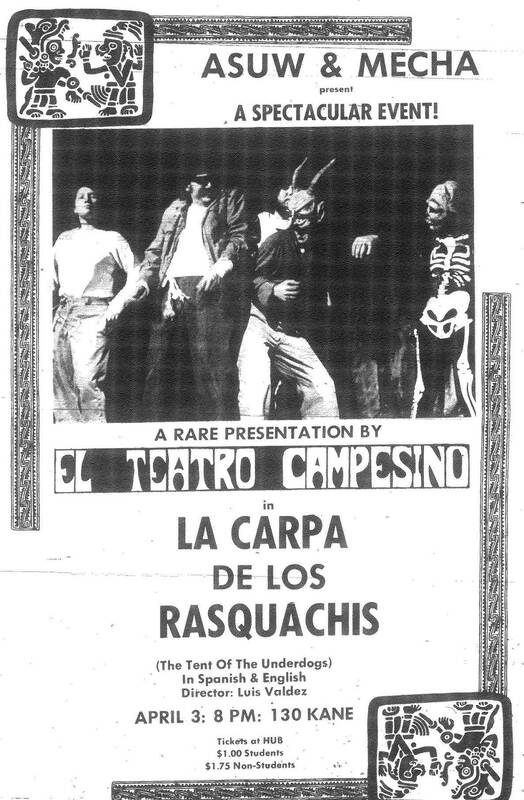 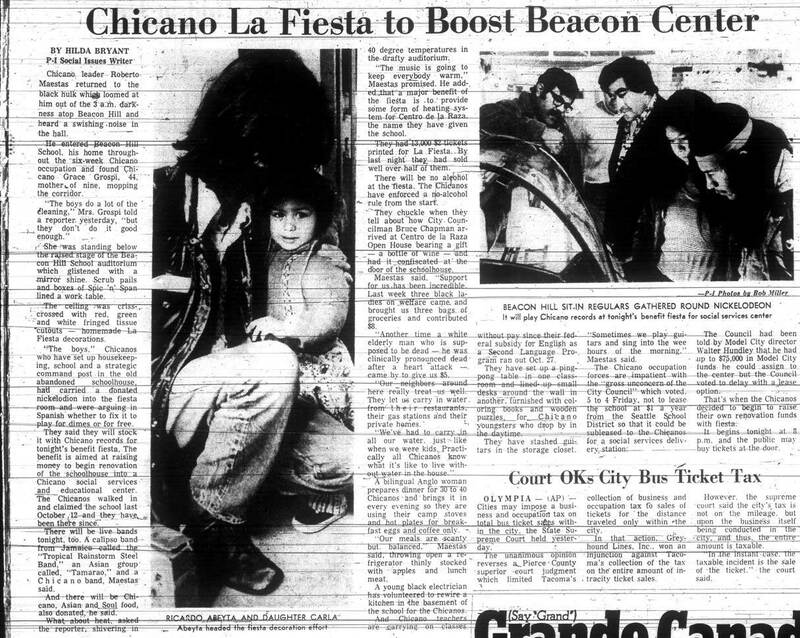 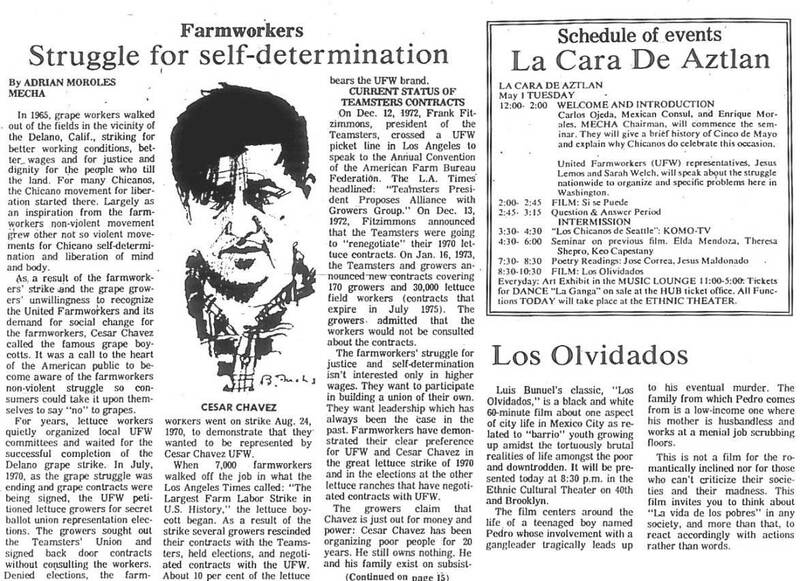 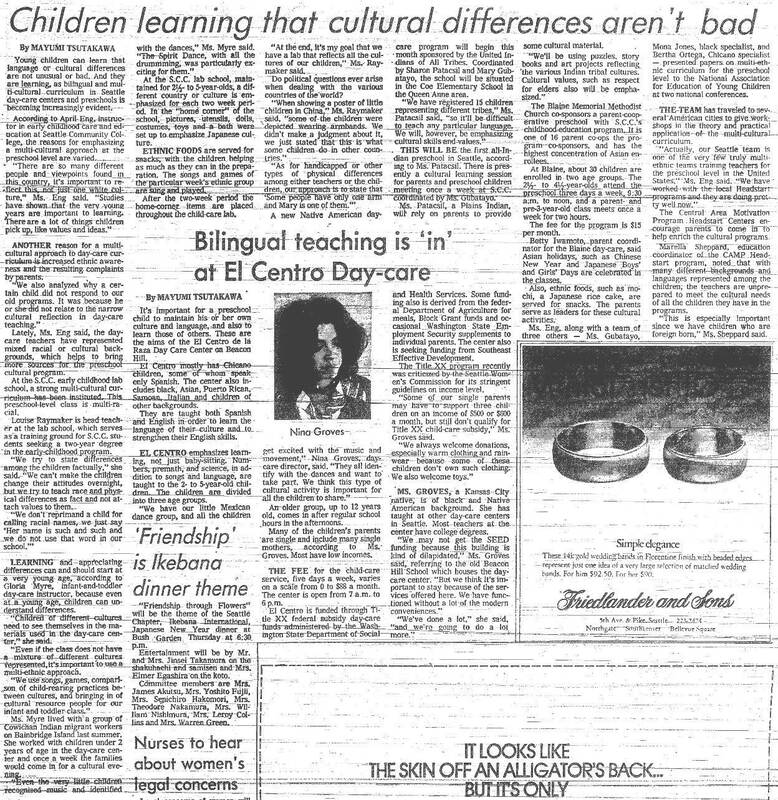 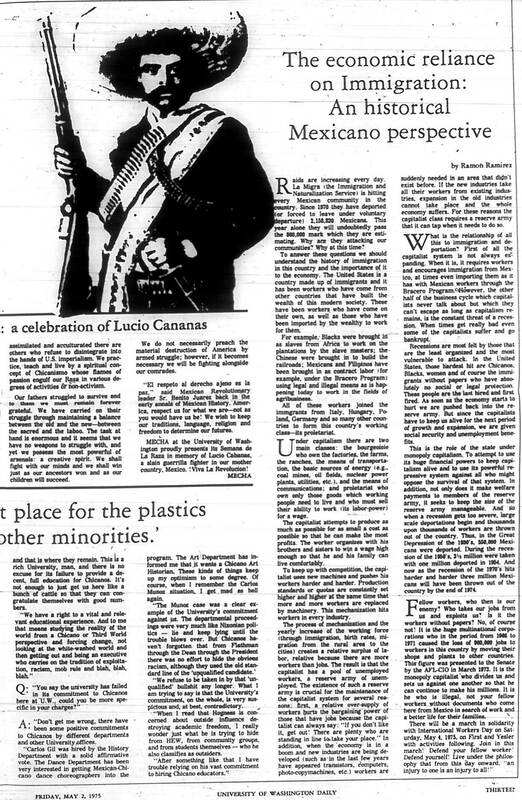 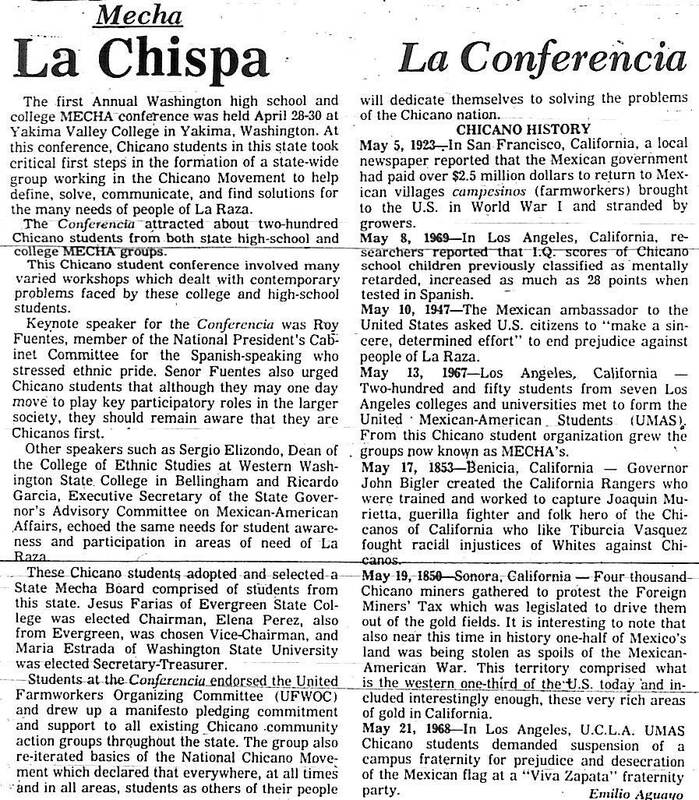 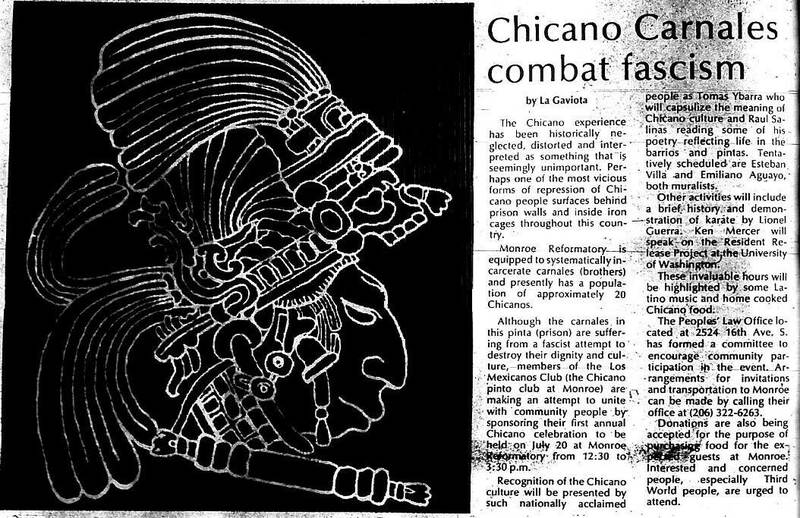 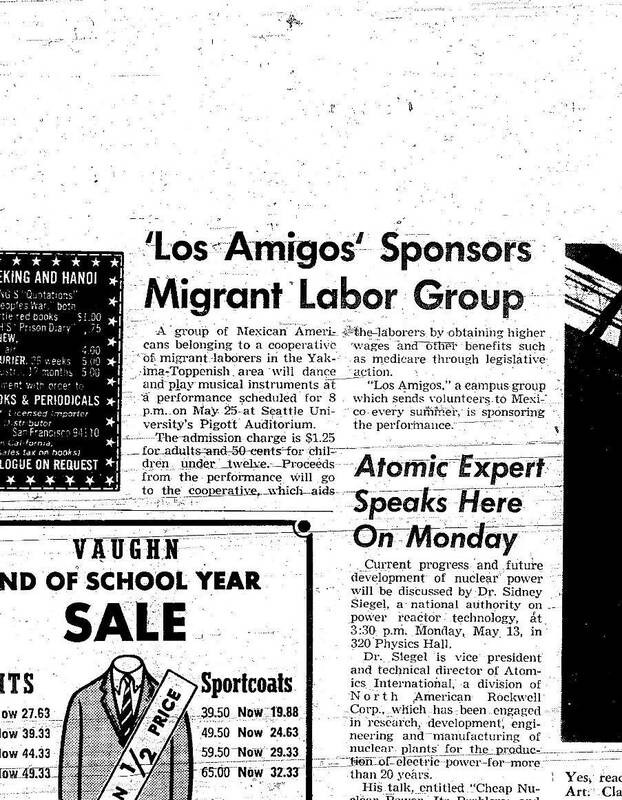 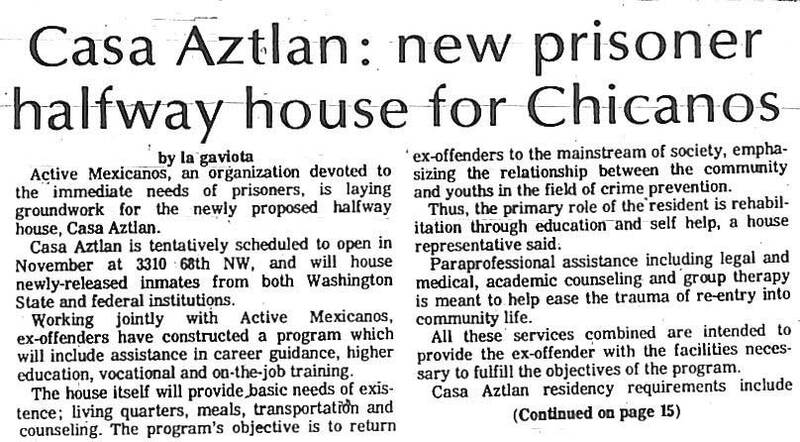 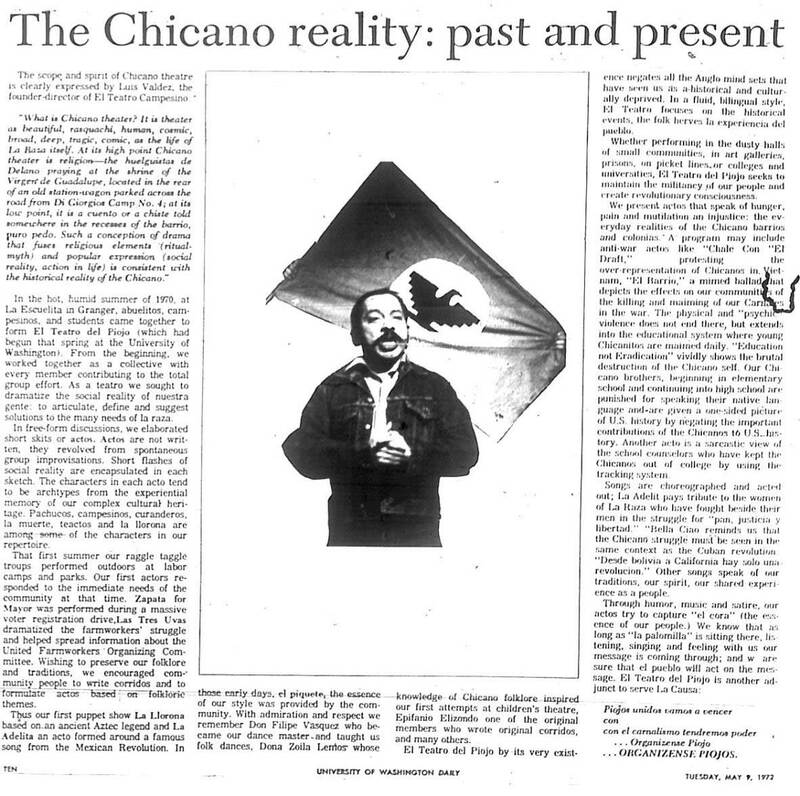 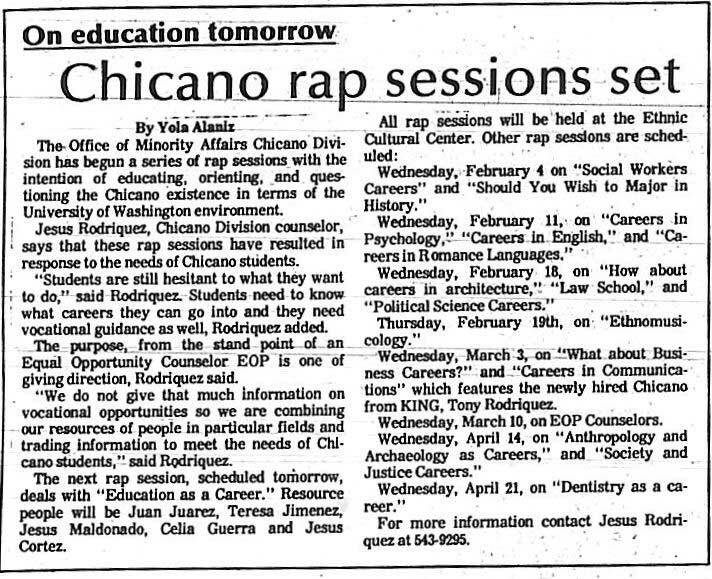 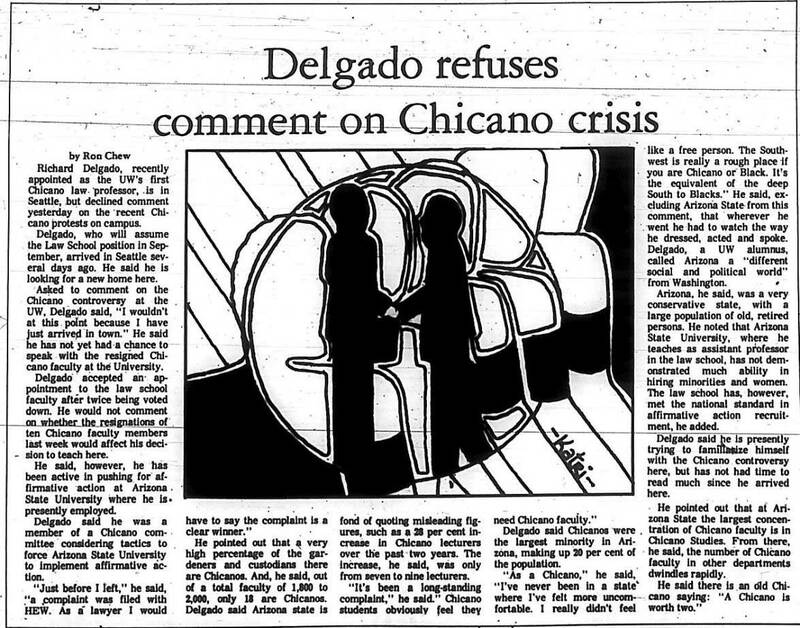 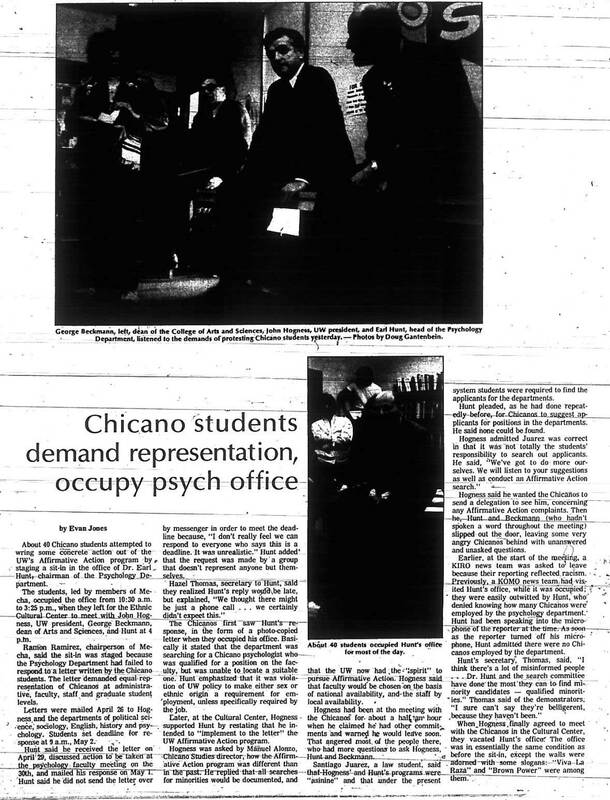 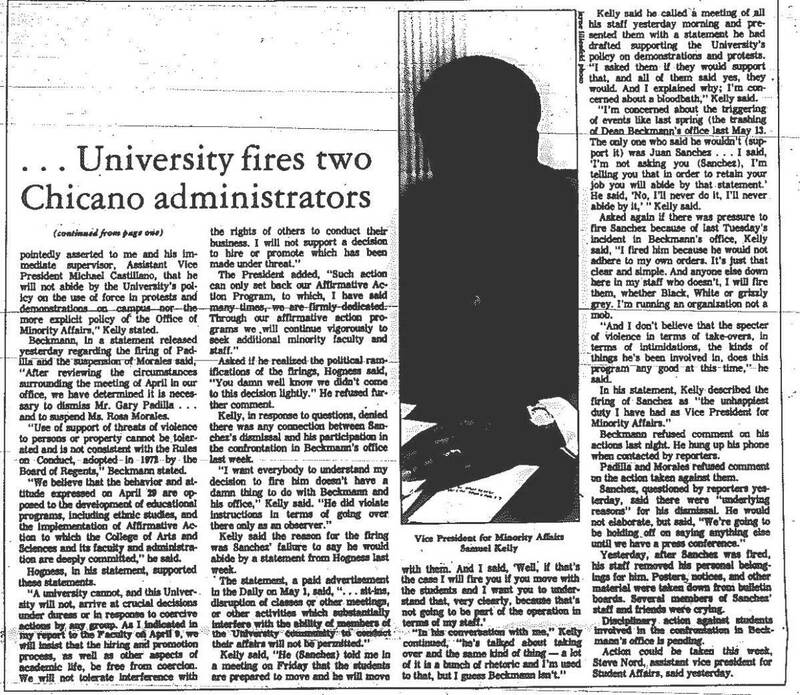 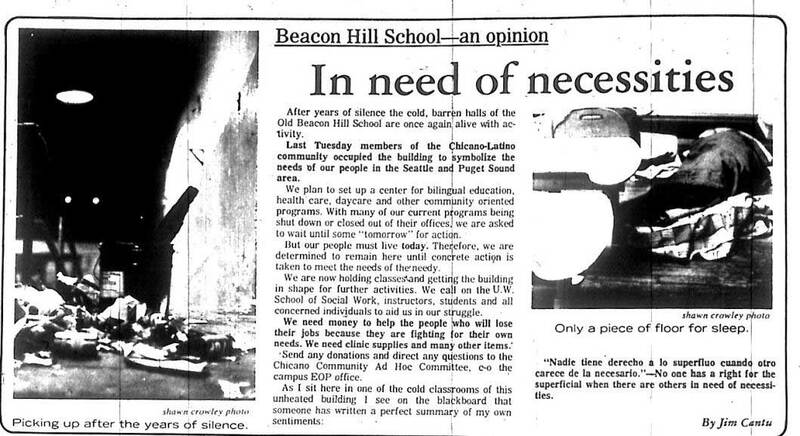 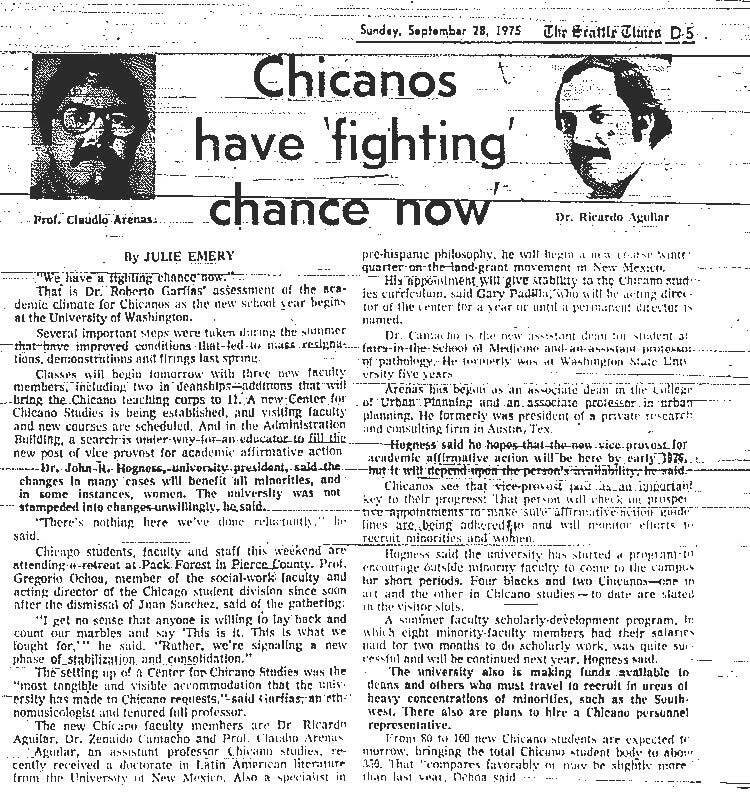 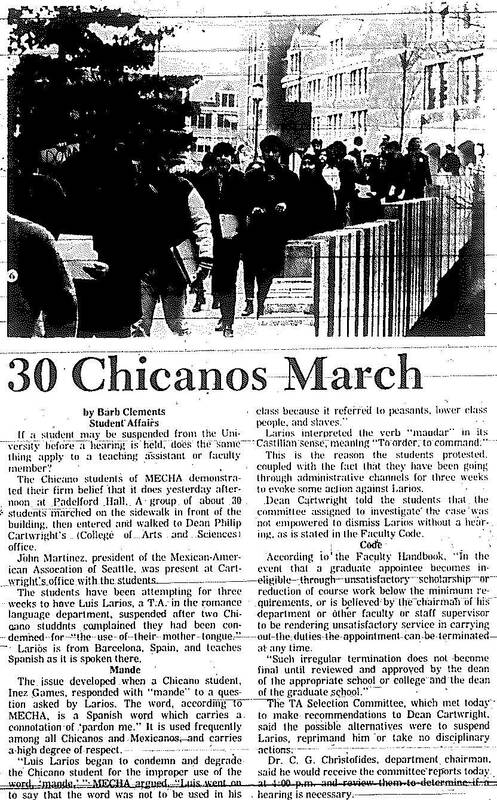 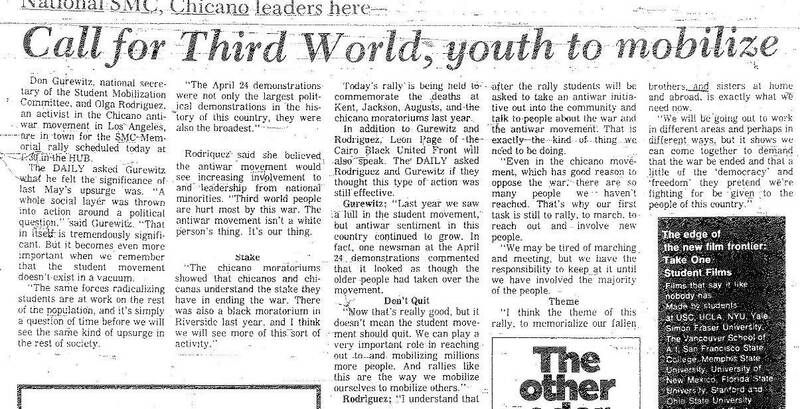 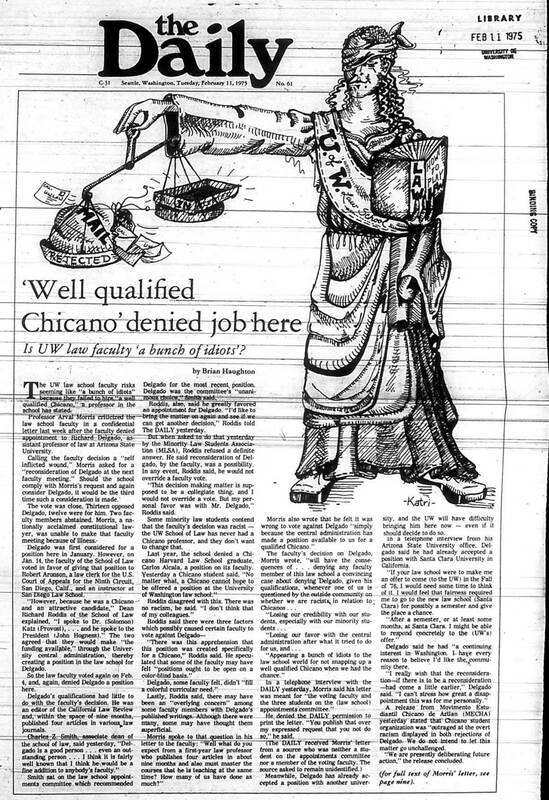 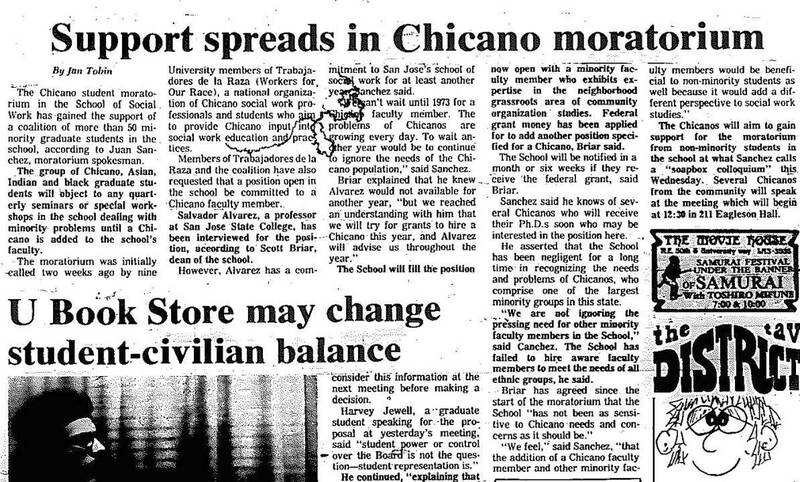 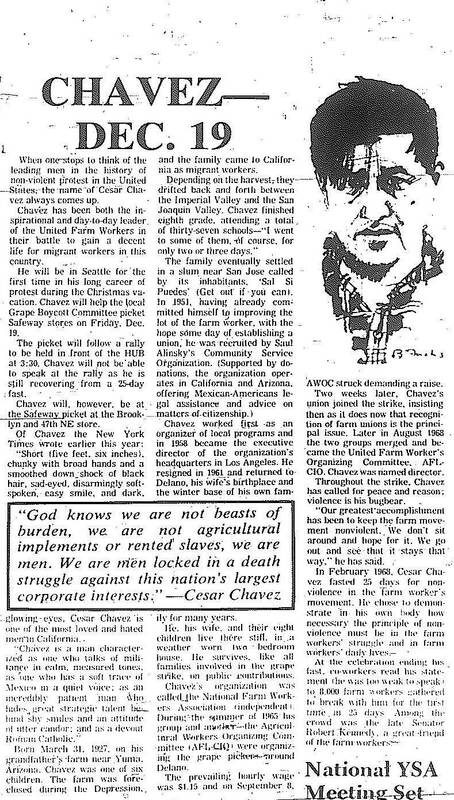 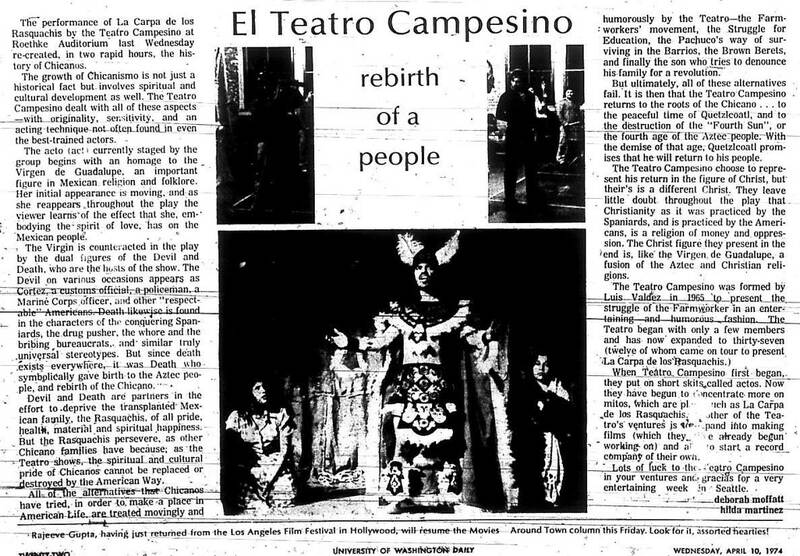 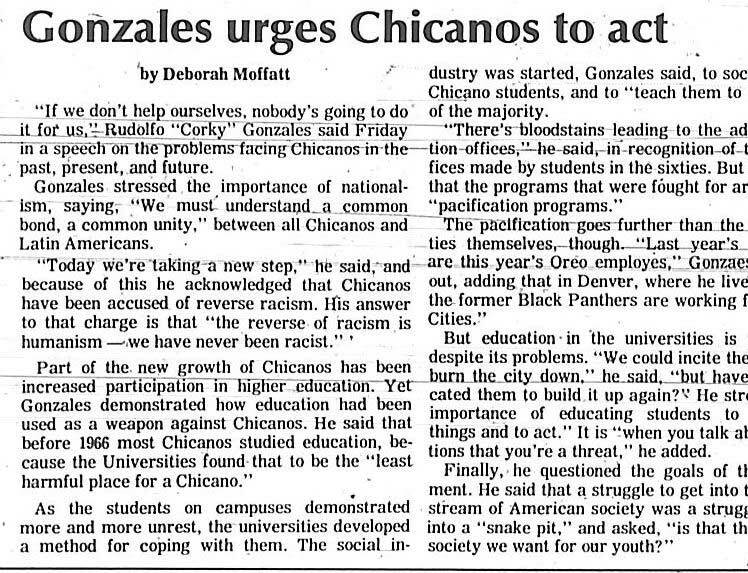 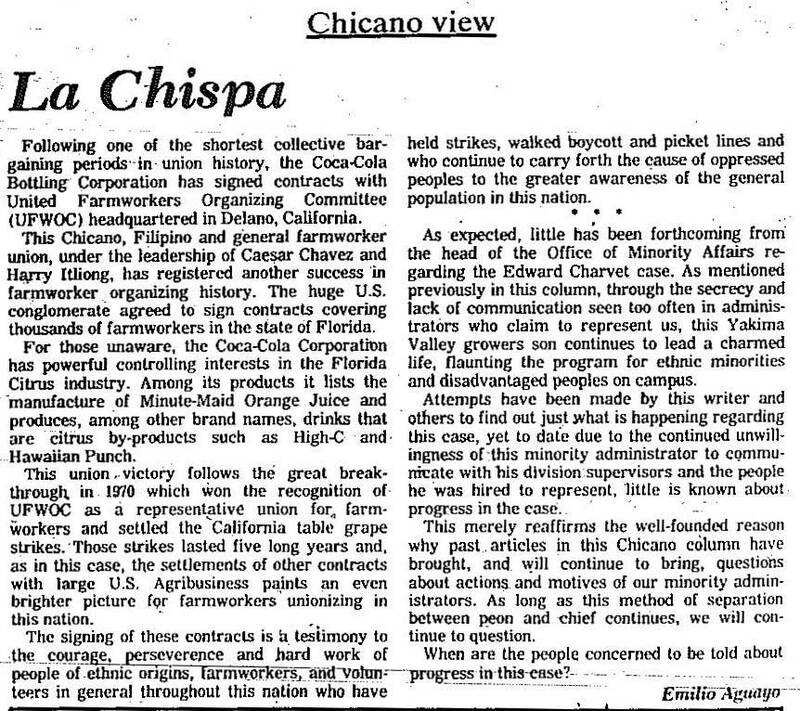 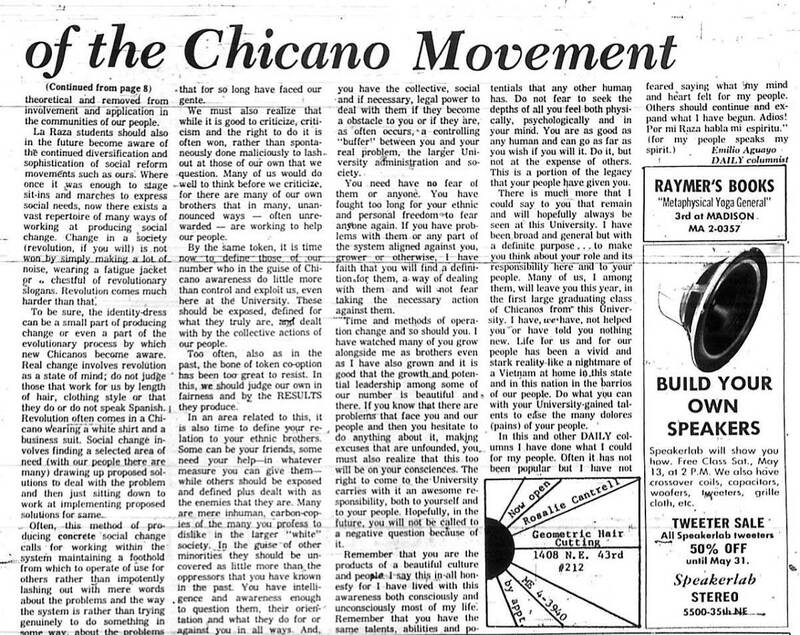 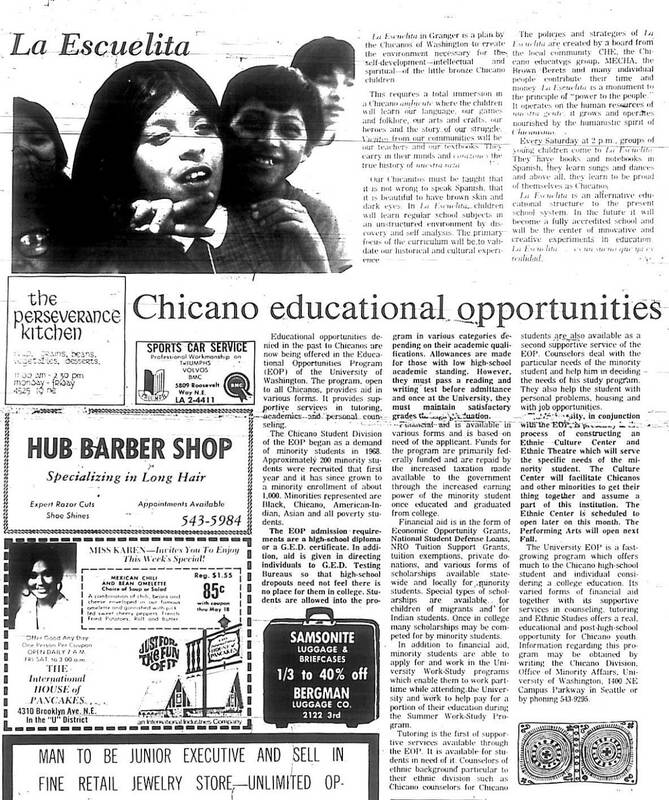 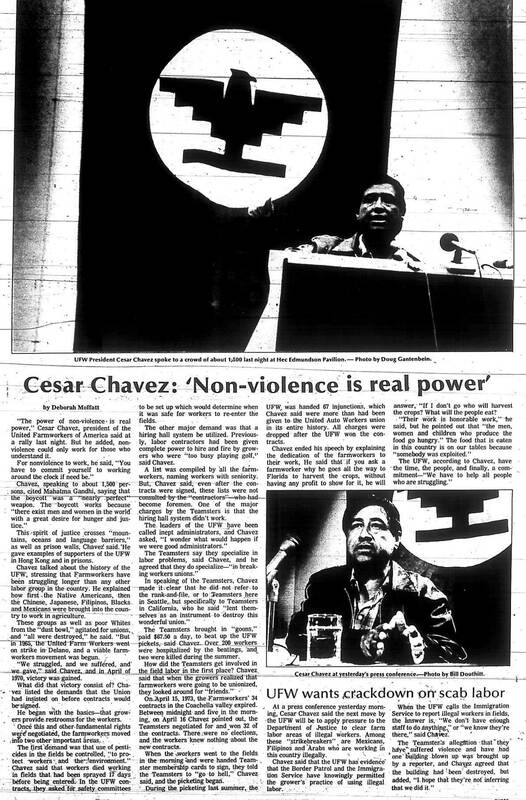 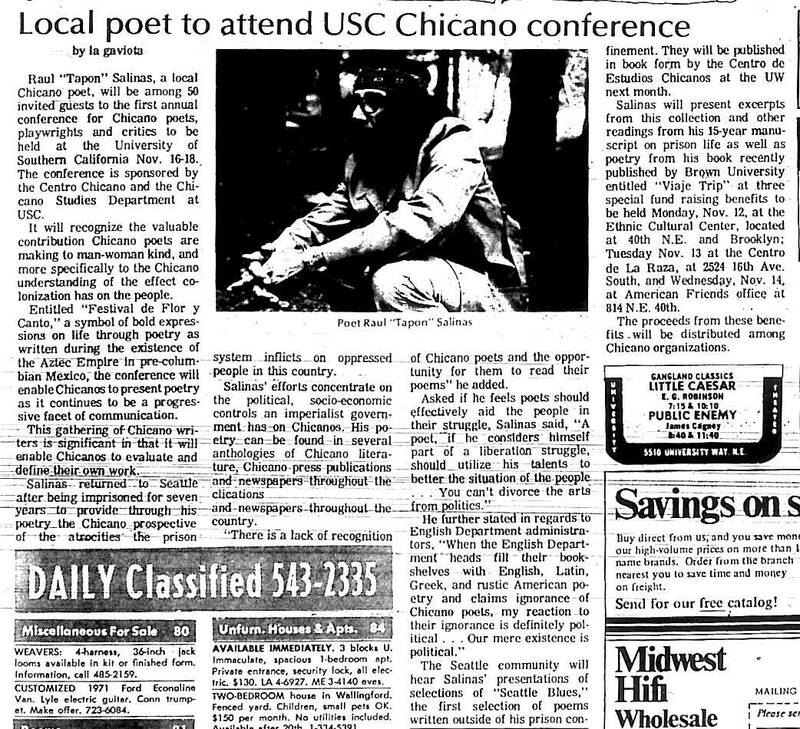 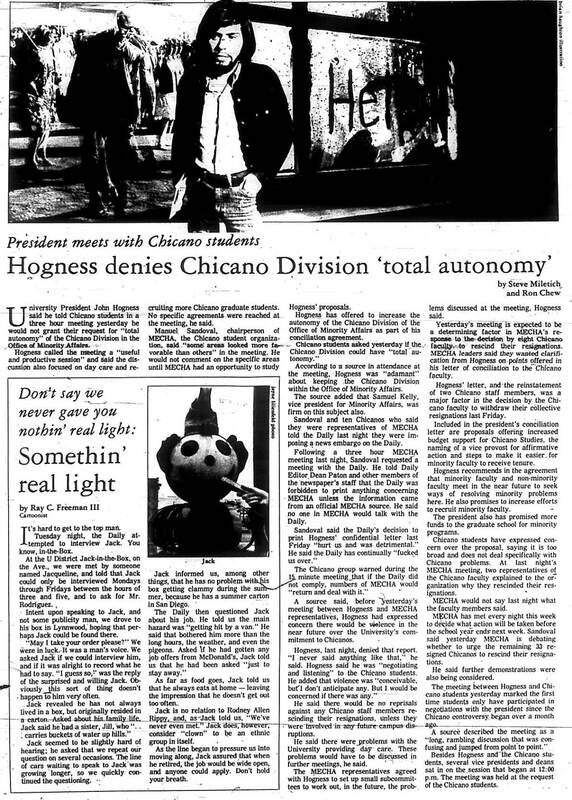 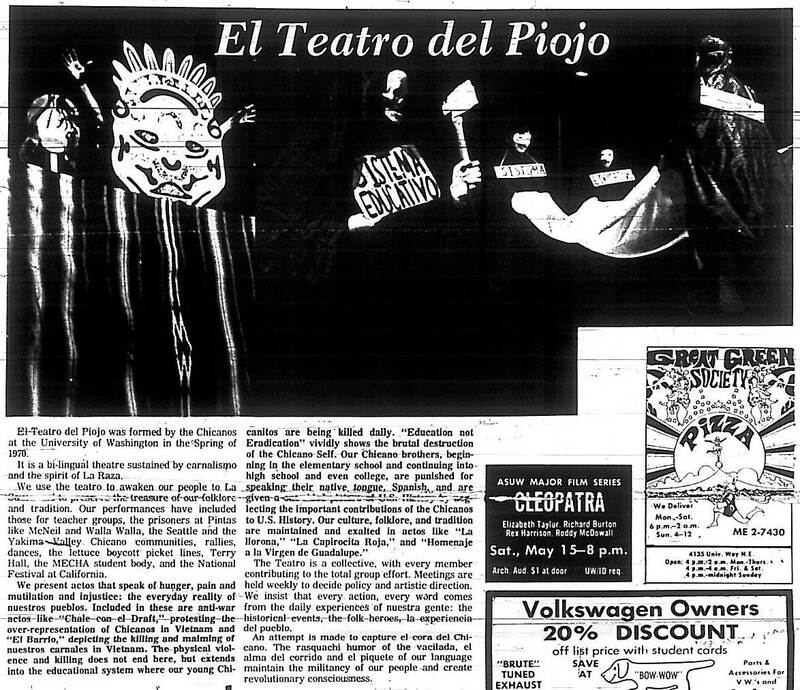 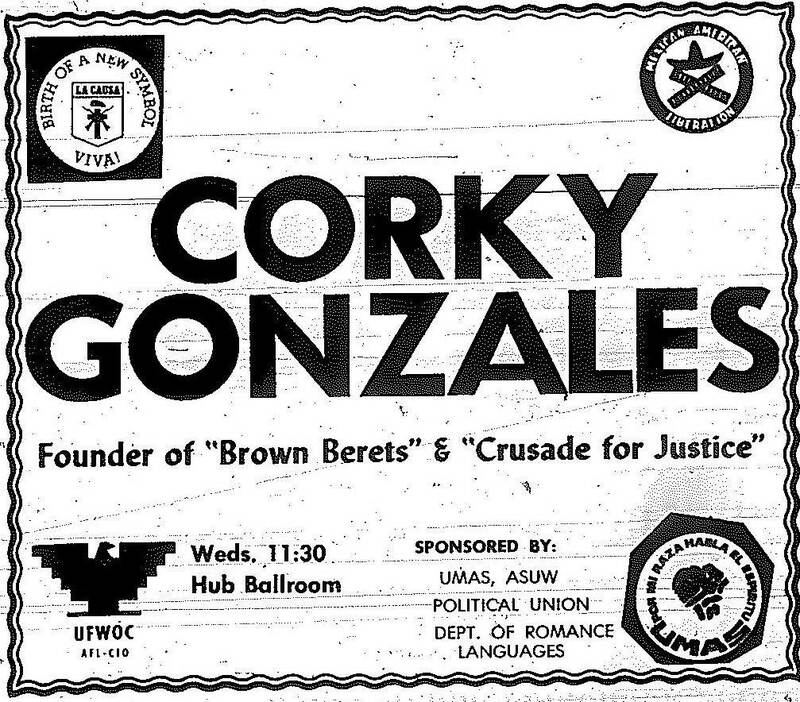 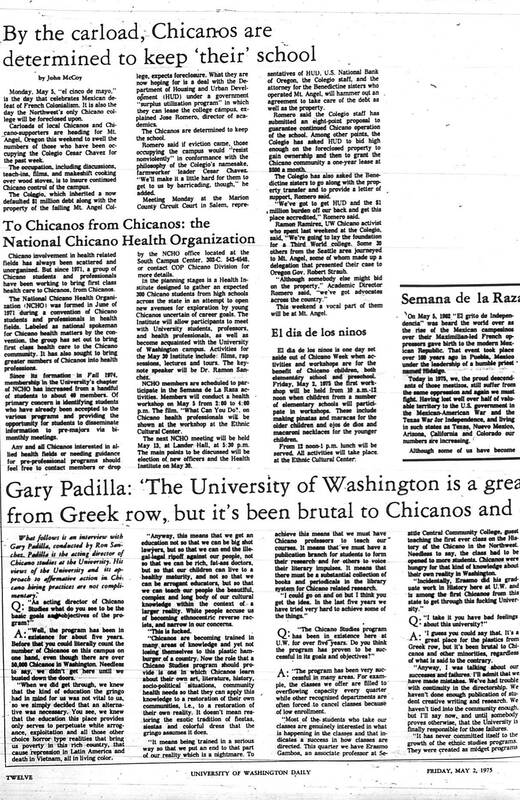 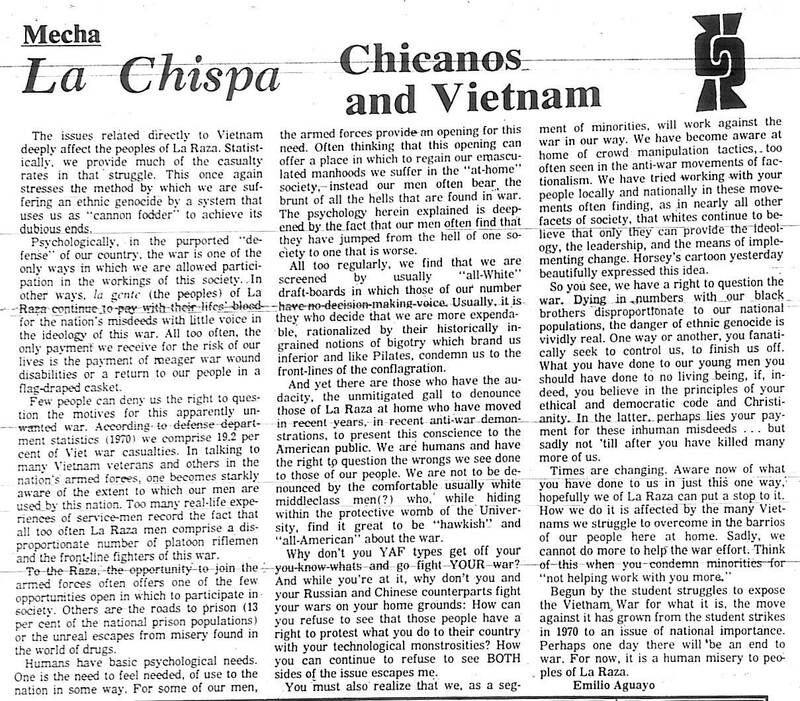 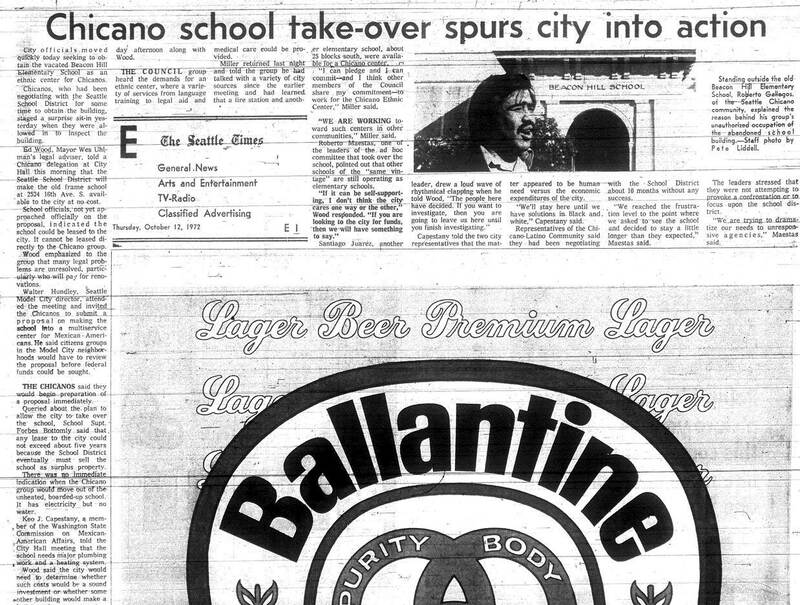 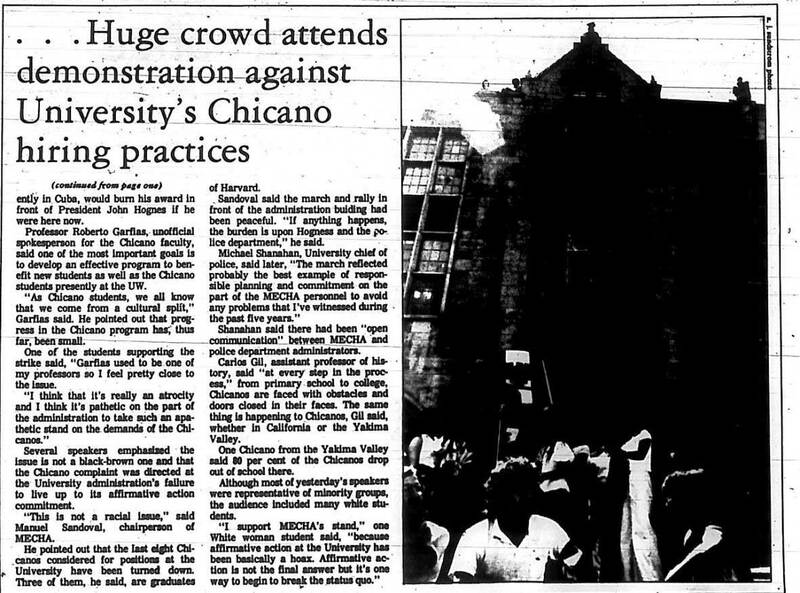 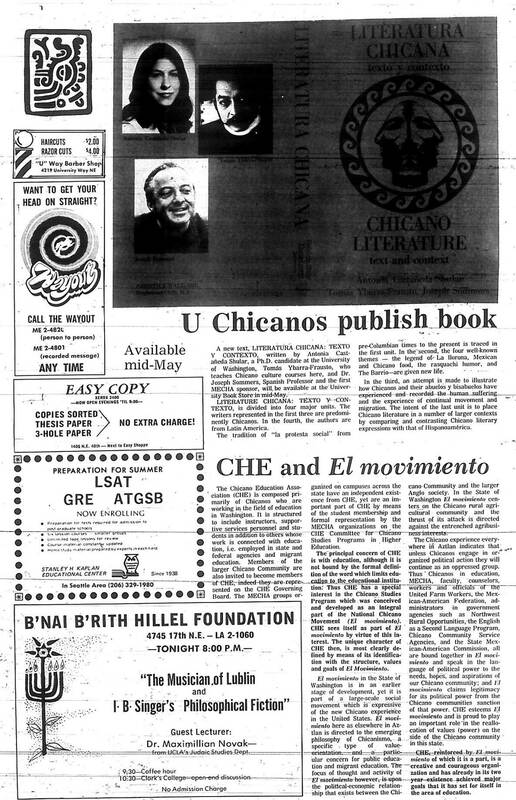 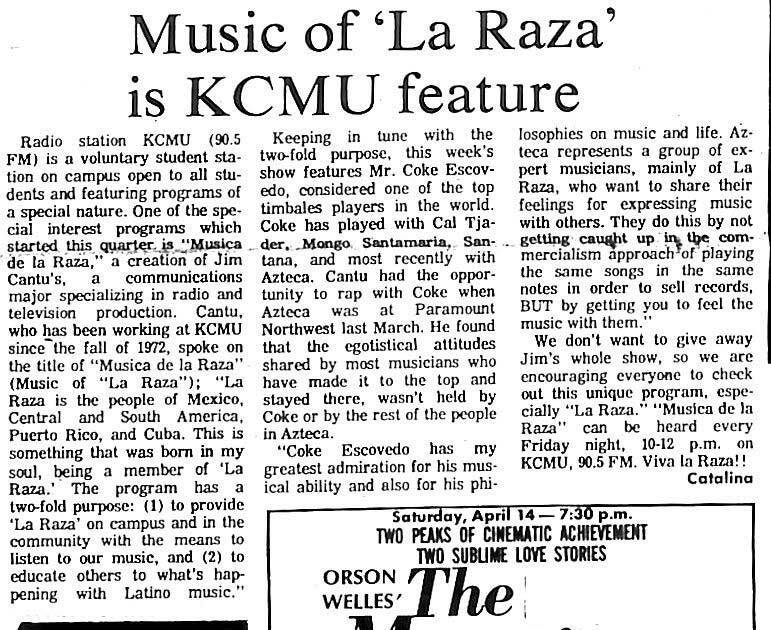 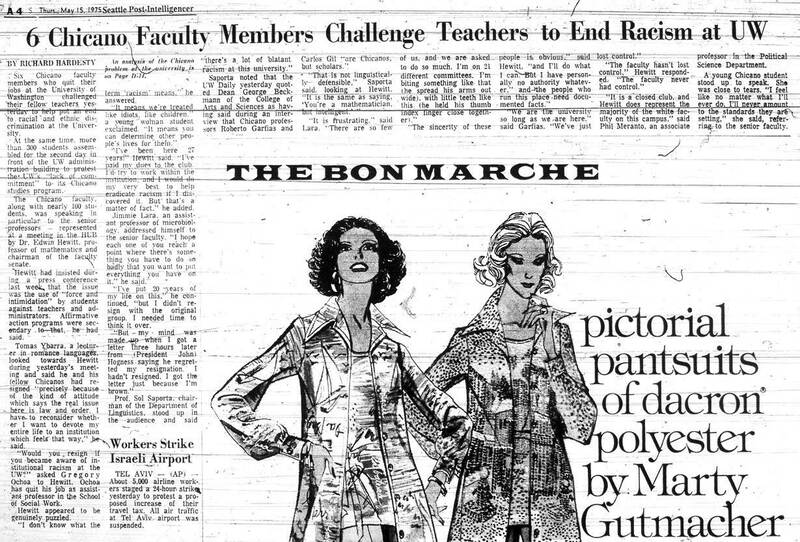 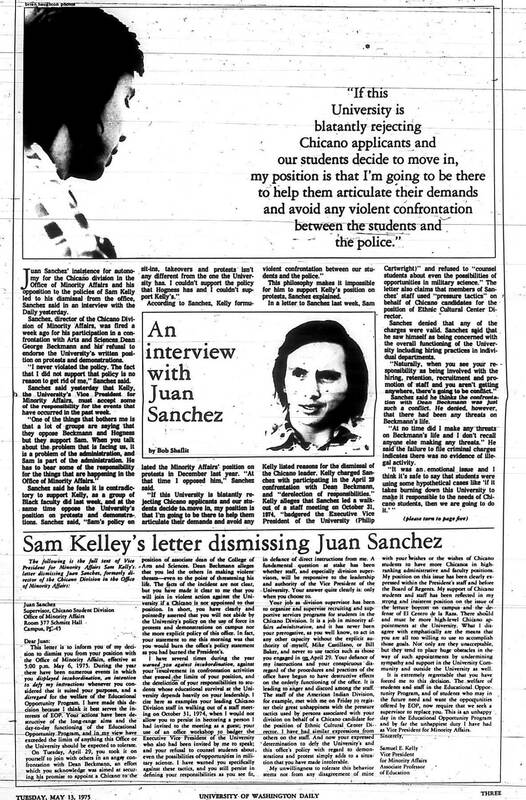 Chicano activists made news as well as history. 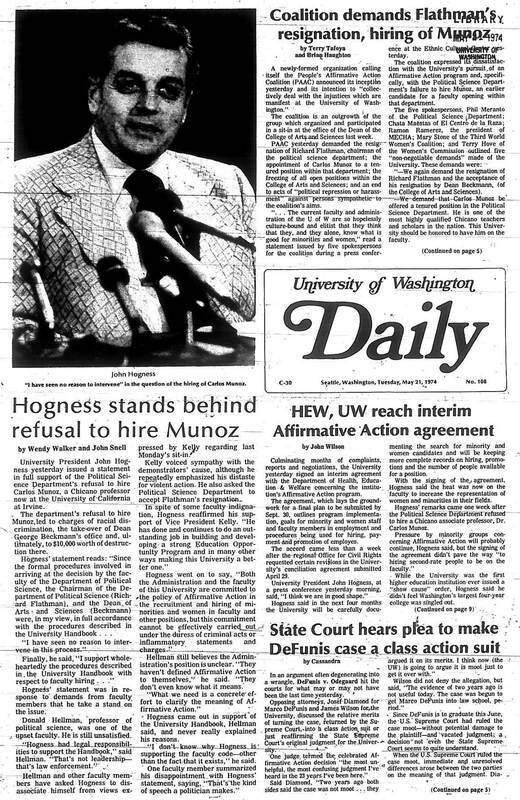 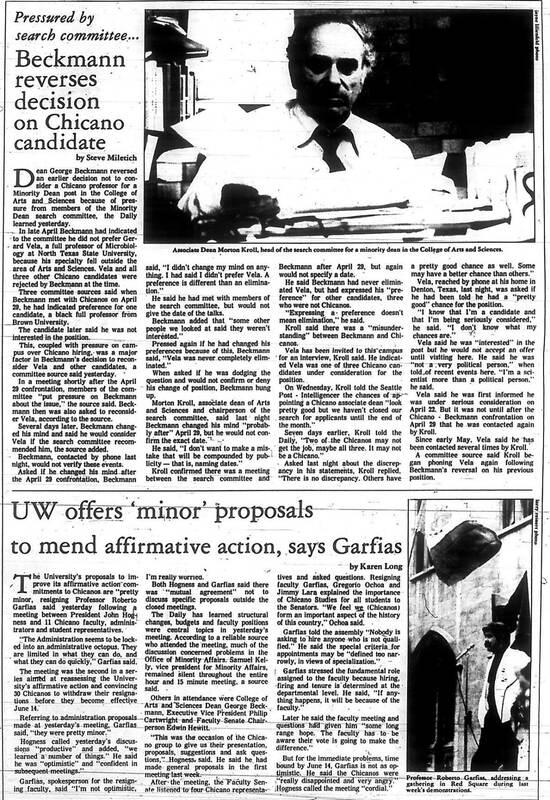 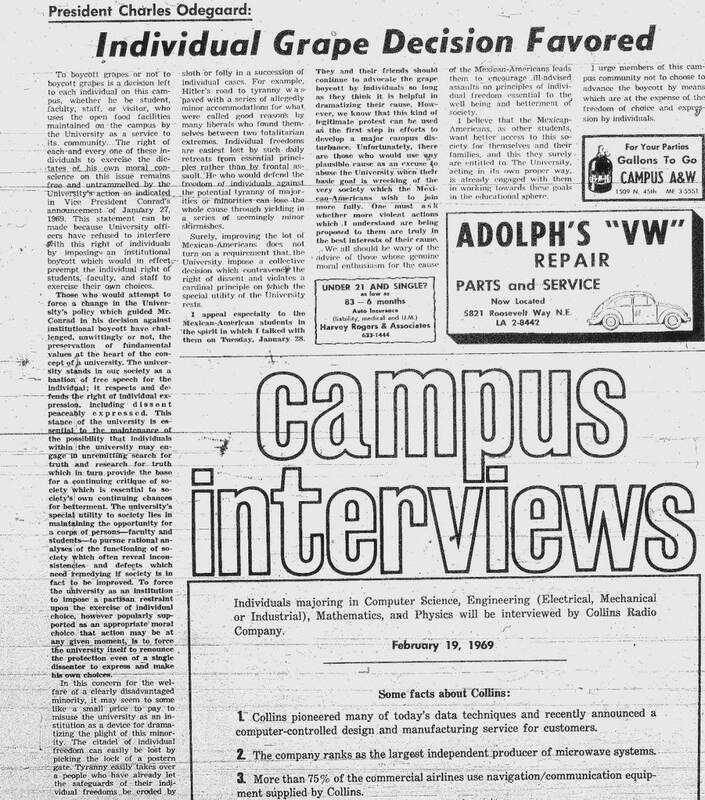 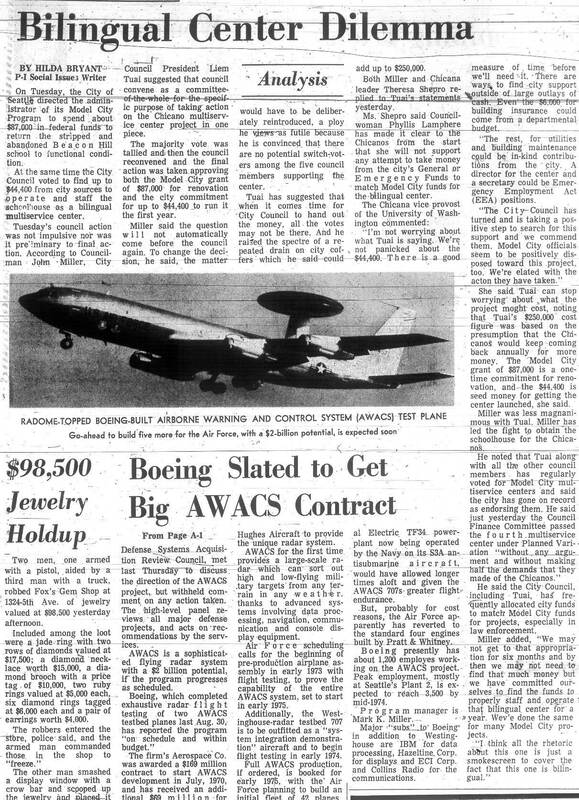 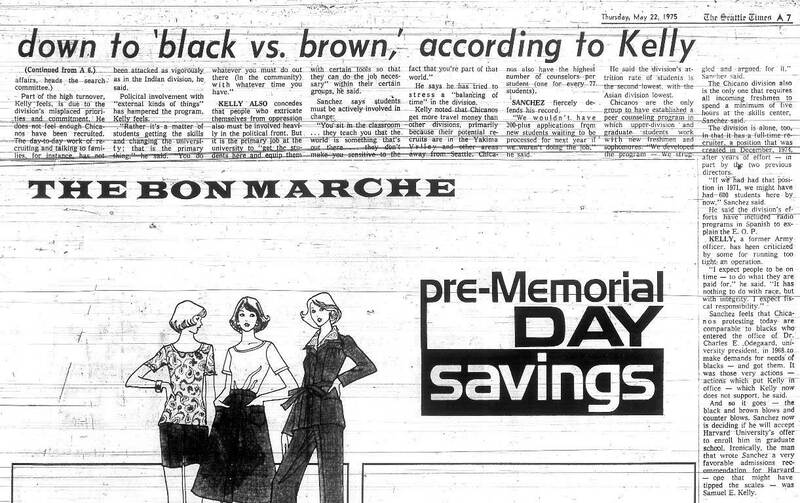 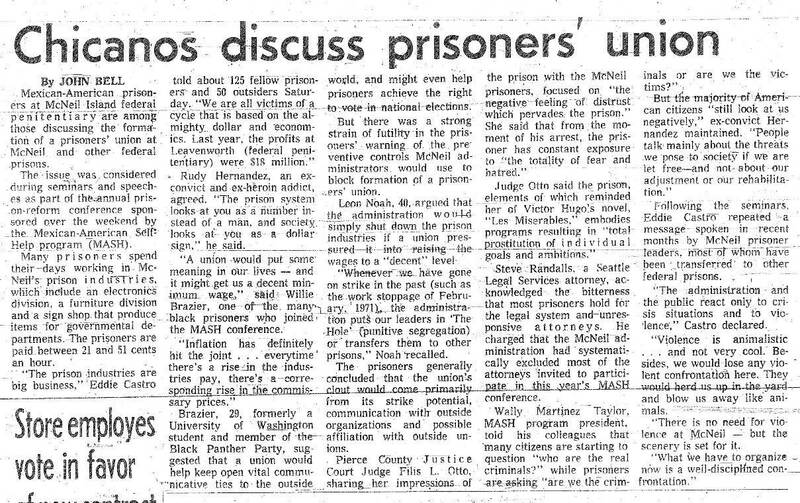 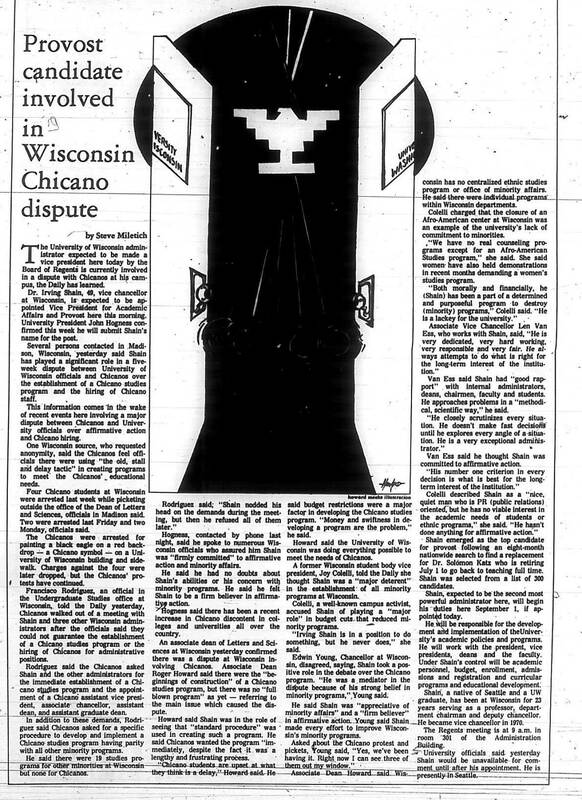 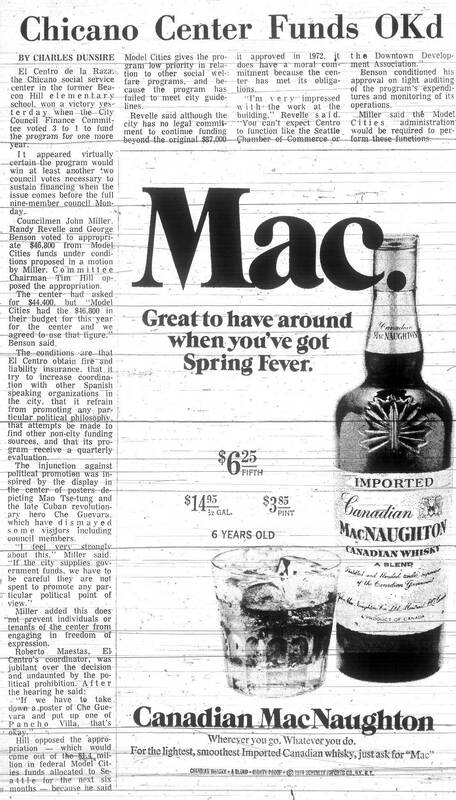 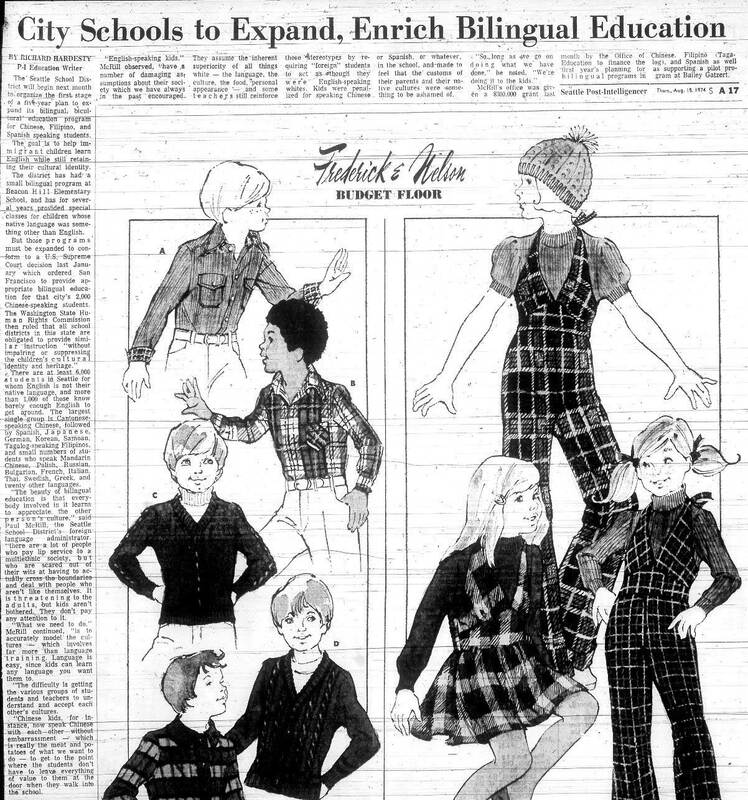 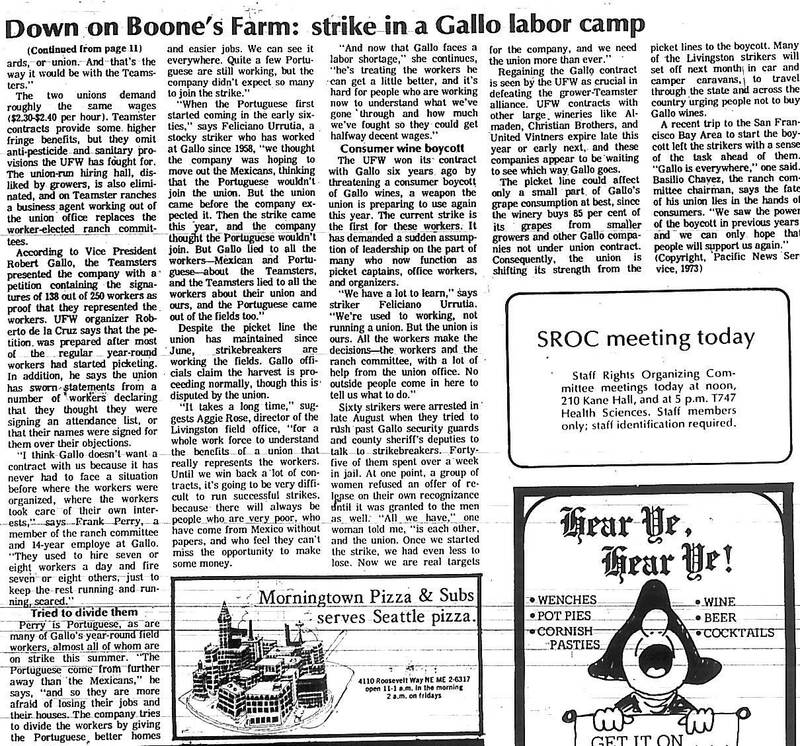 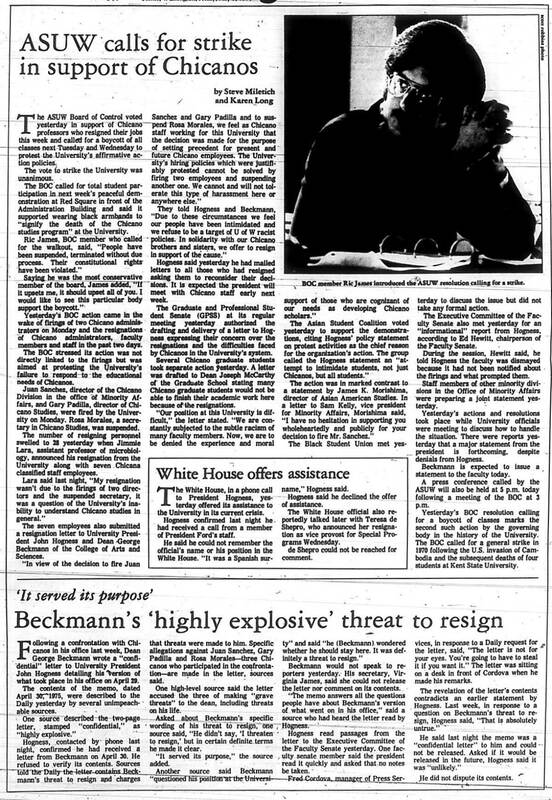 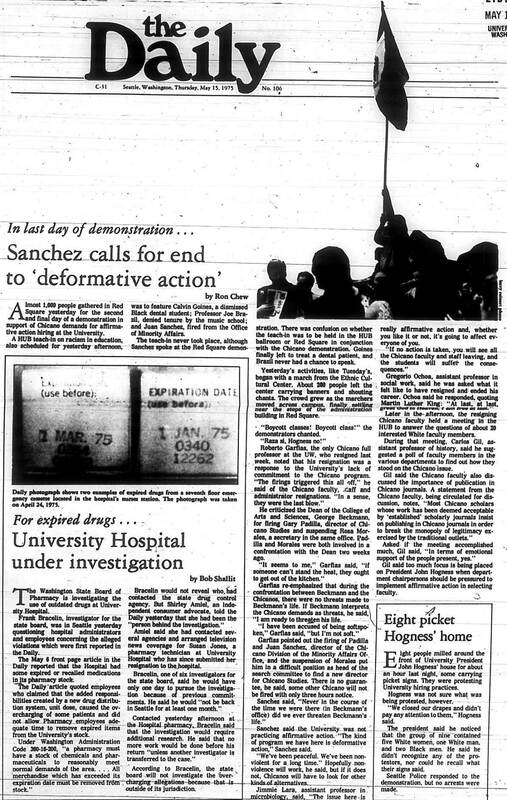 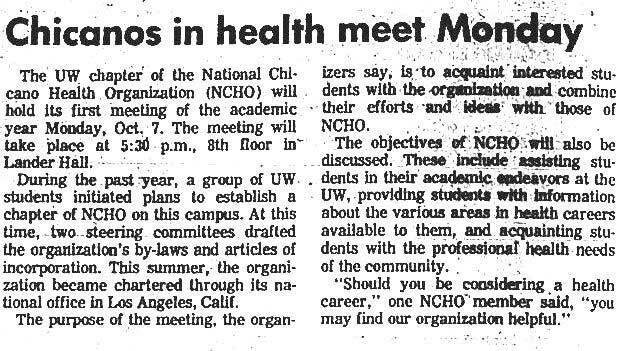 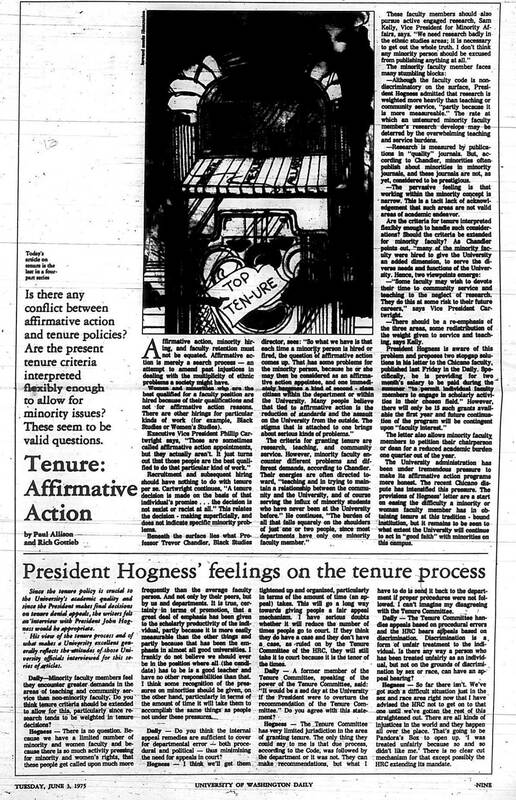 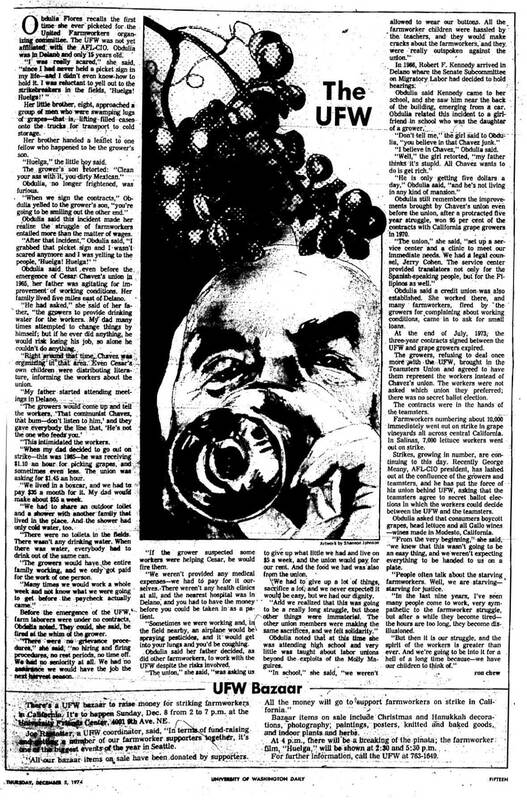 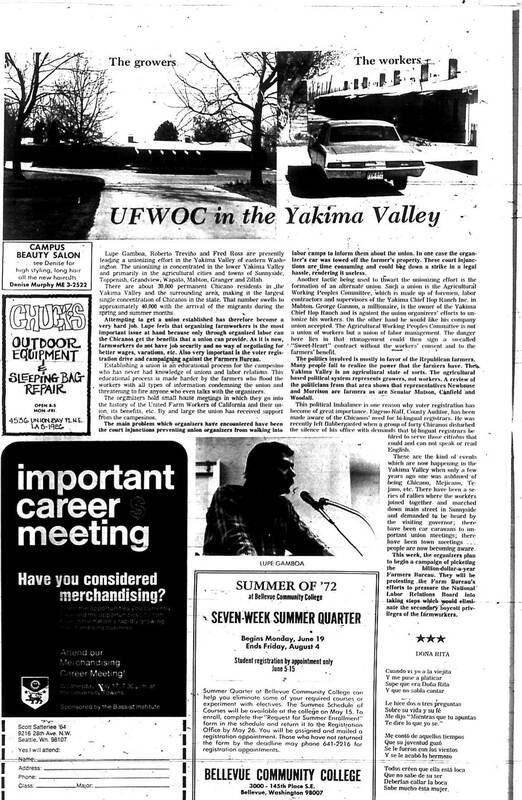 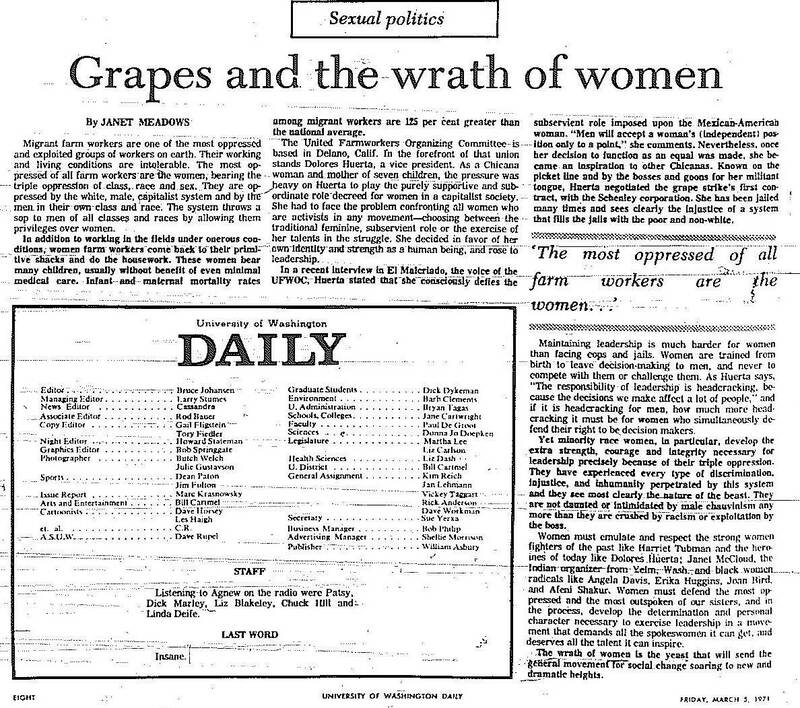 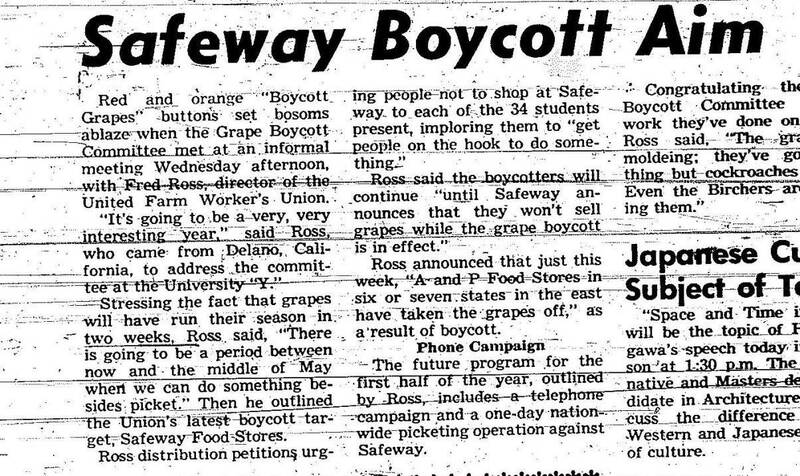 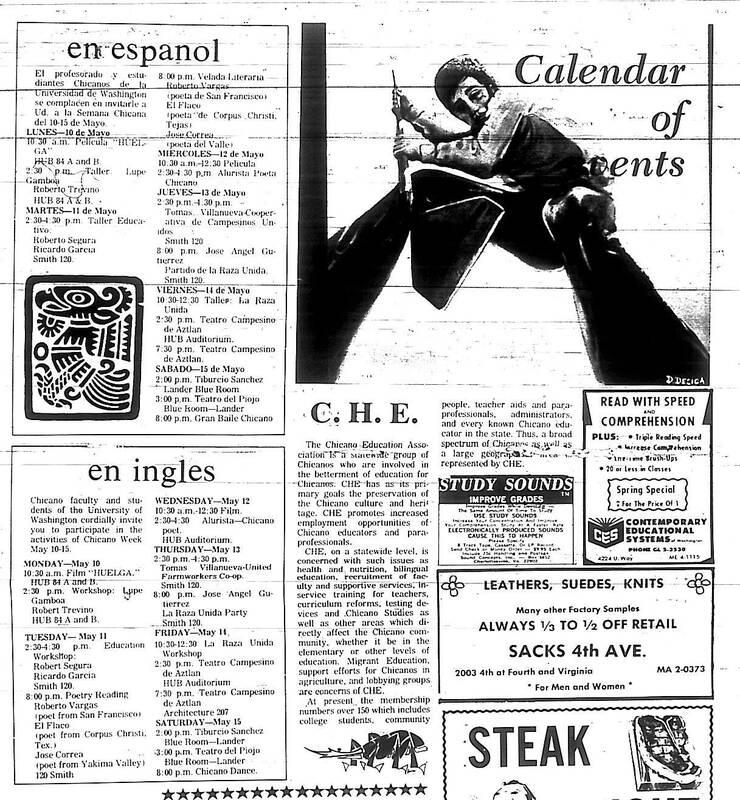 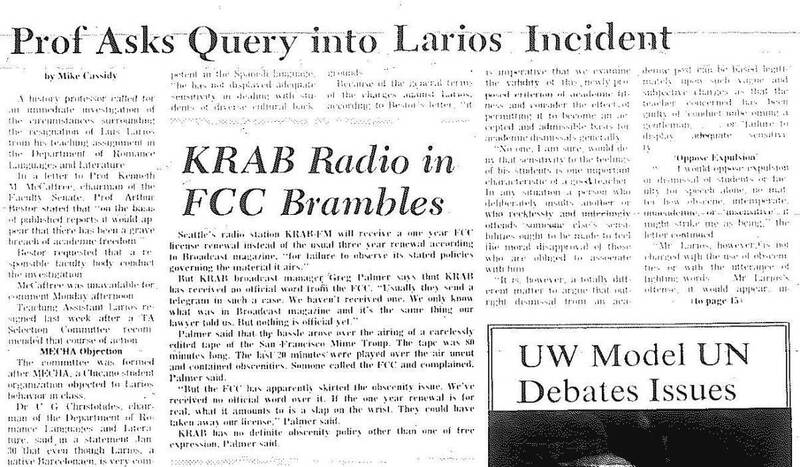 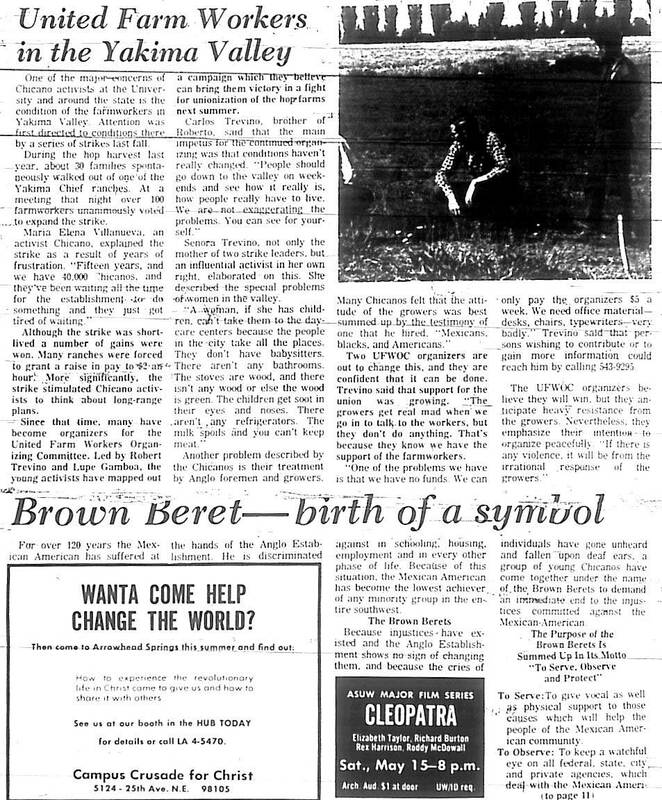 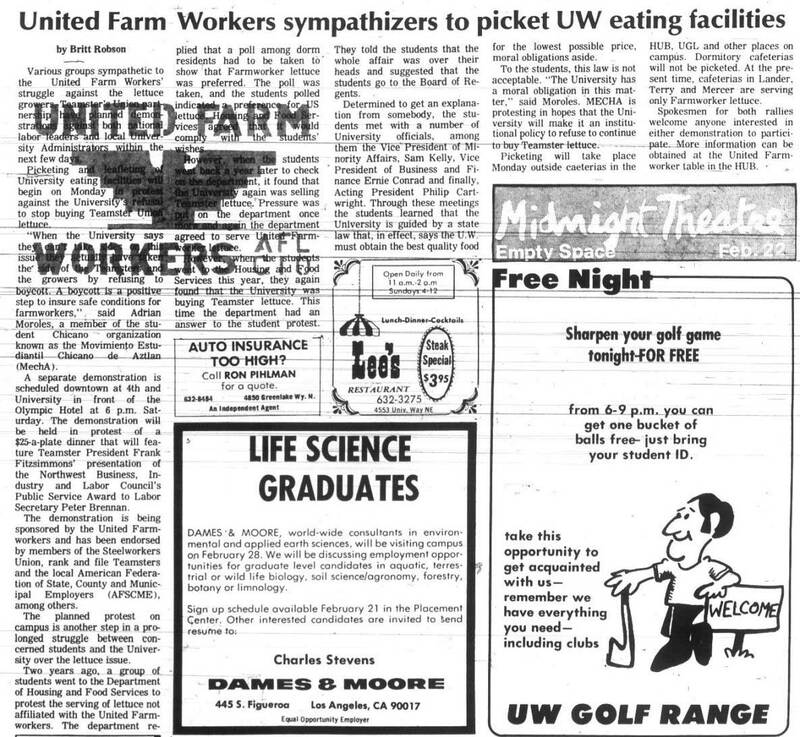 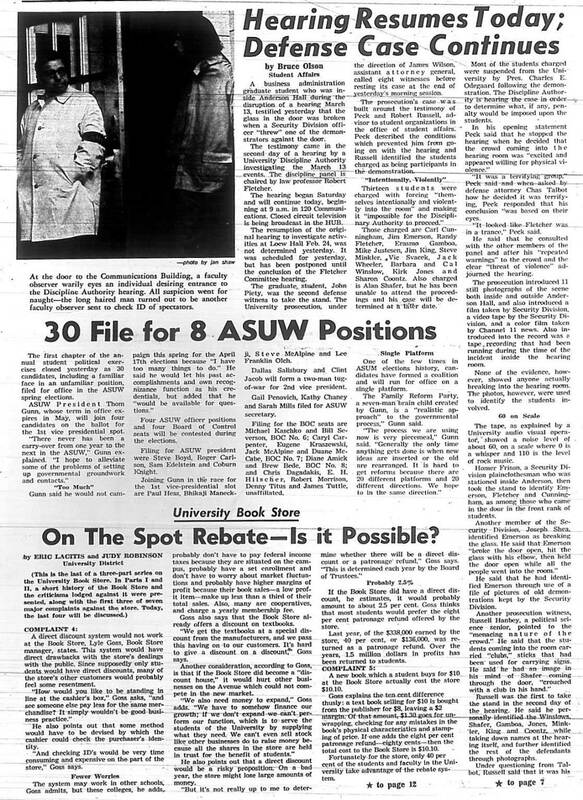 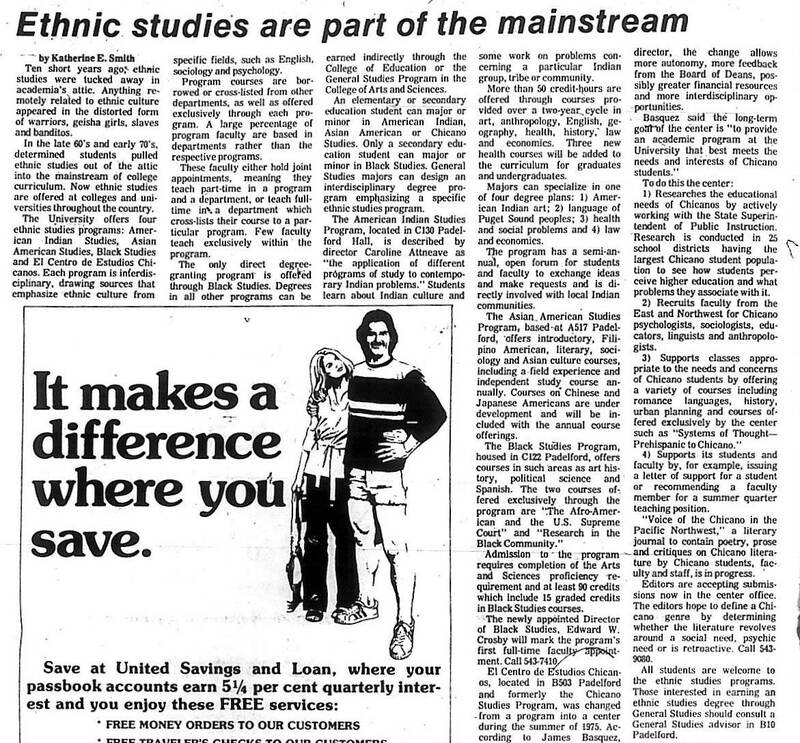 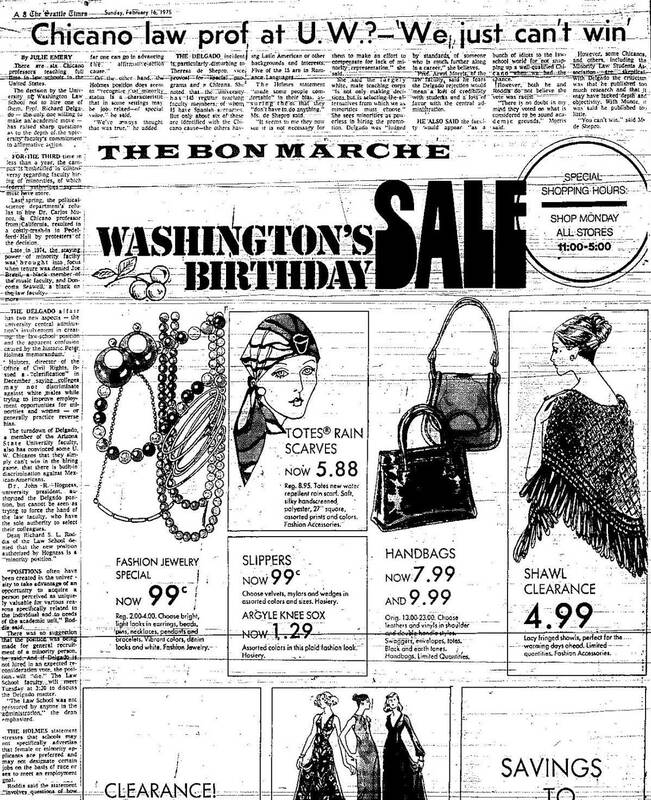 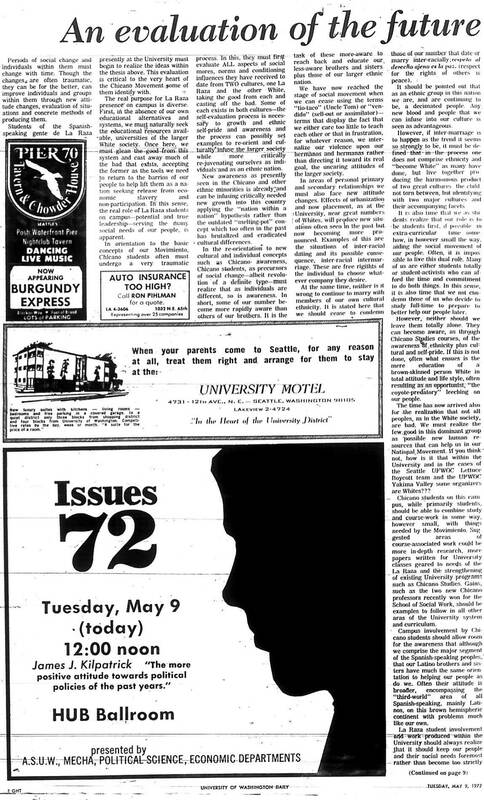 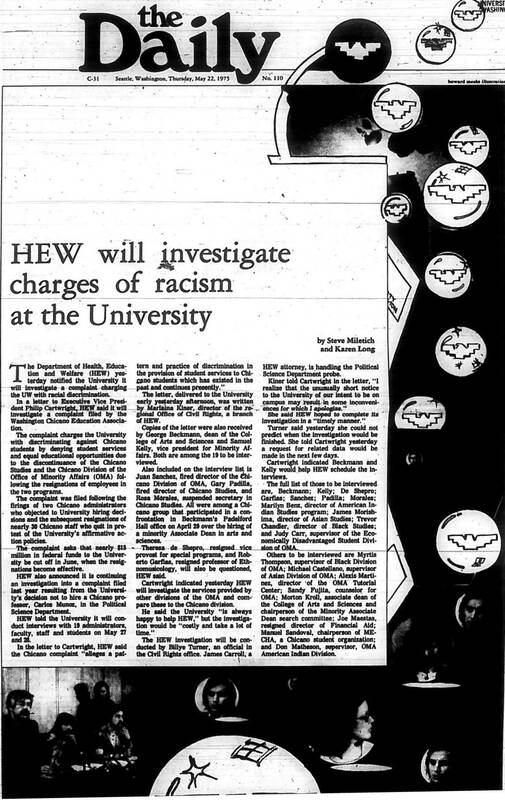 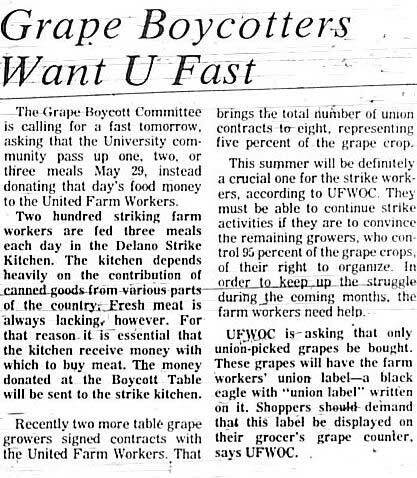 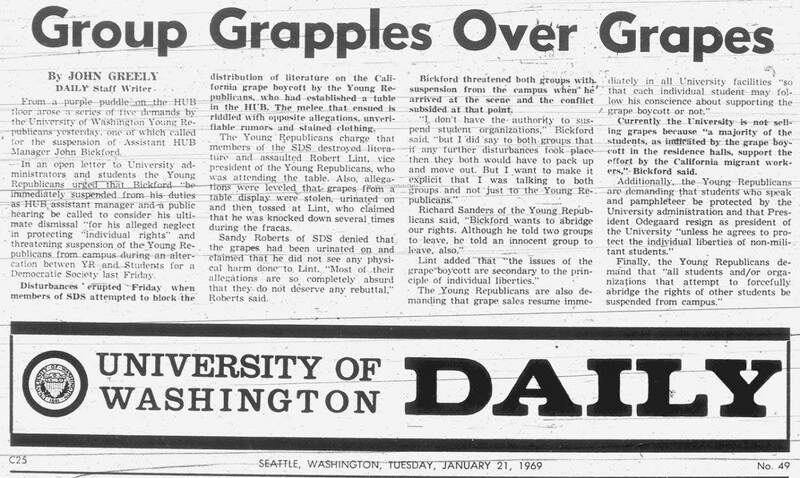 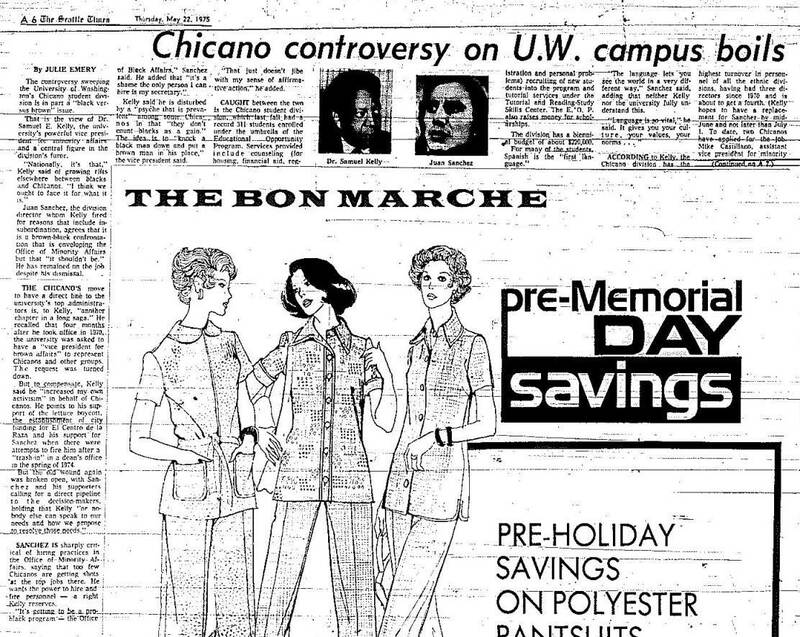 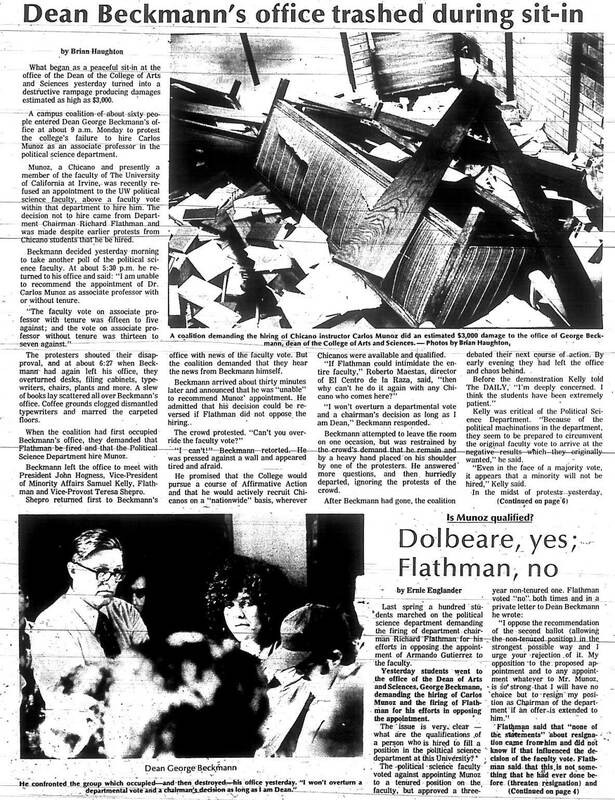 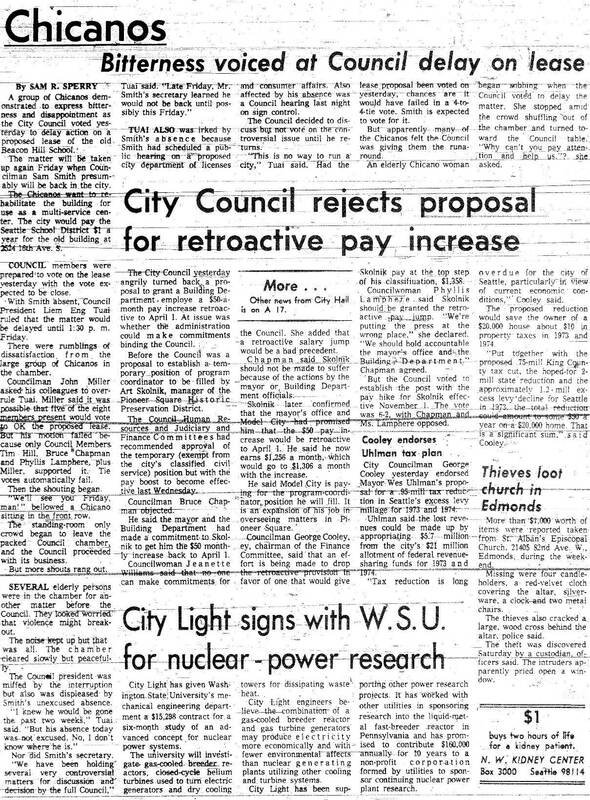 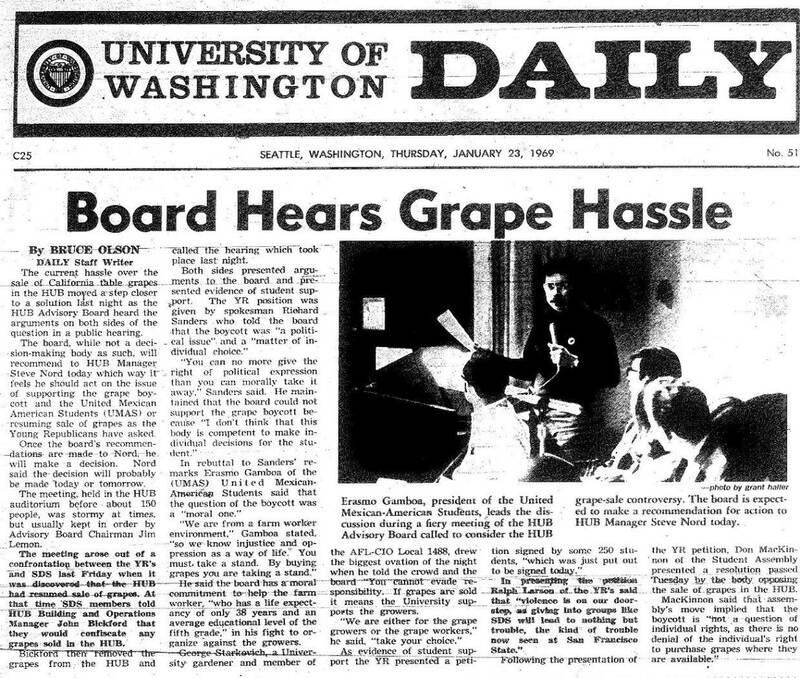 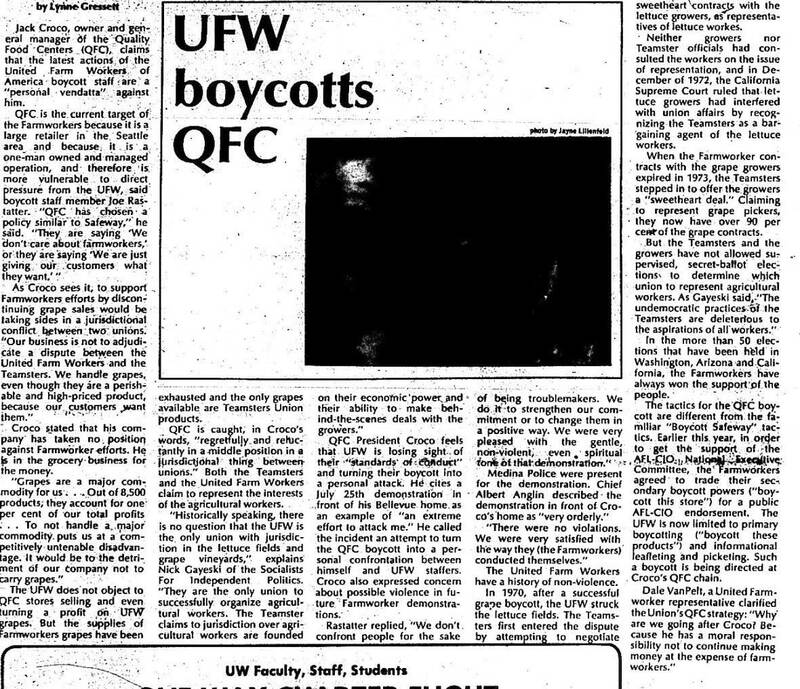 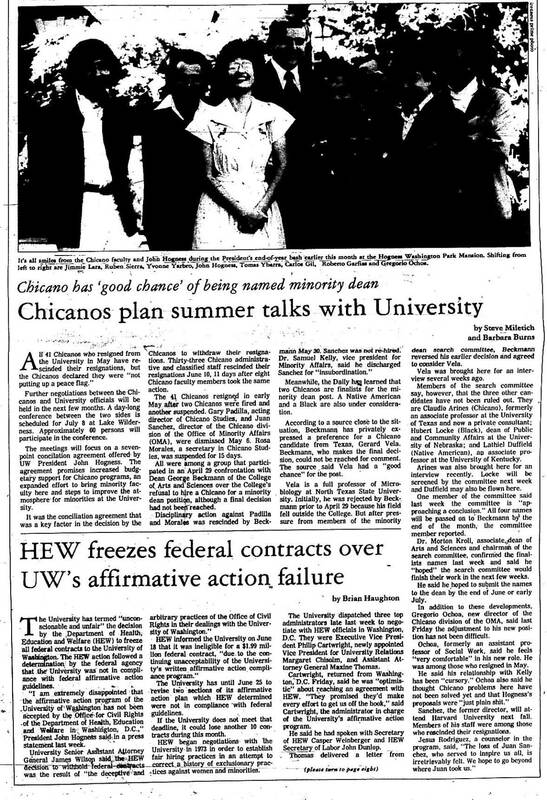 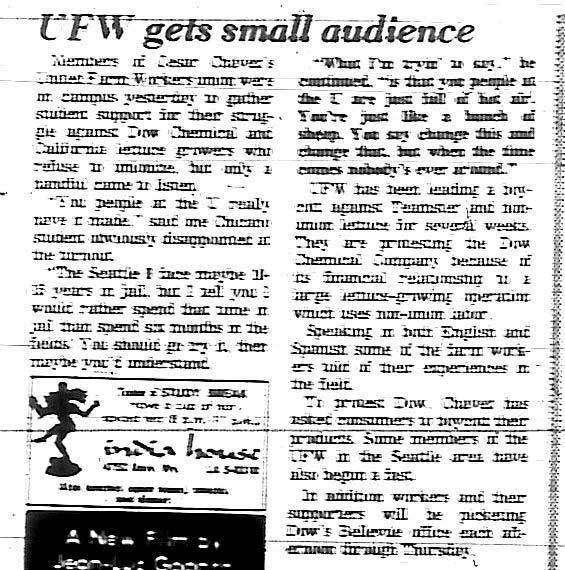 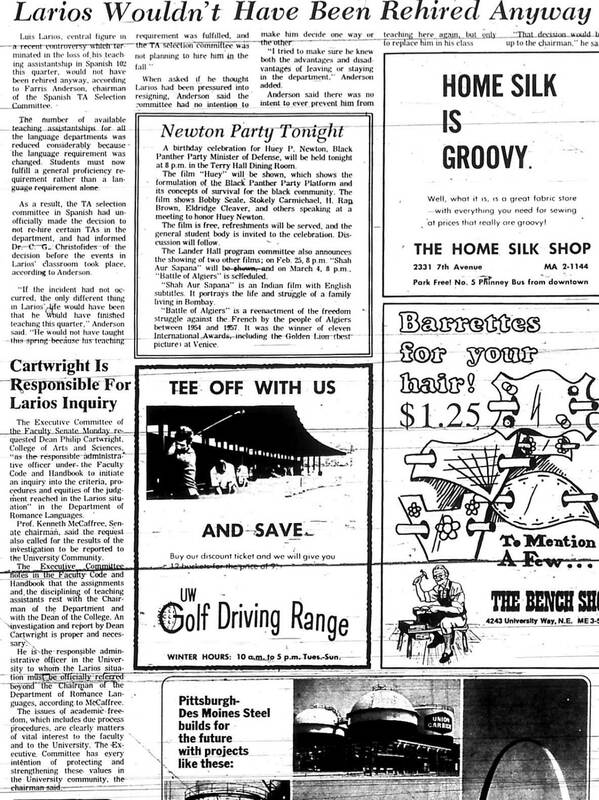 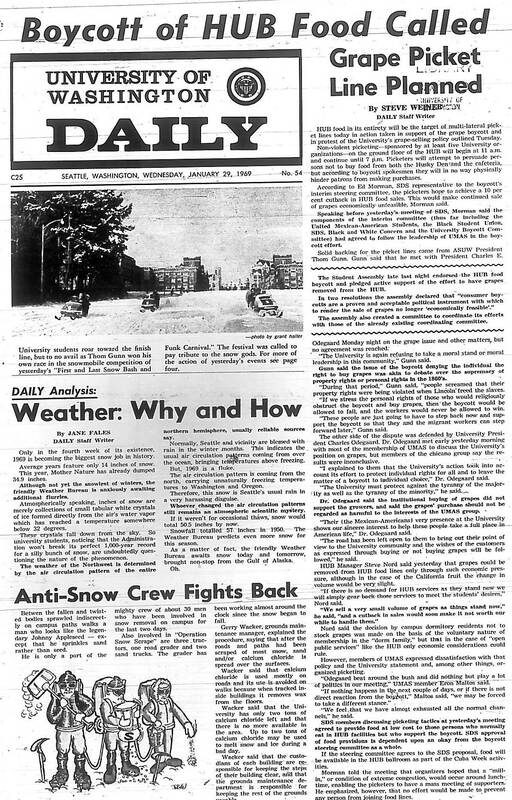 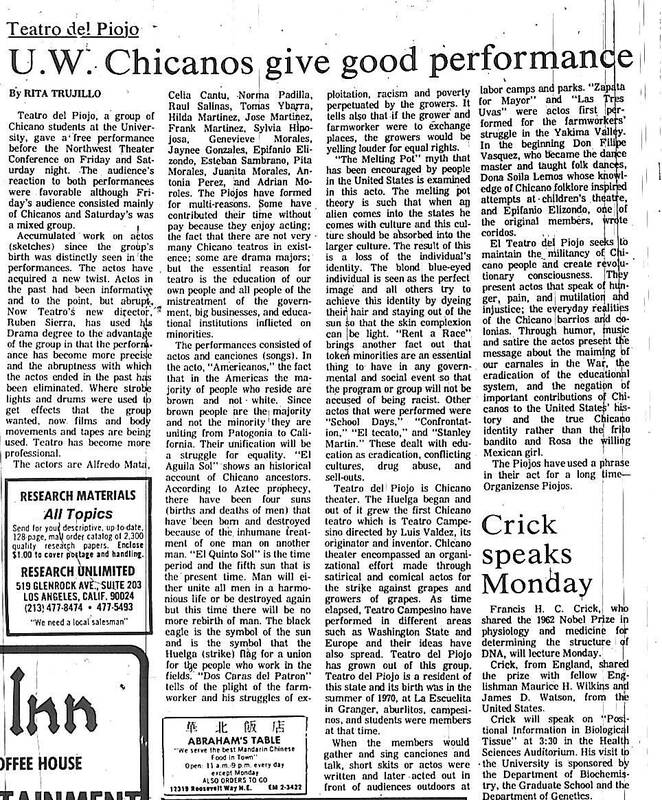 Here is a month-by-month digital archive of more than 250 articles published in theUW Daily and other local newspapers between 1968 and 1979. 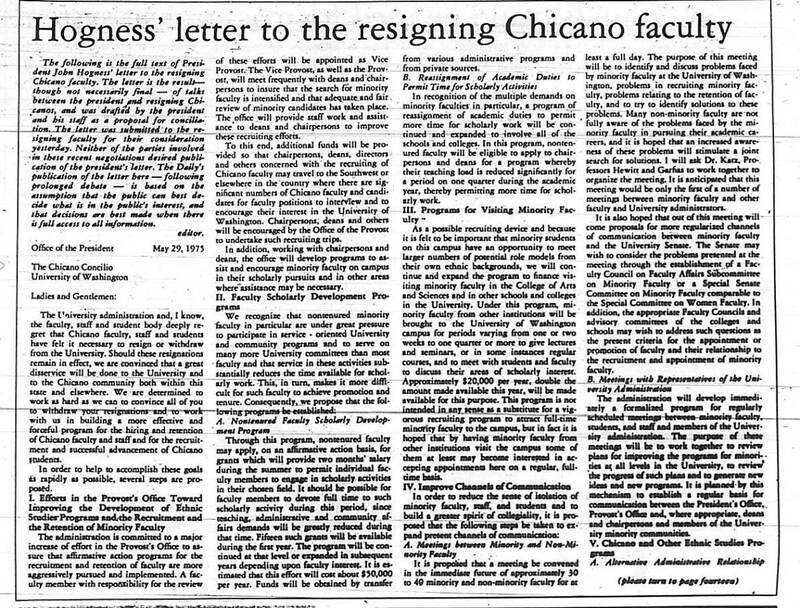 The full list is below (click the titles to read the articles). 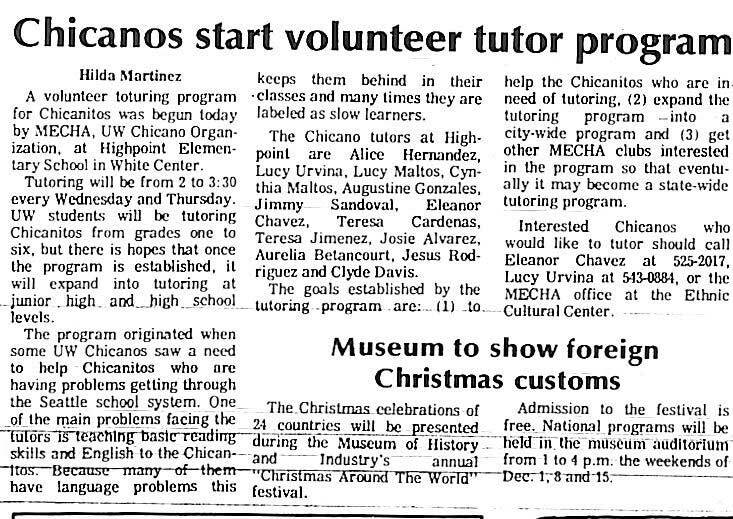 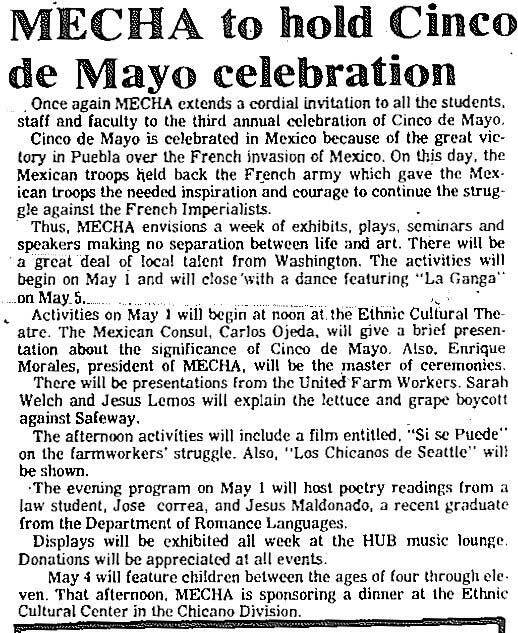 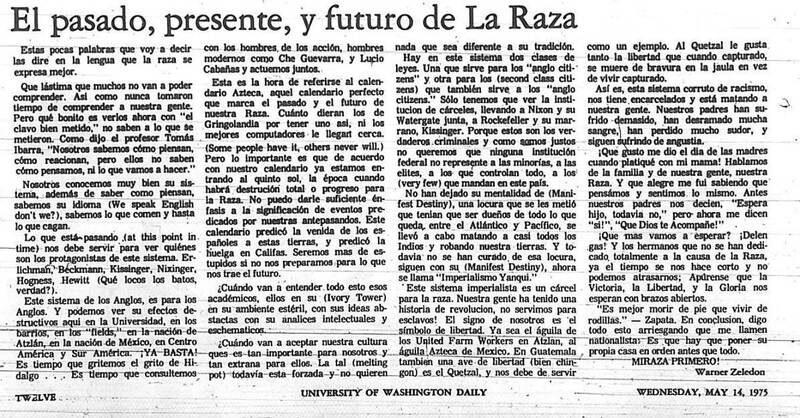 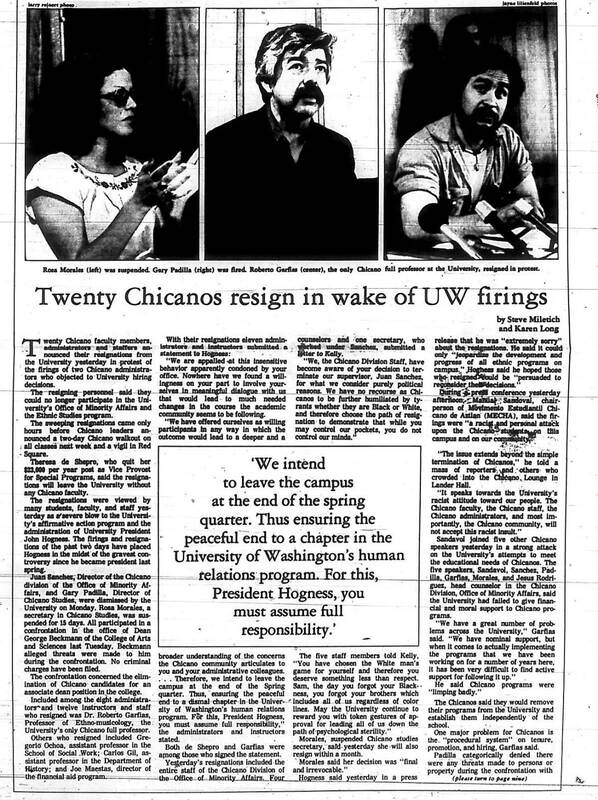 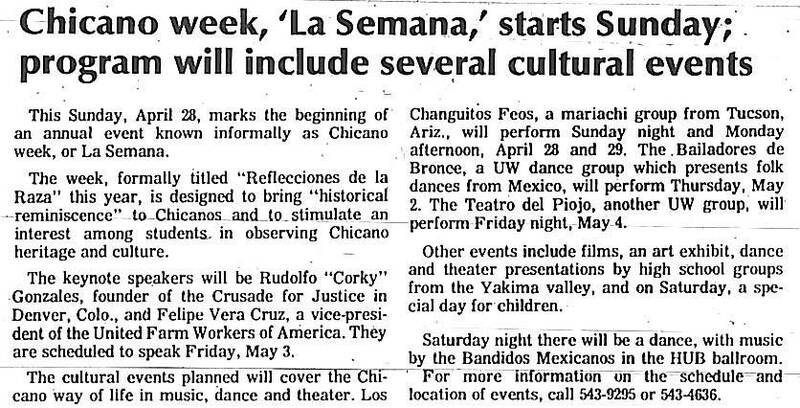 They are also sorted by subjects: Farmworkers and the Grape Boycott; Chicano Studies at UW, Arts and Culture; El Centro de la Raza. 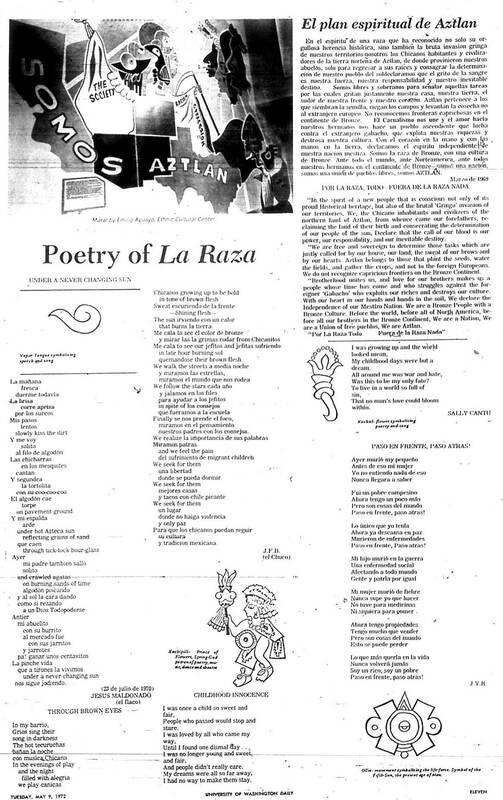 Michael Schulze-Oechtering Castañeda created this database with help from Edgar Flores, Francesca Barajas, Chris Paredes, and Oscar Rosales Castañeda. 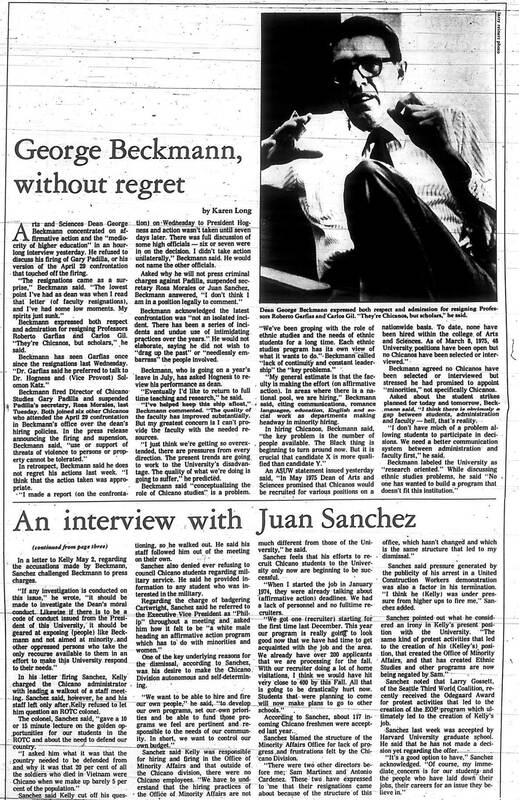 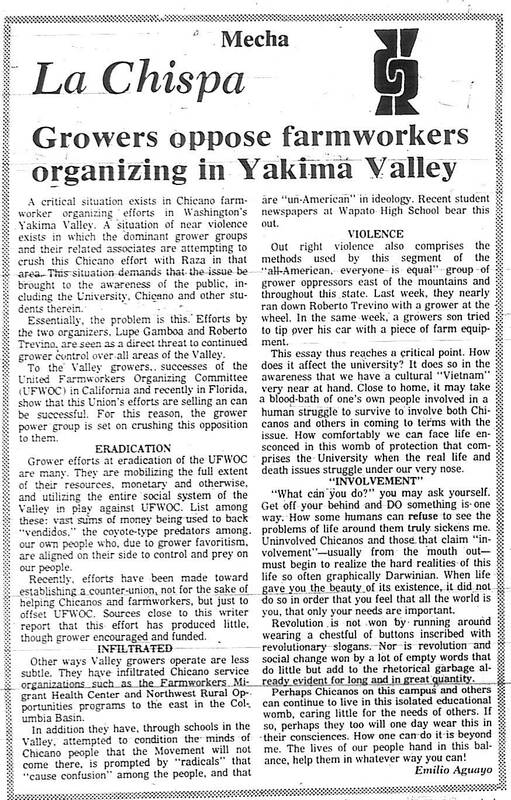 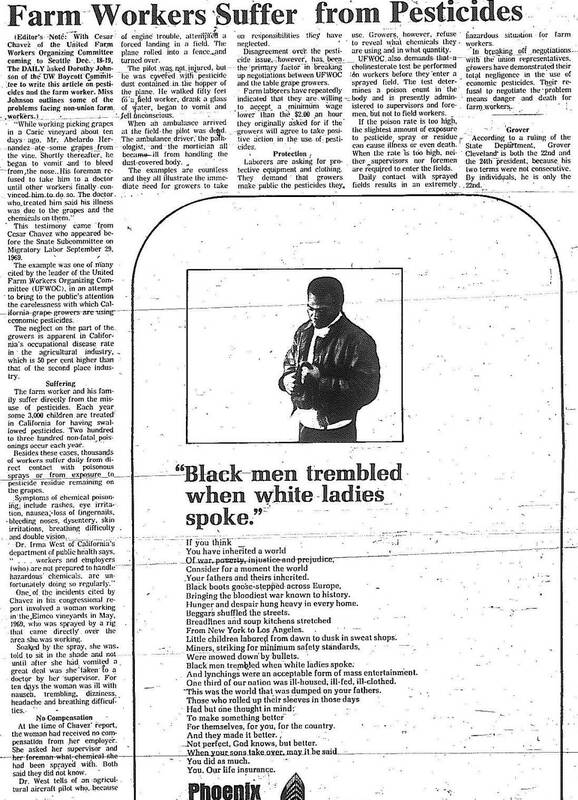 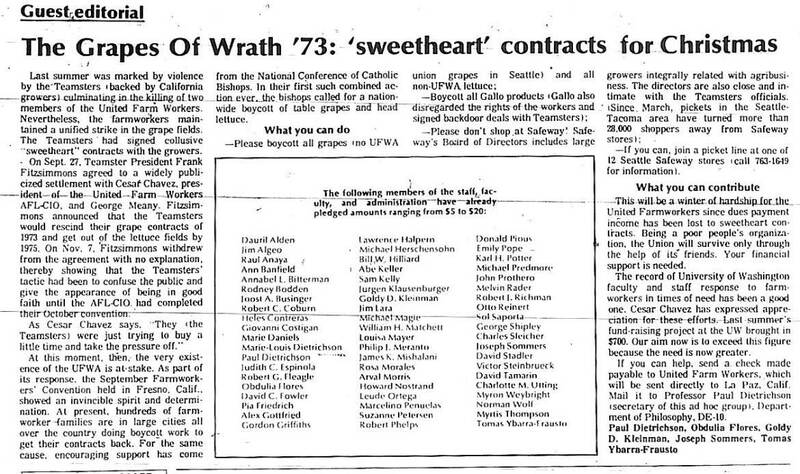 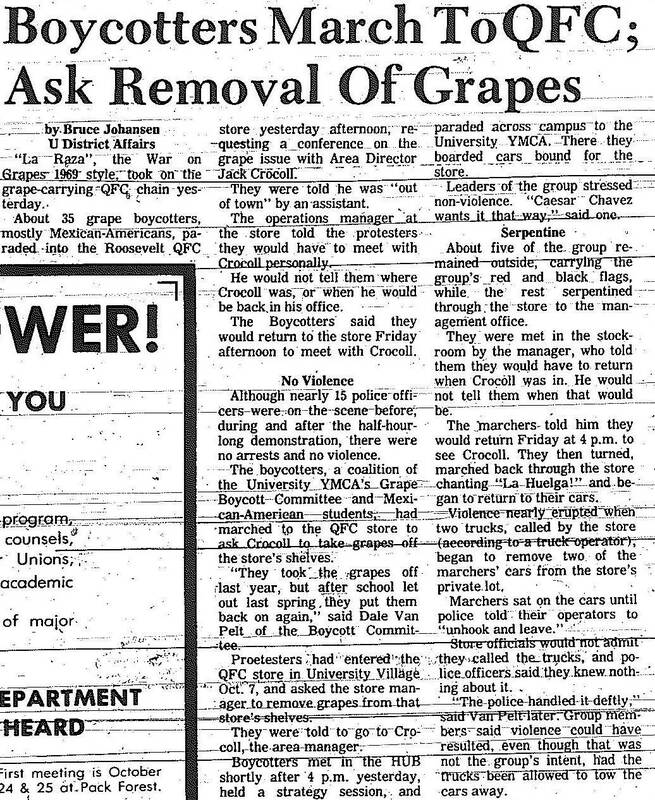 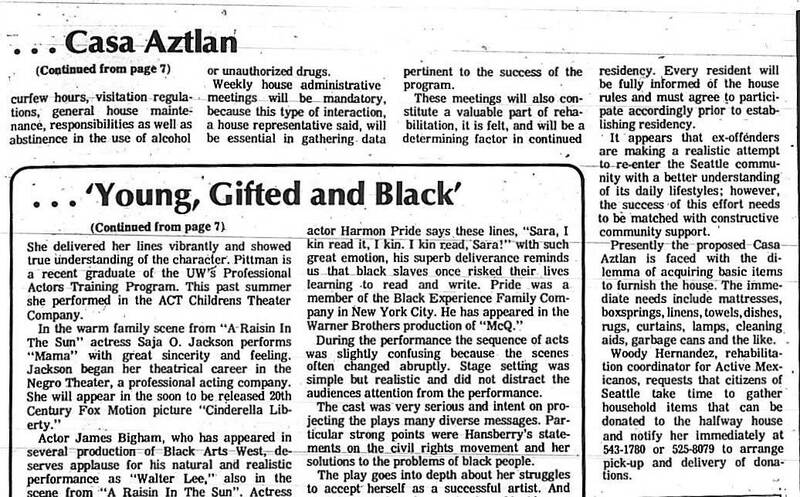 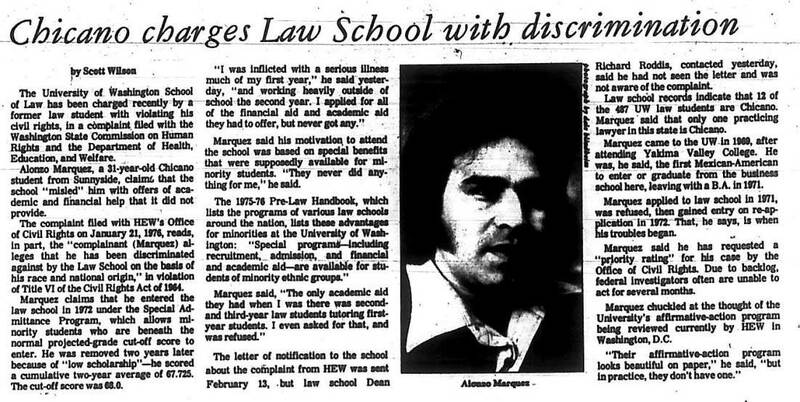 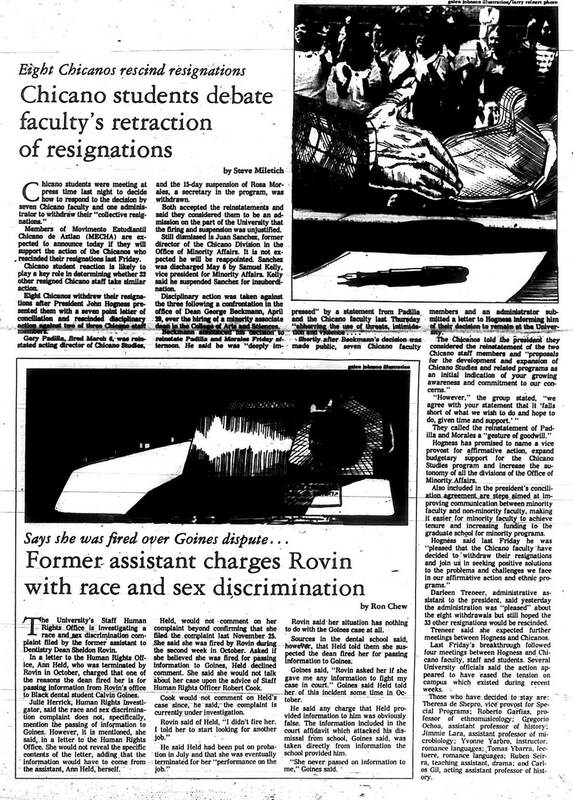 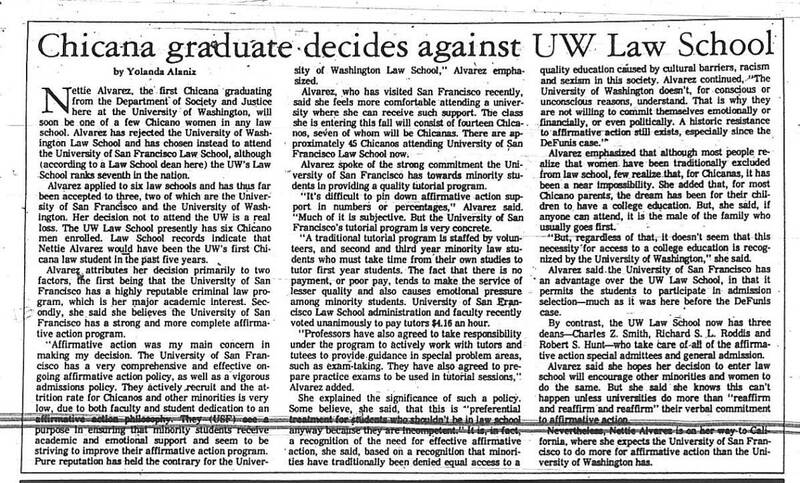 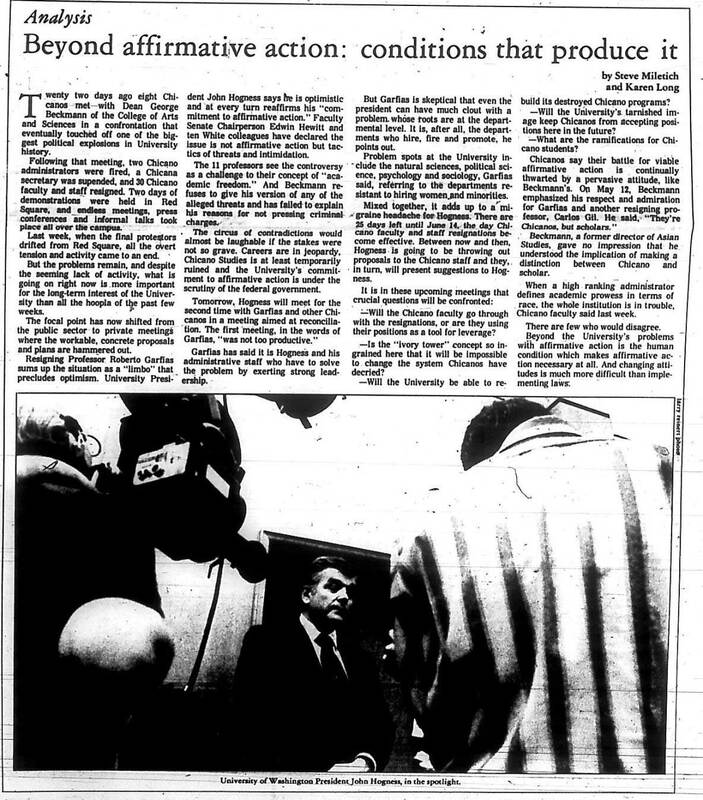 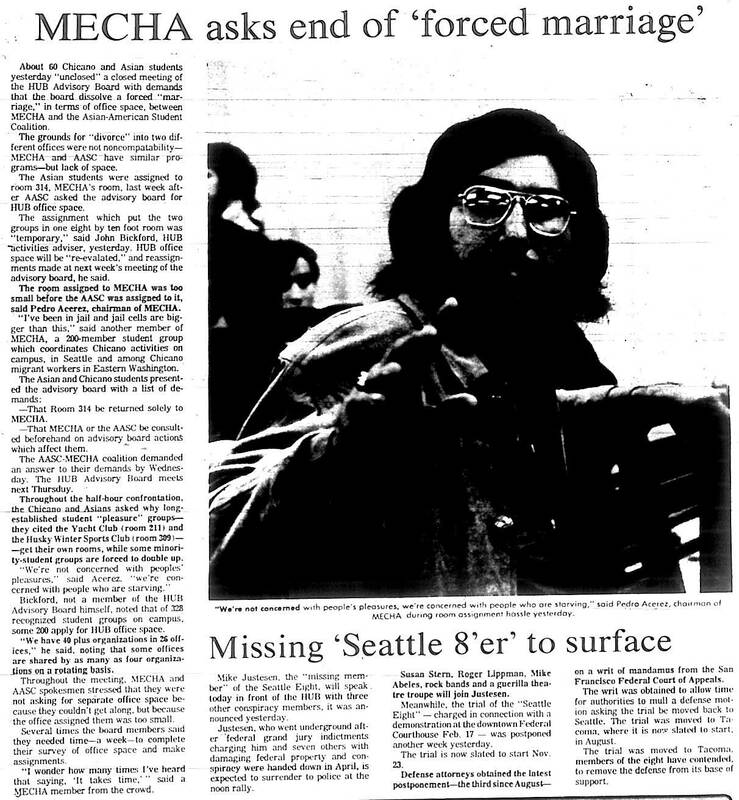 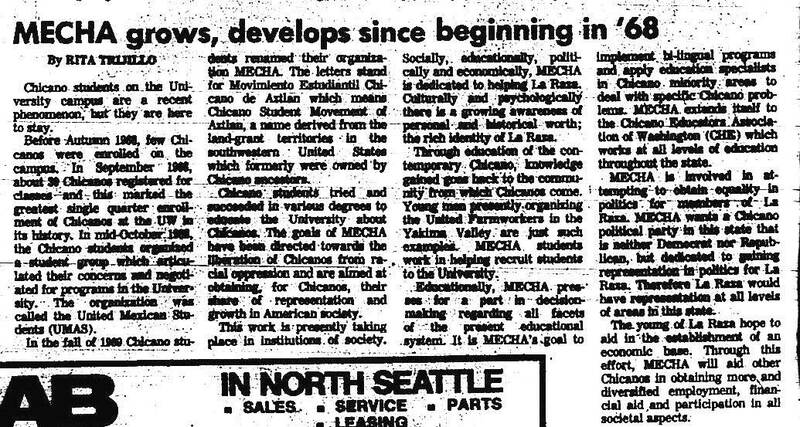 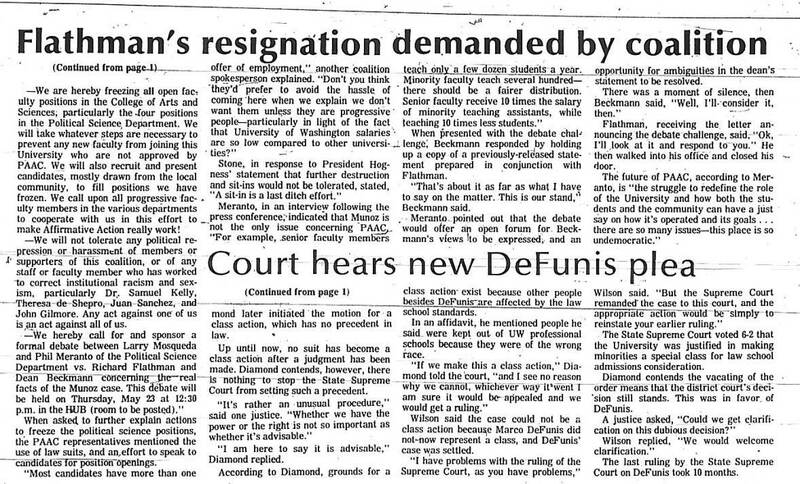 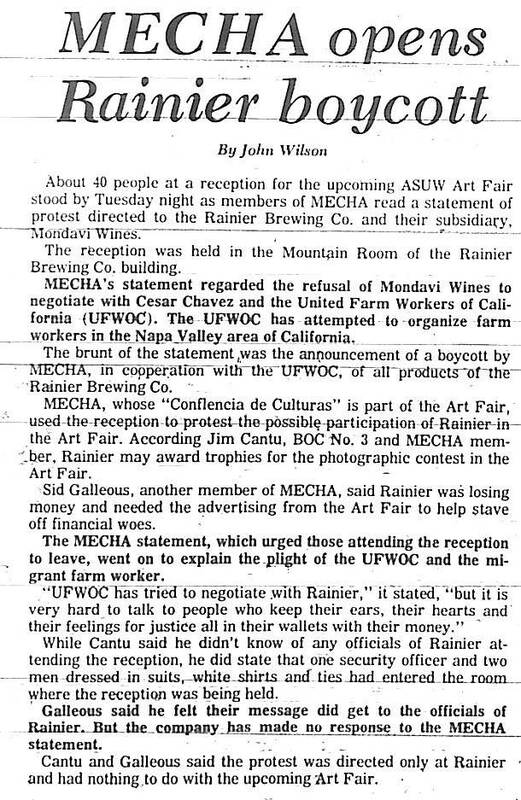 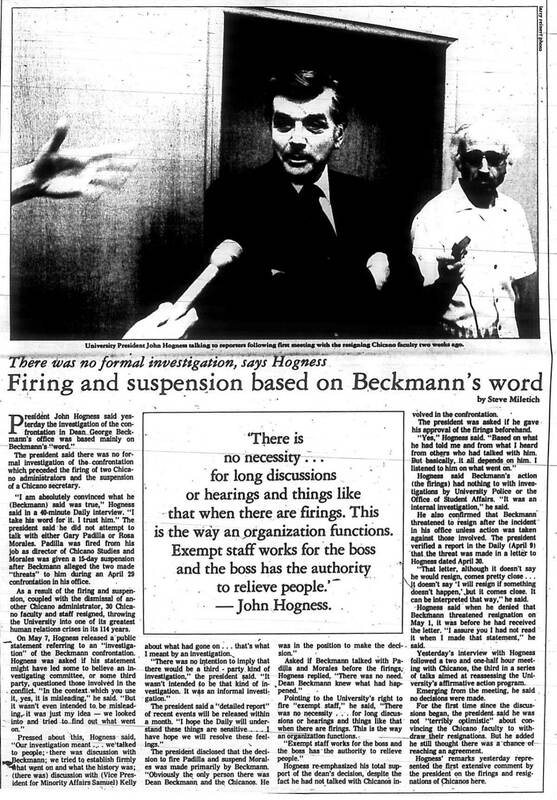 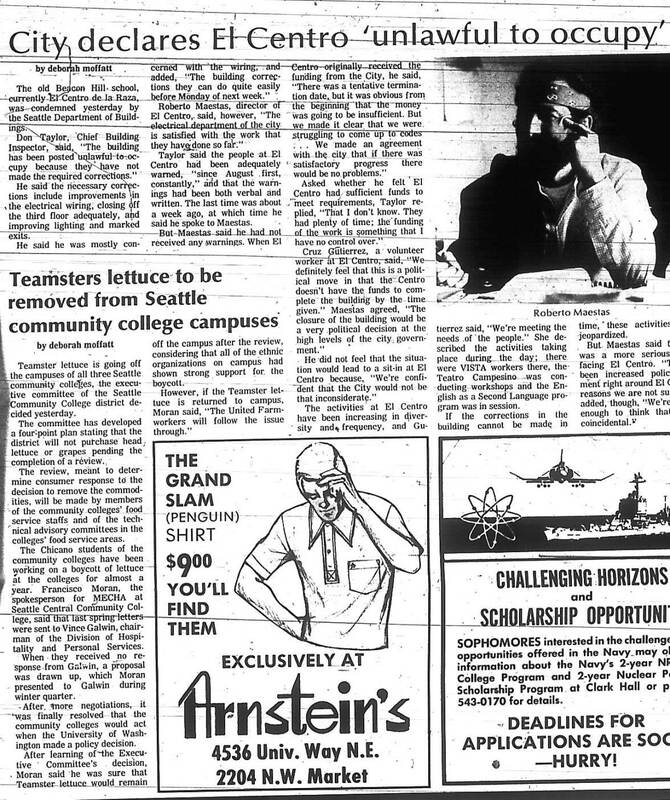 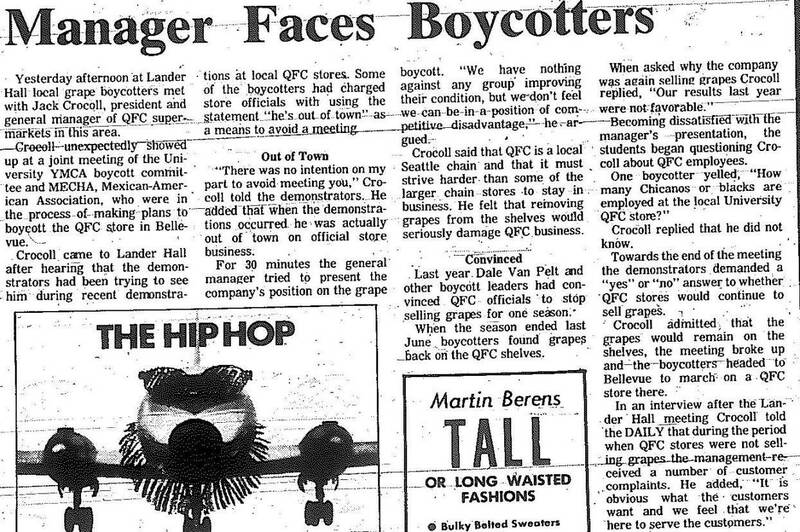 These articles are courtesy of the UW Daily, Seattle Times, Seattle Post-Intelligencer. 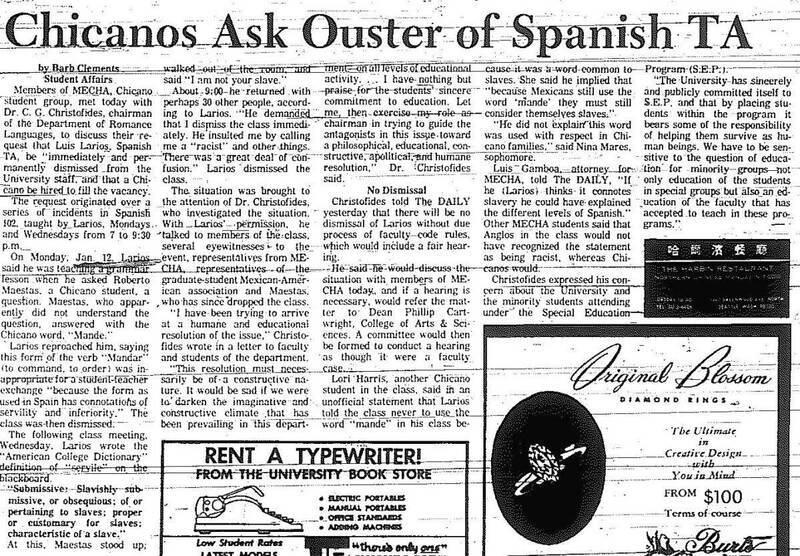 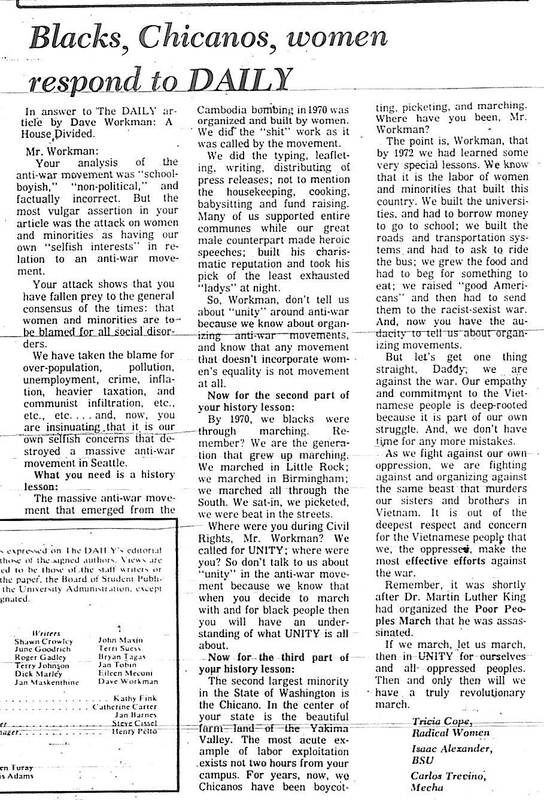 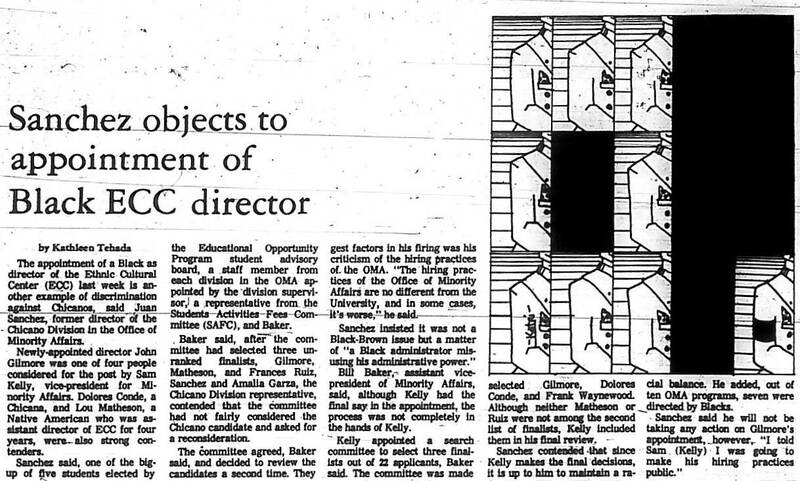 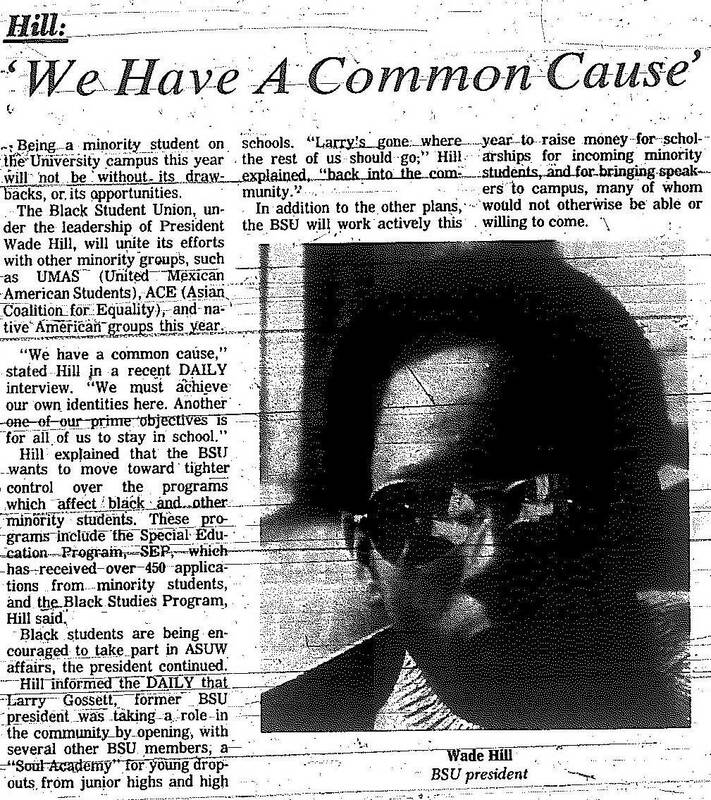 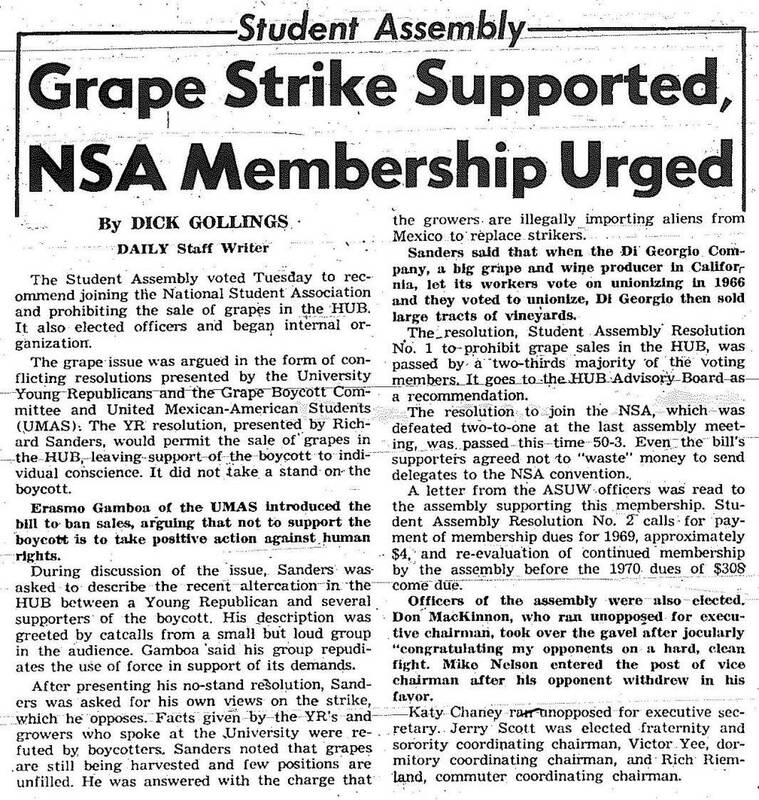 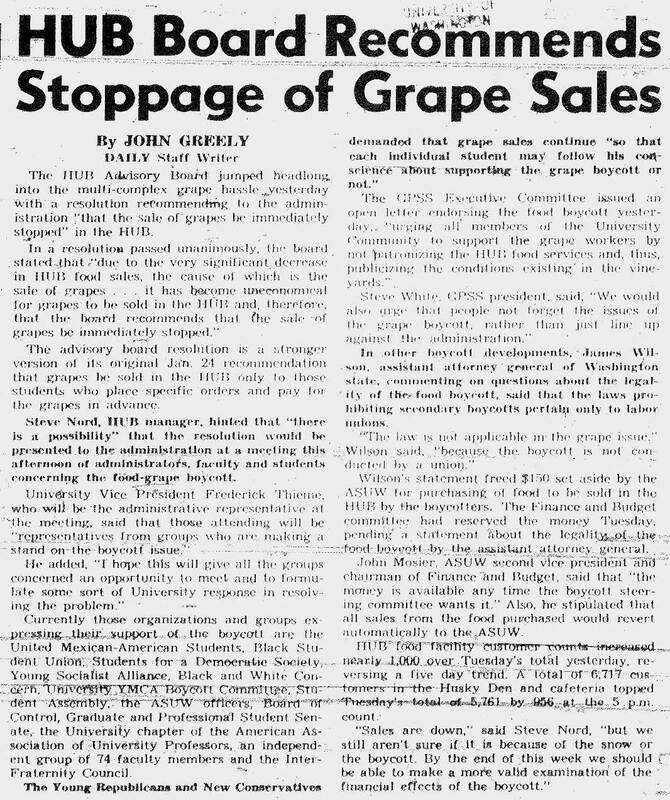 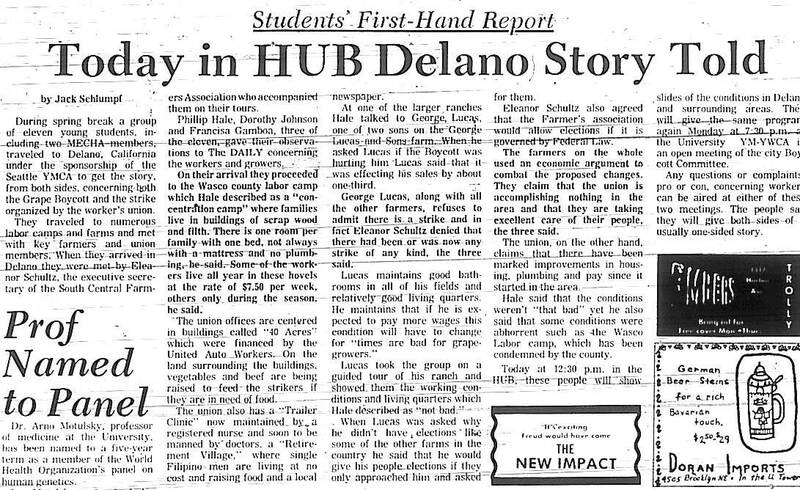 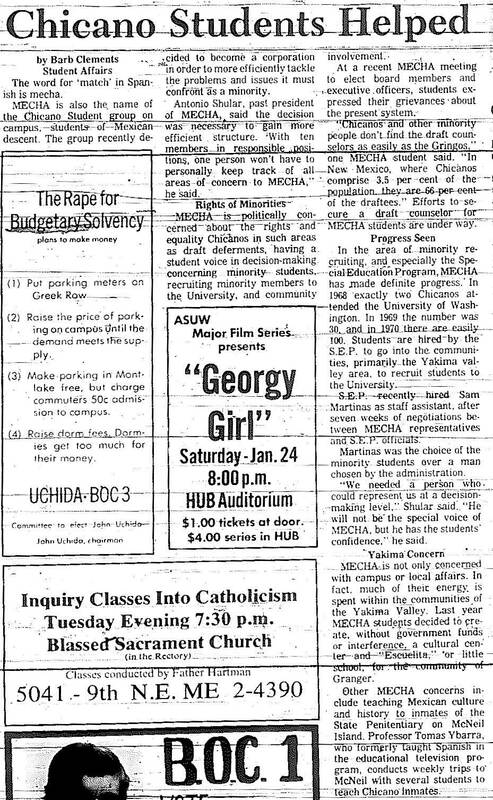 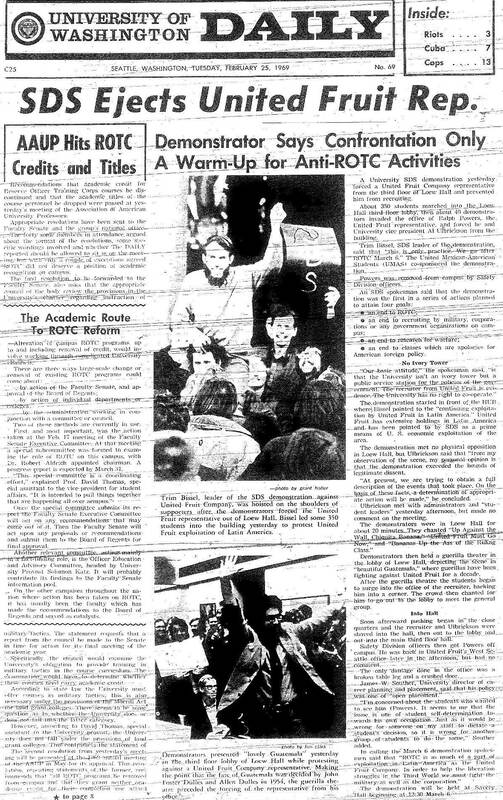 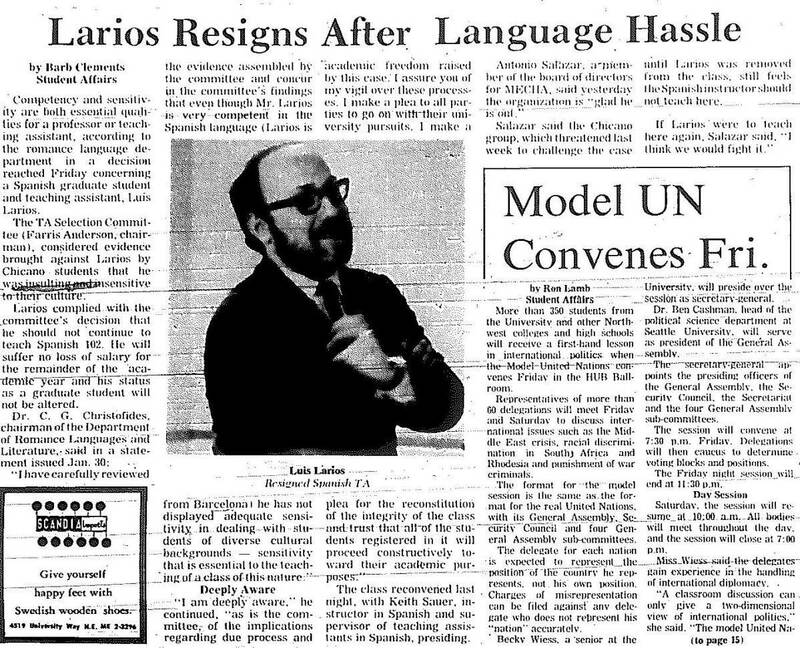 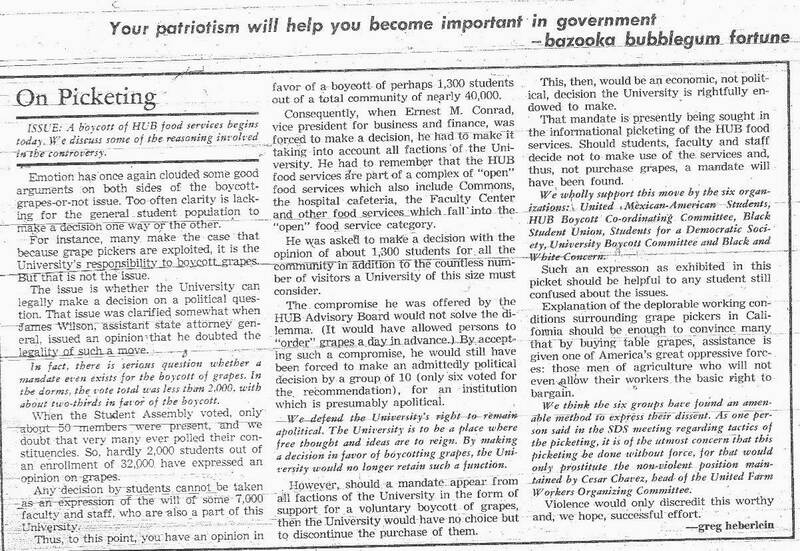 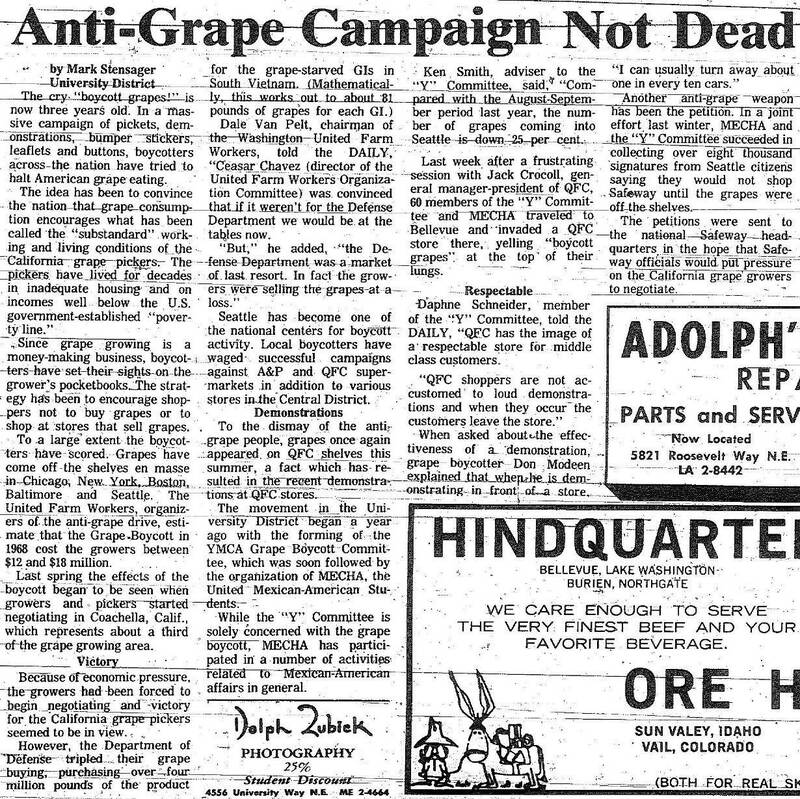 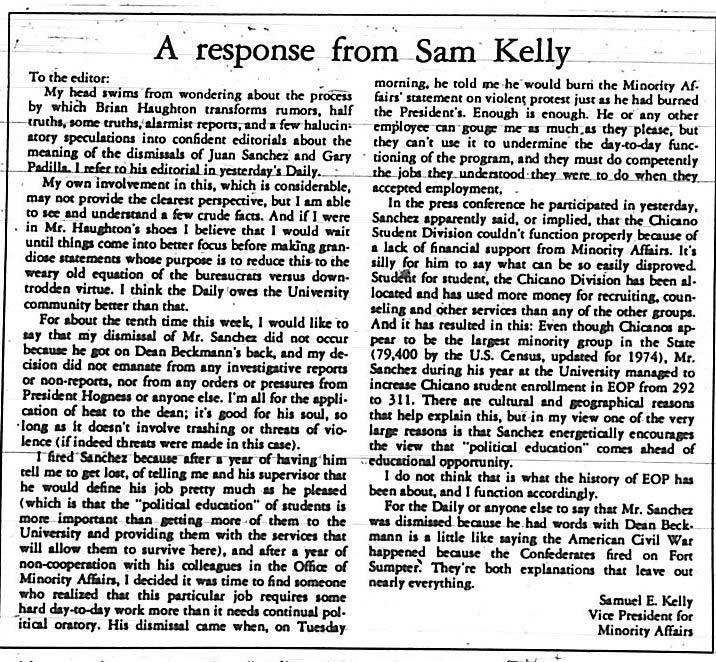 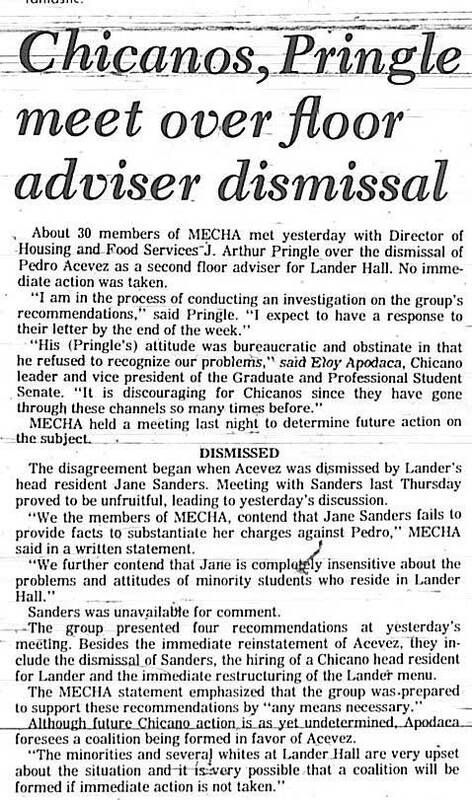 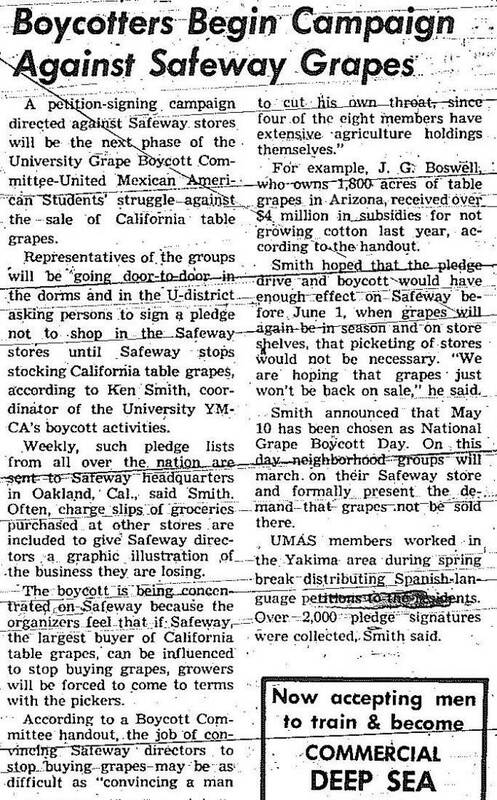 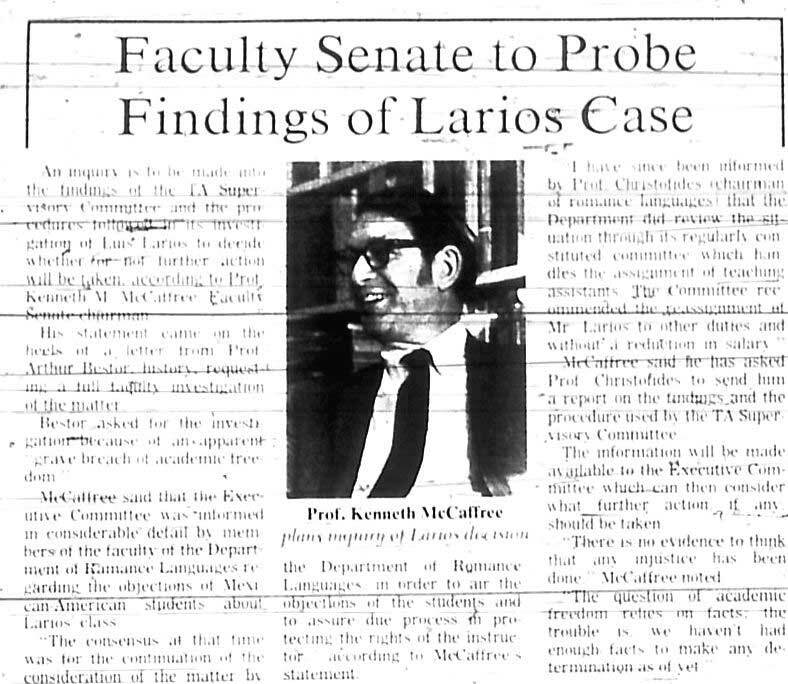 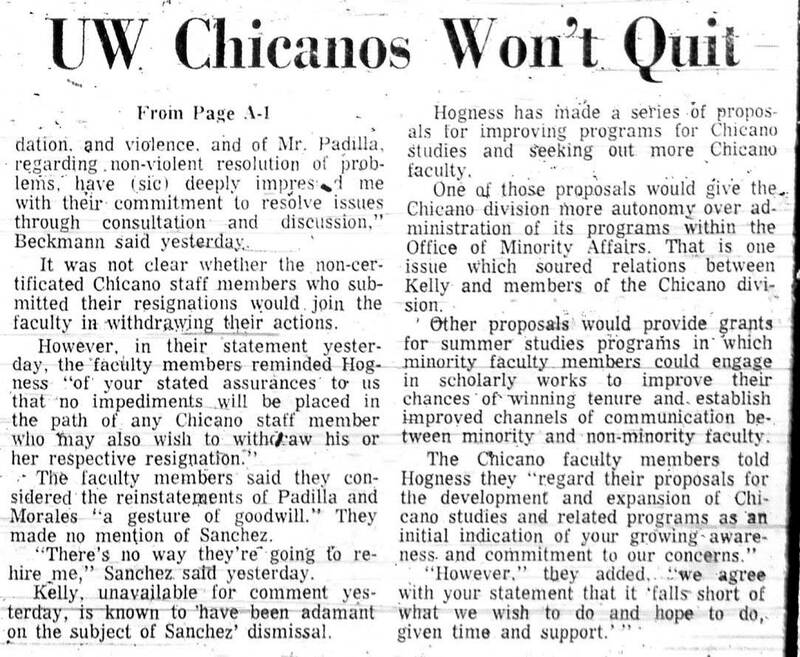 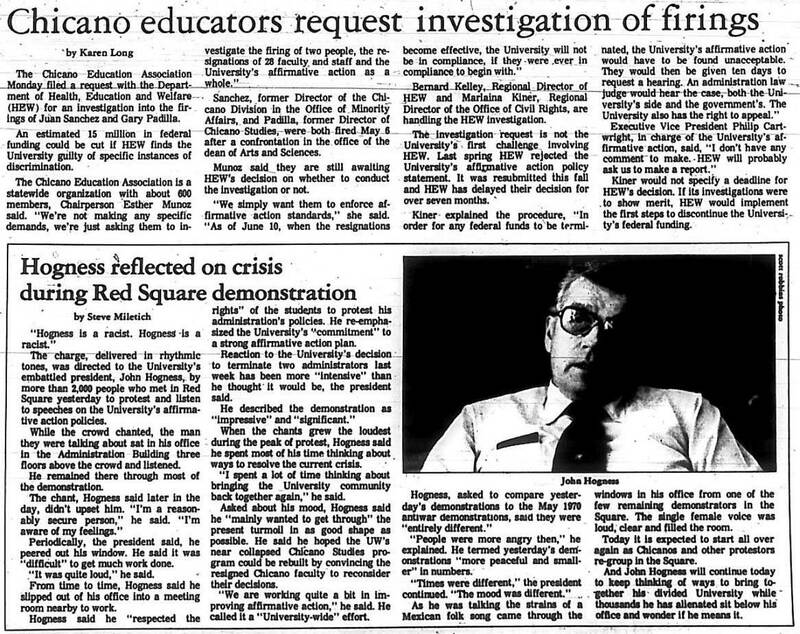 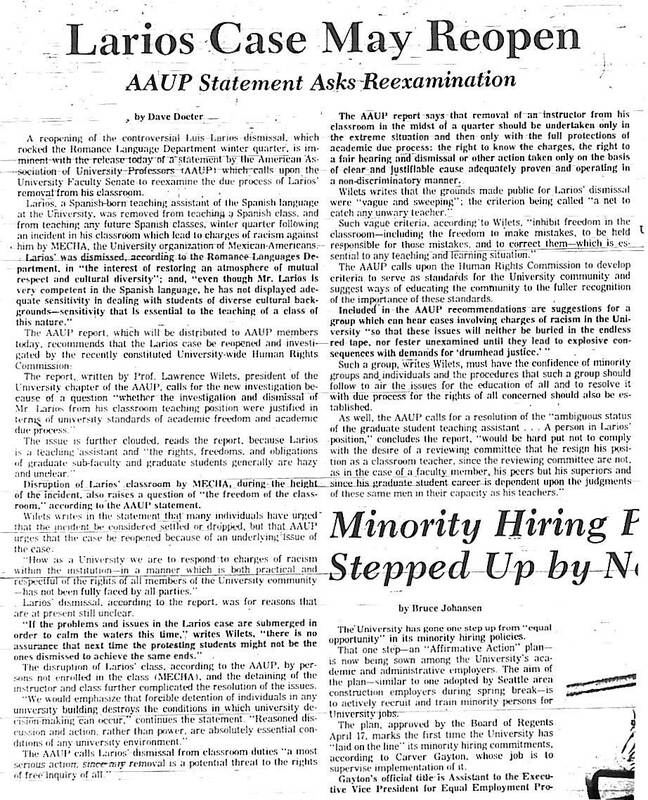 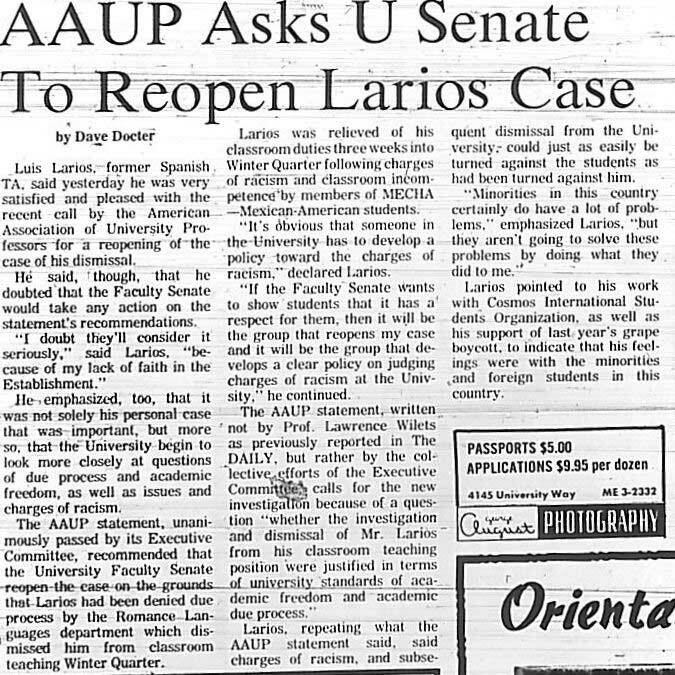 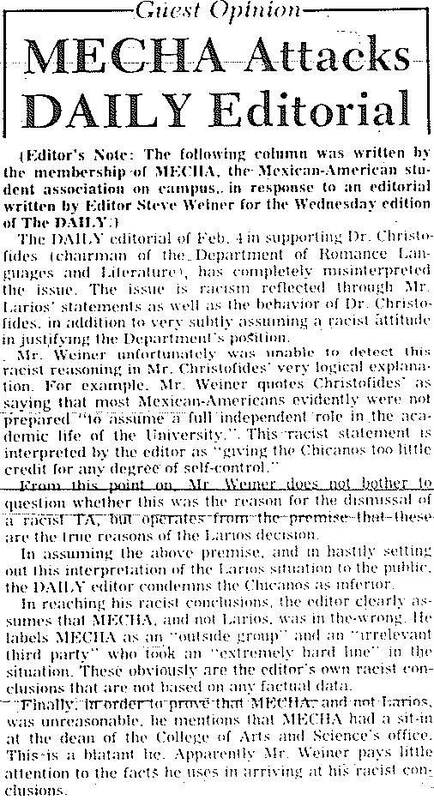 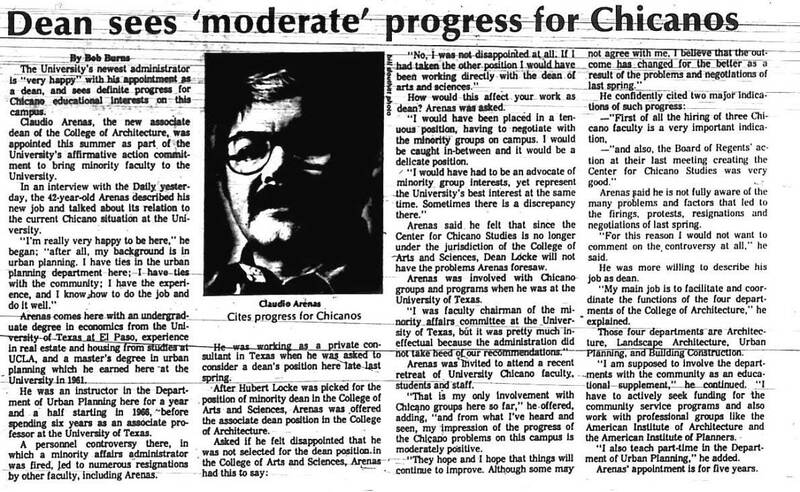 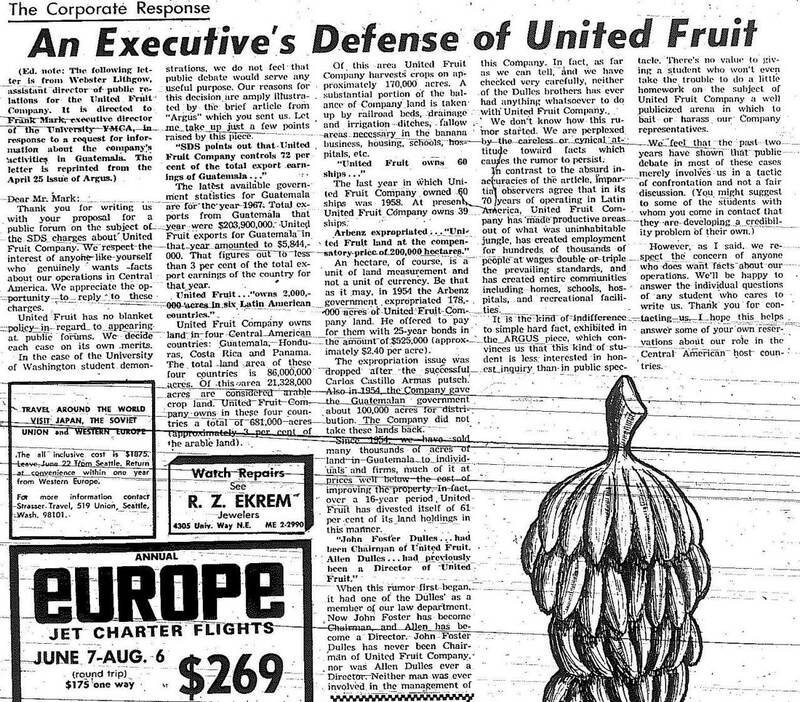 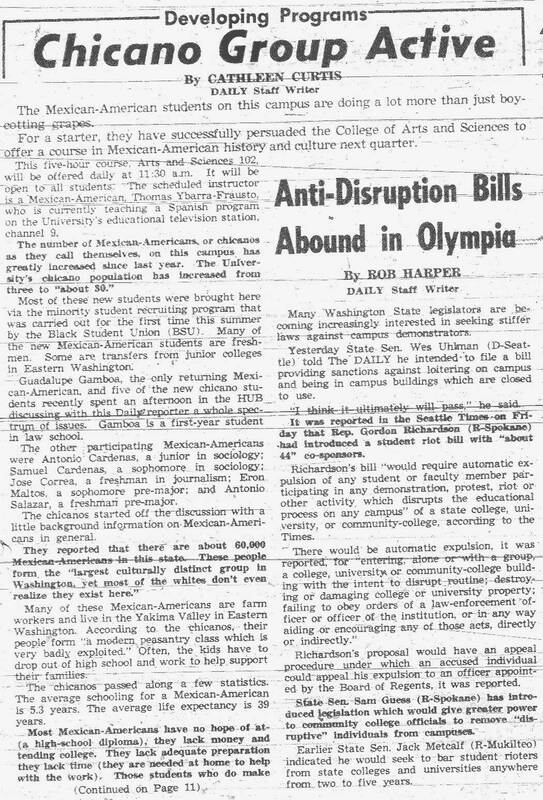 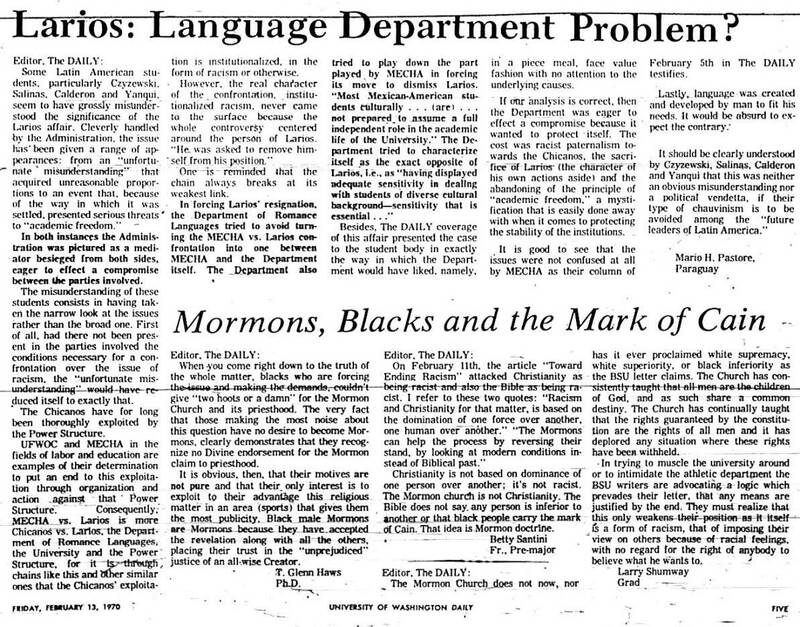 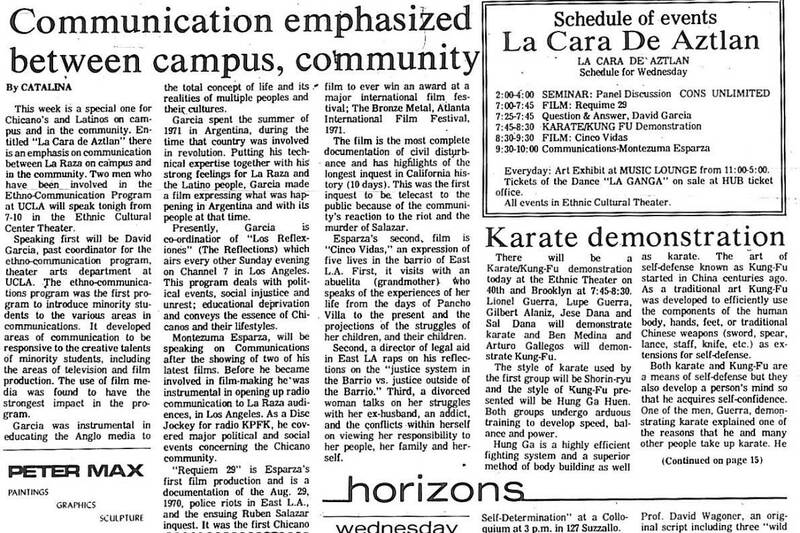 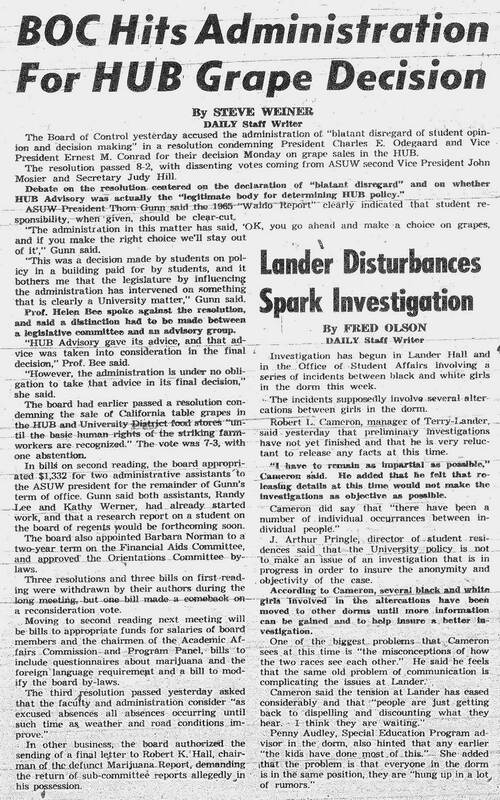 25-Feb-69 Daily SDS ejects United Fruit Rep.
1-Oct-69 Daily "We have a common cause"
13-Feb-70 Daily Larios: Language department problem? 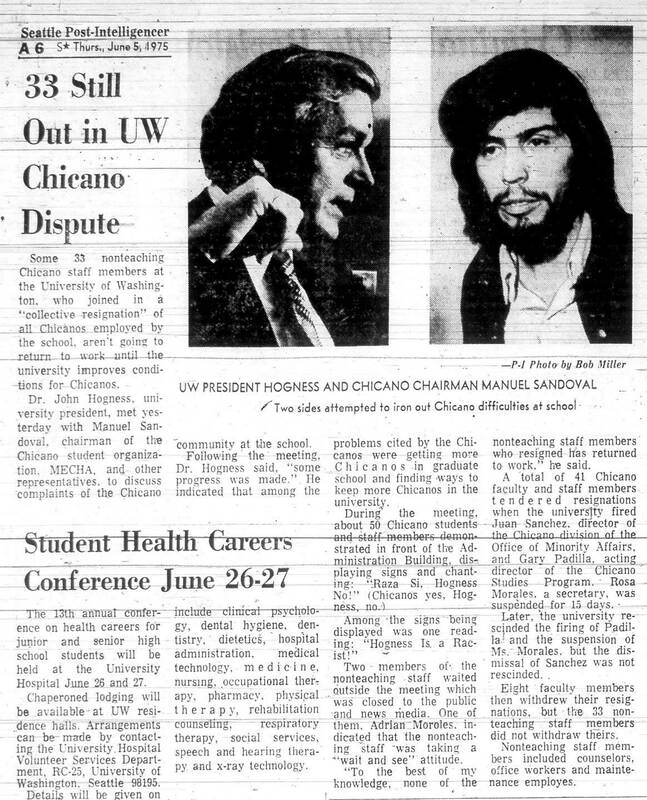 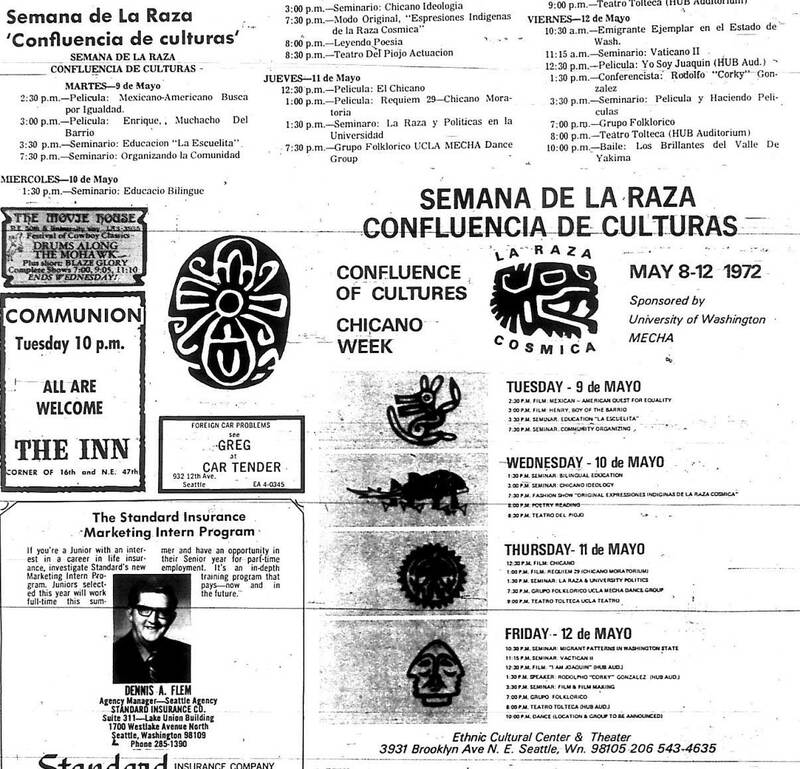 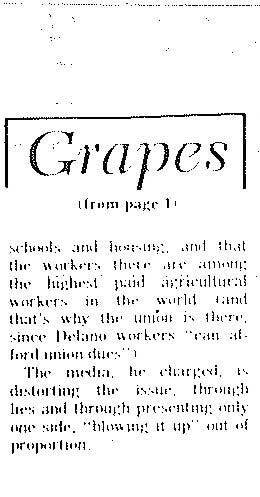 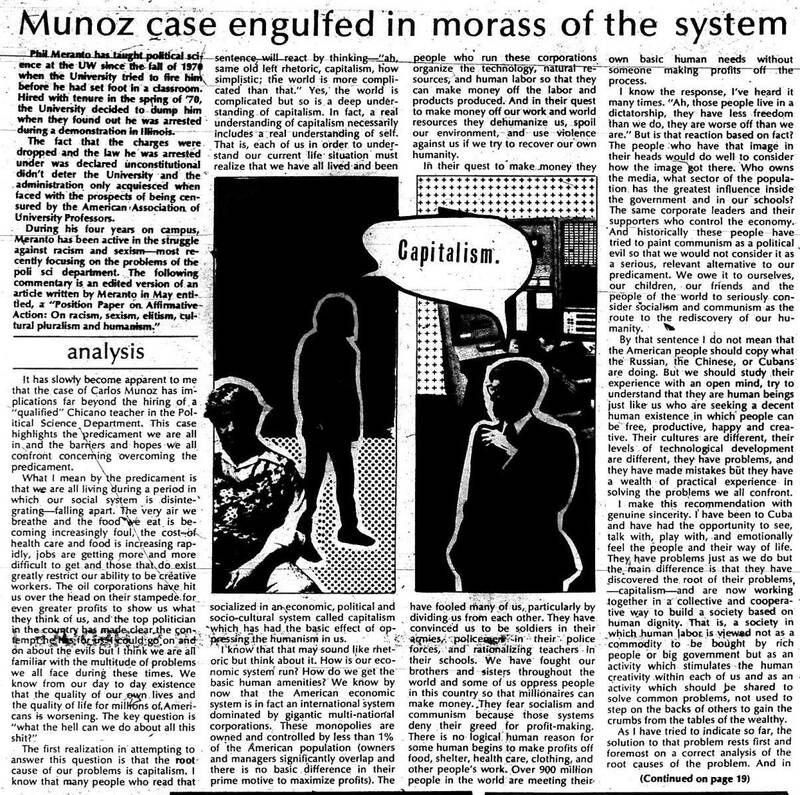 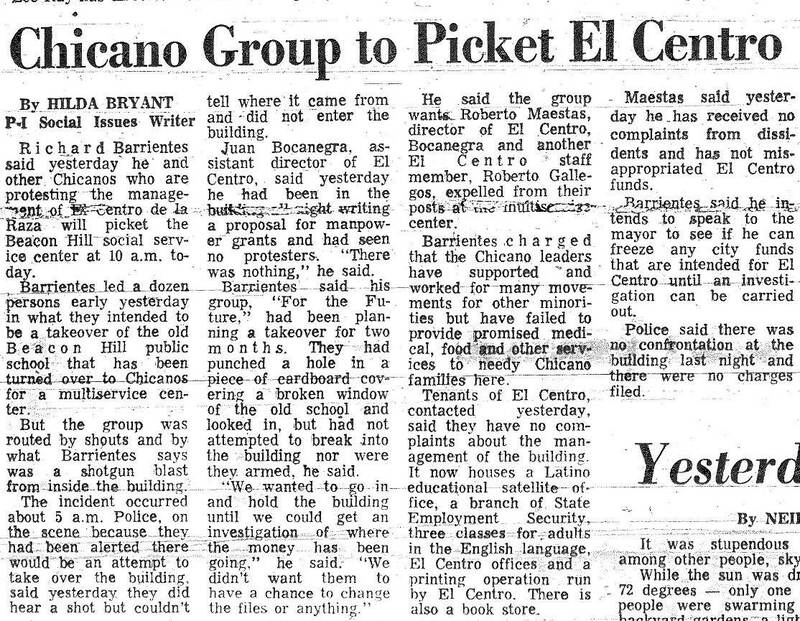 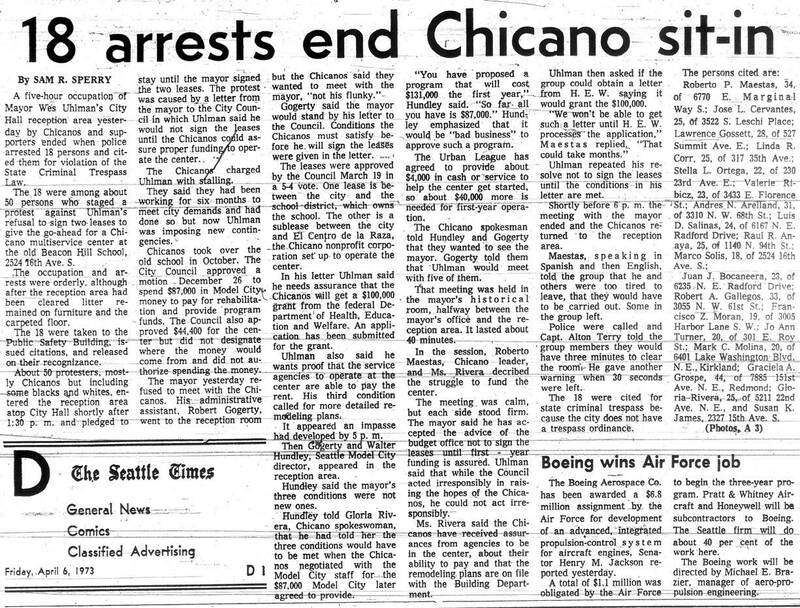 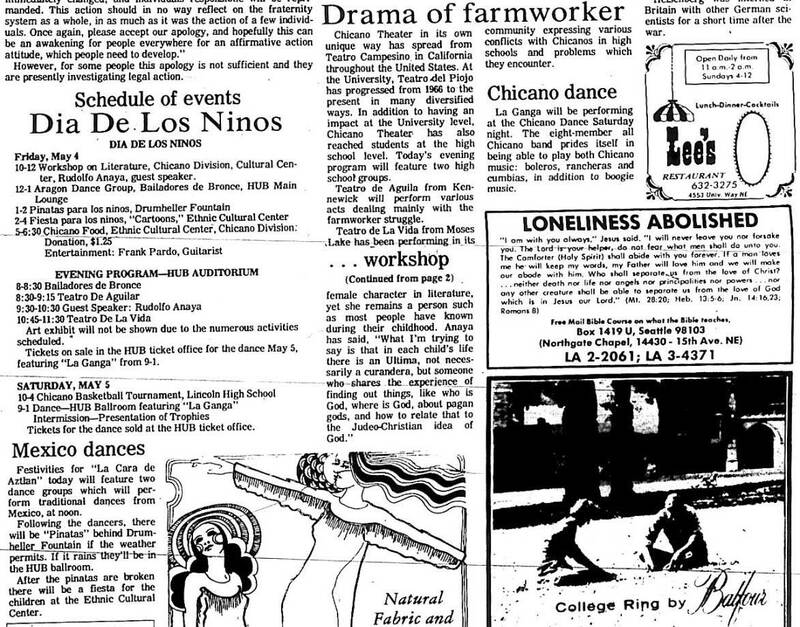 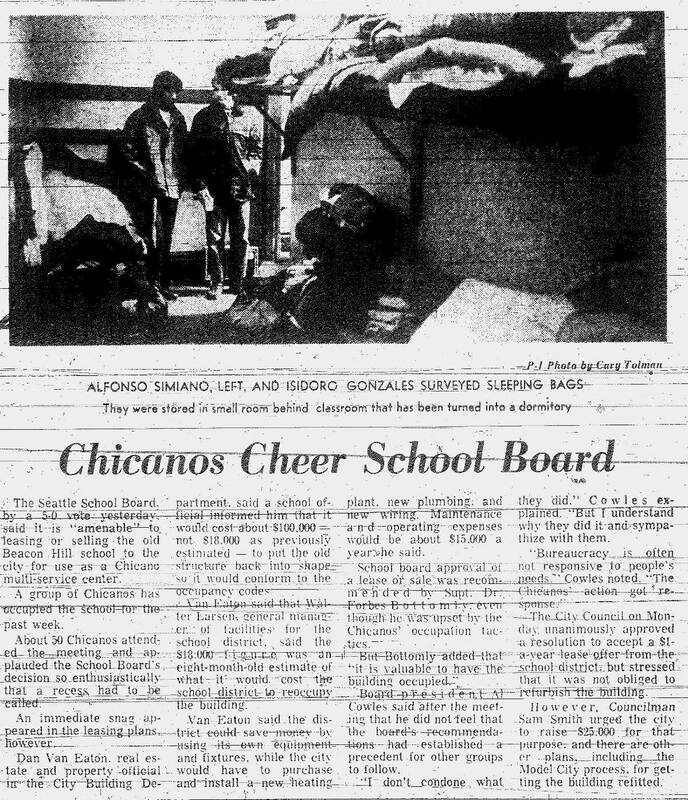 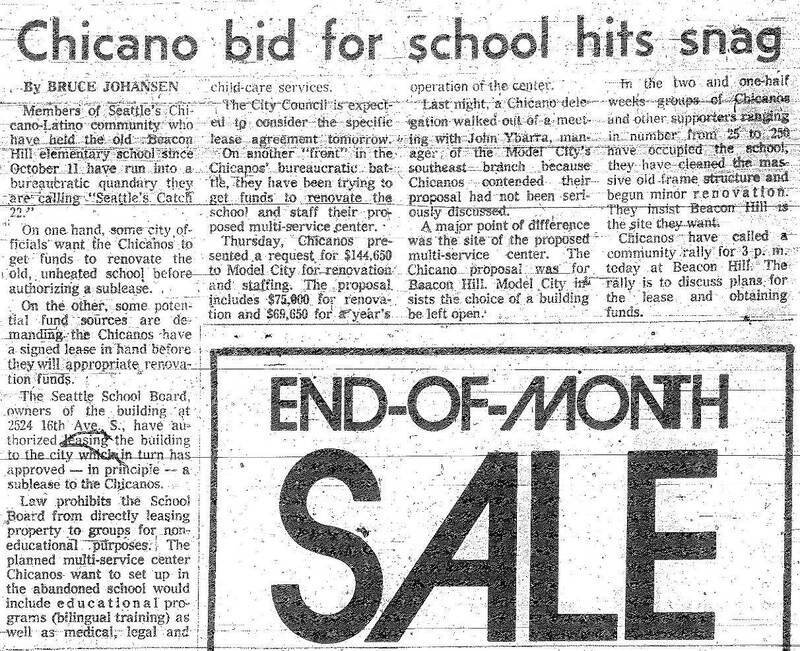 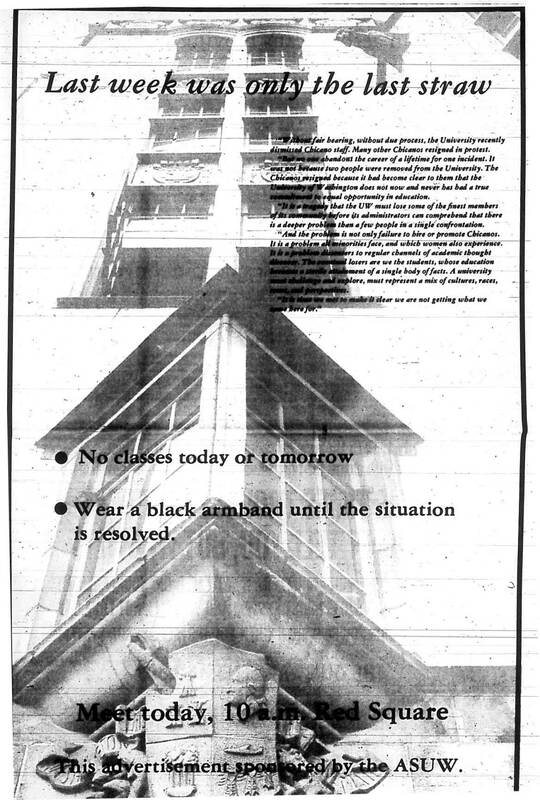 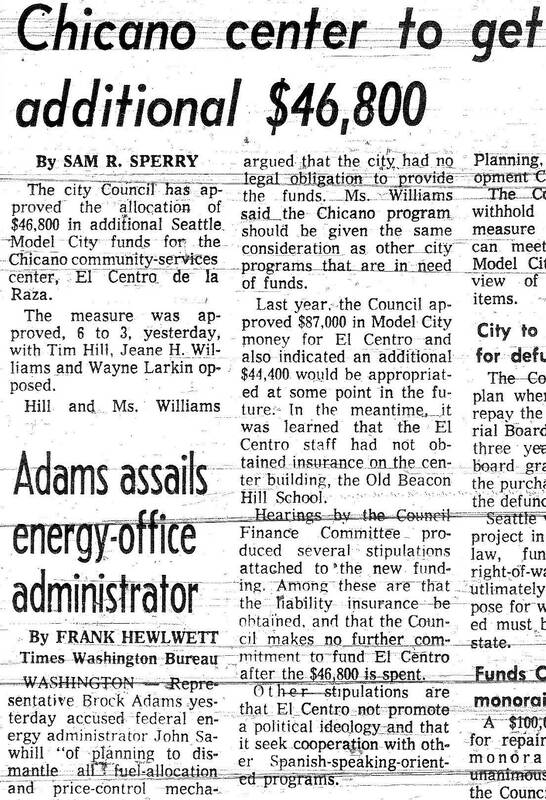 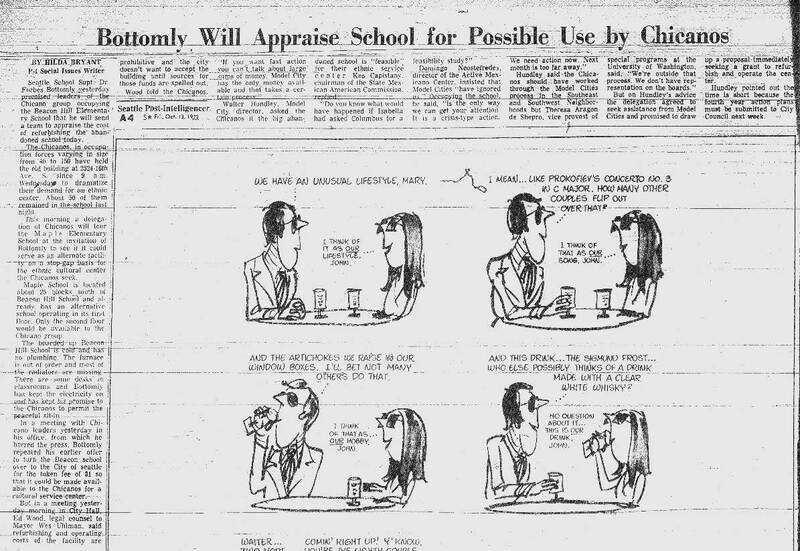 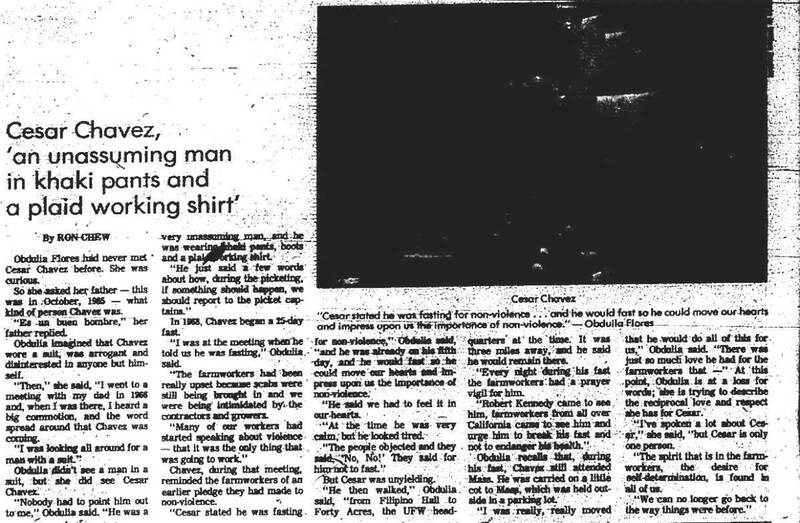 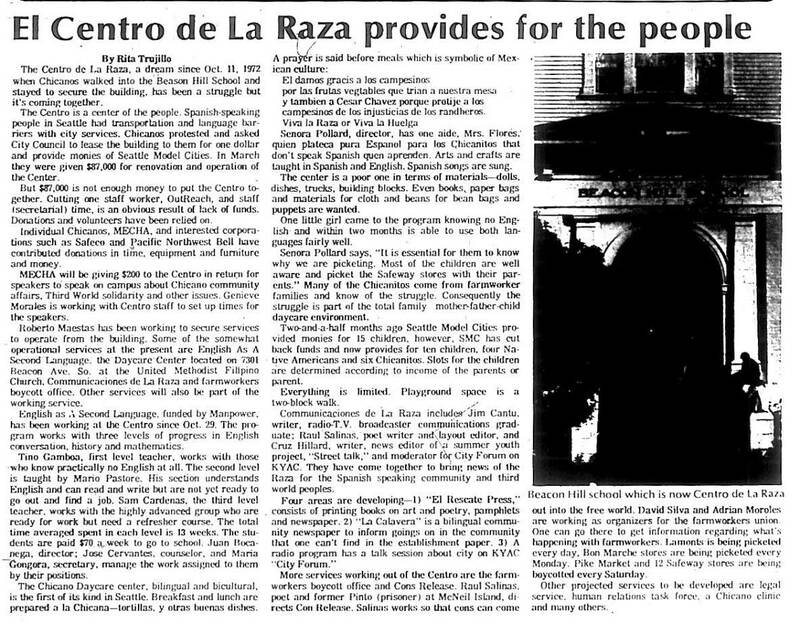 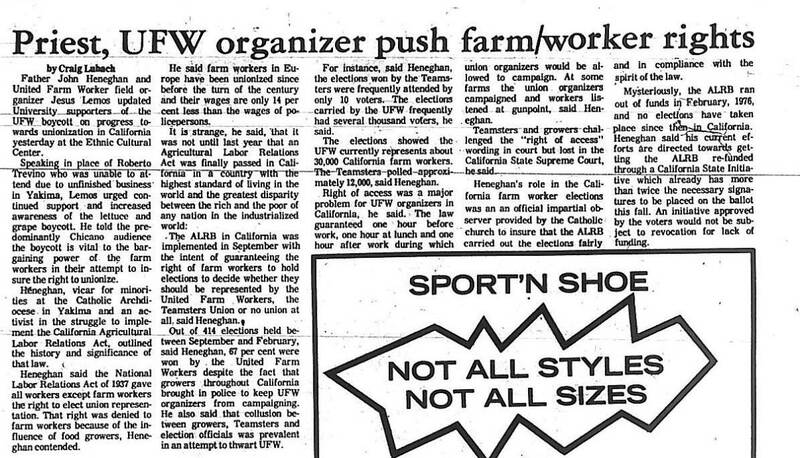 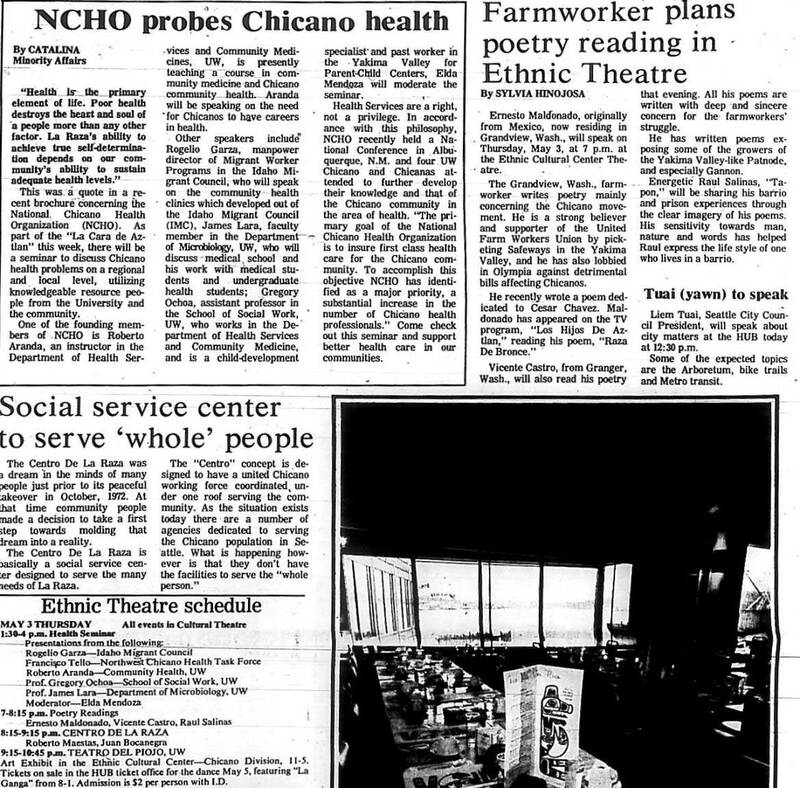 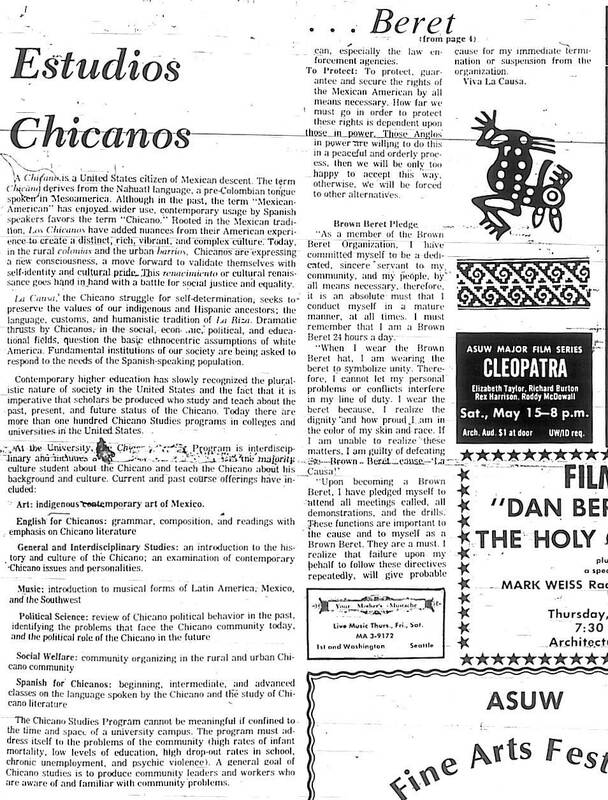 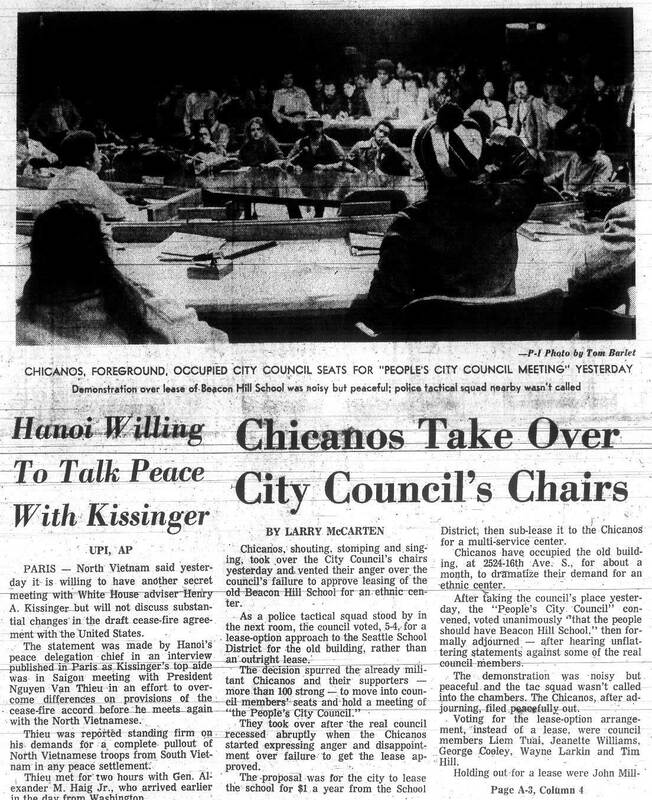 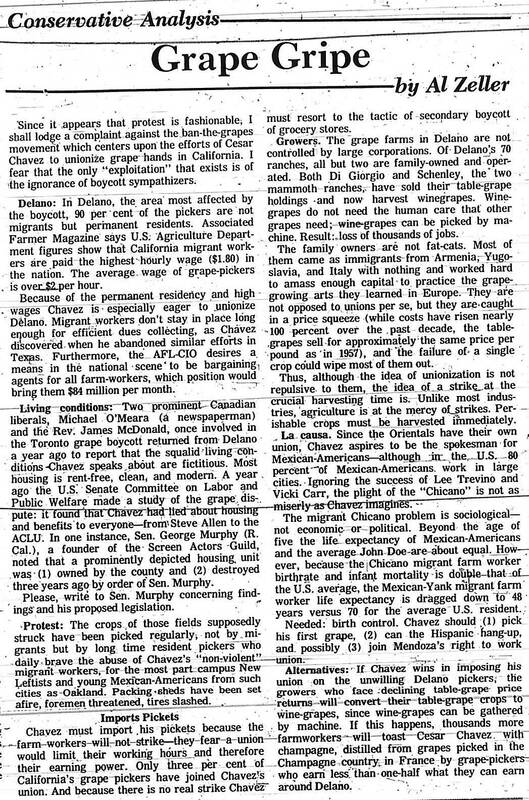 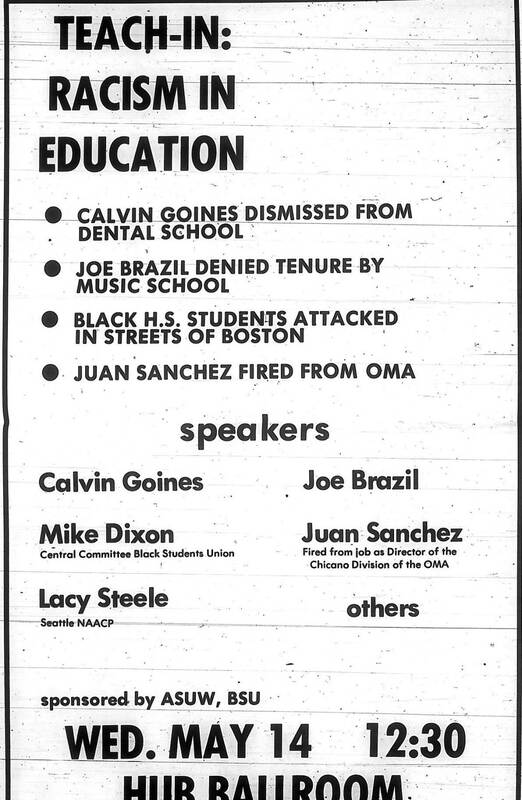 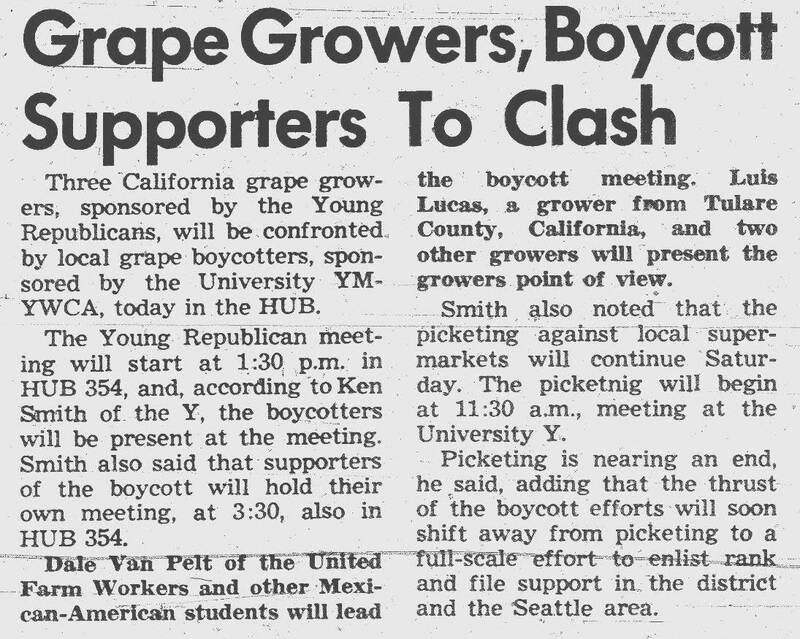 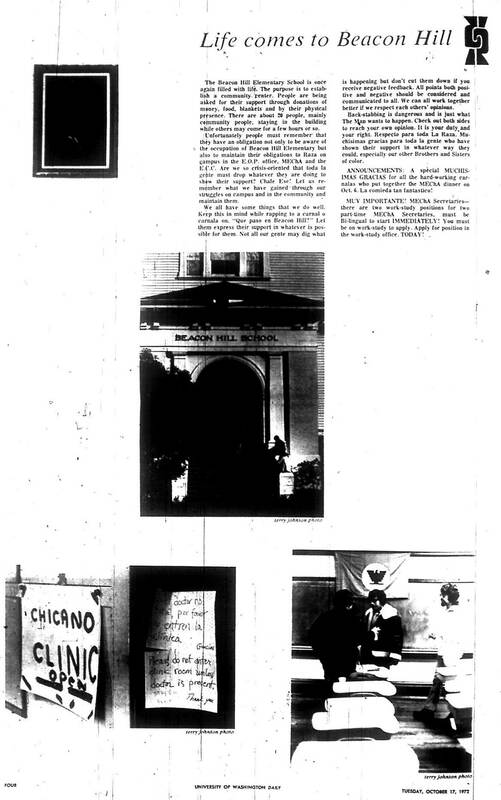 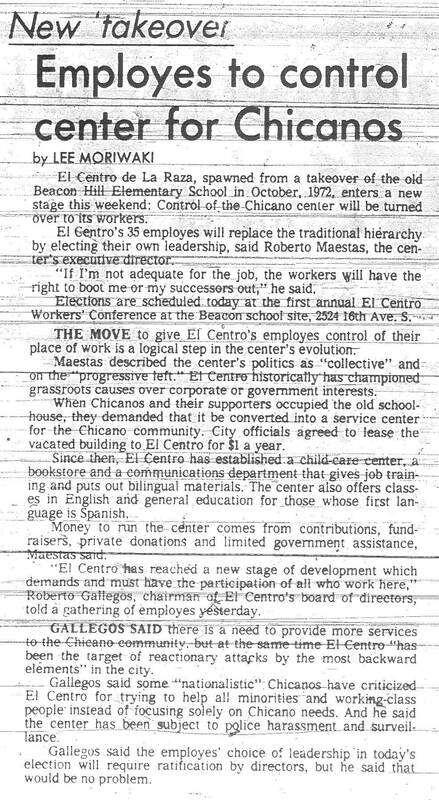 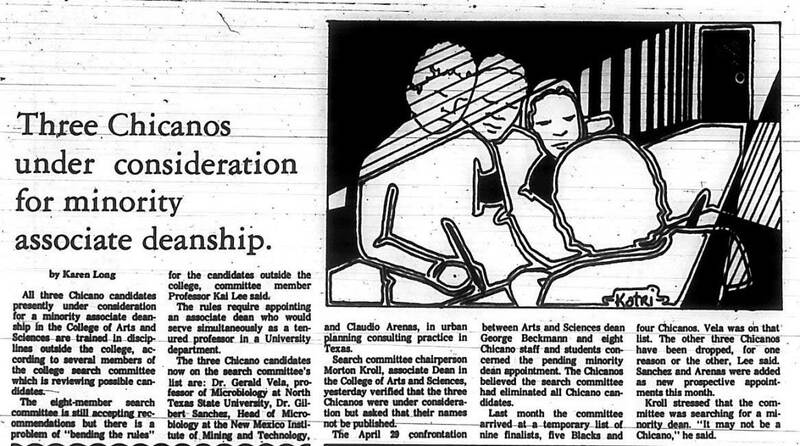 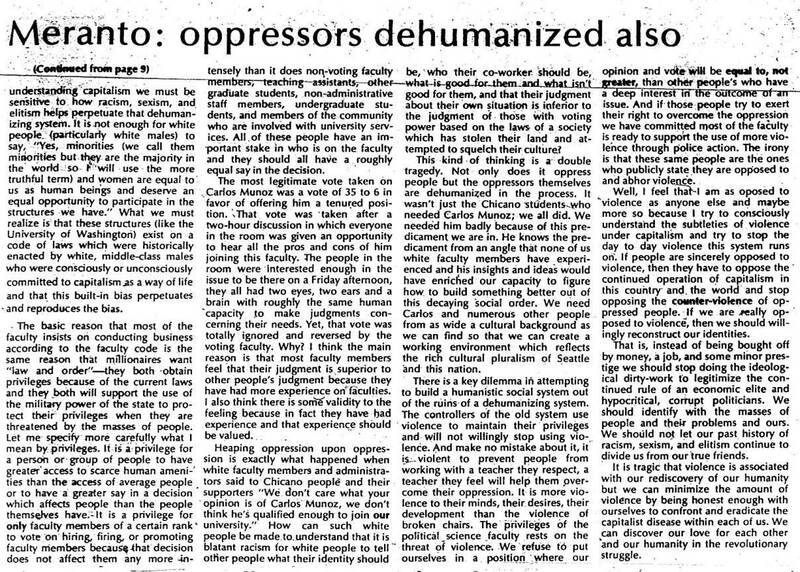 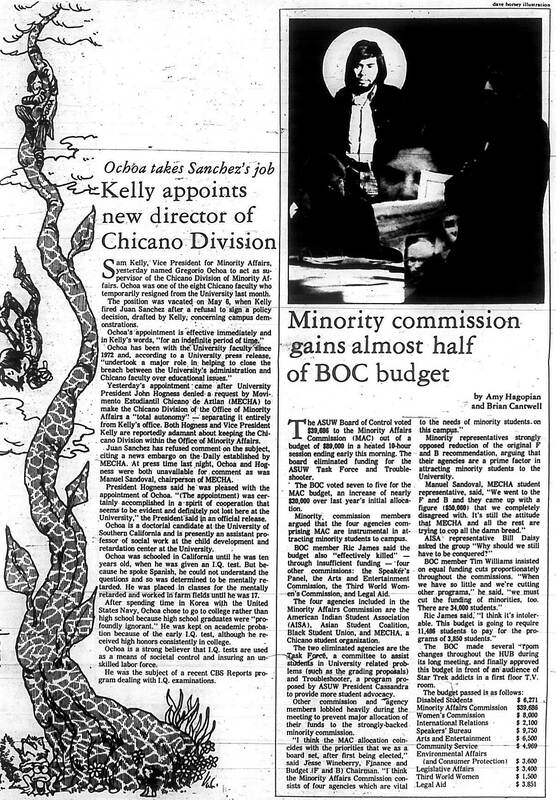 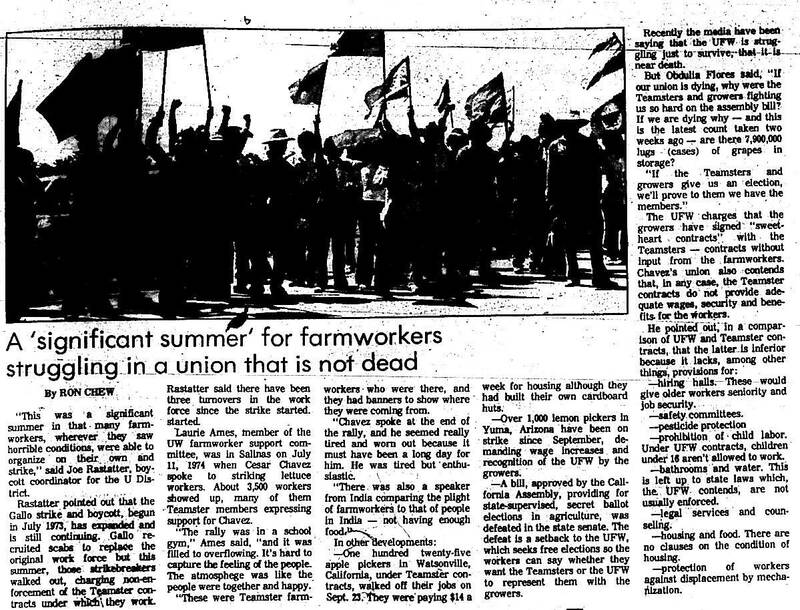 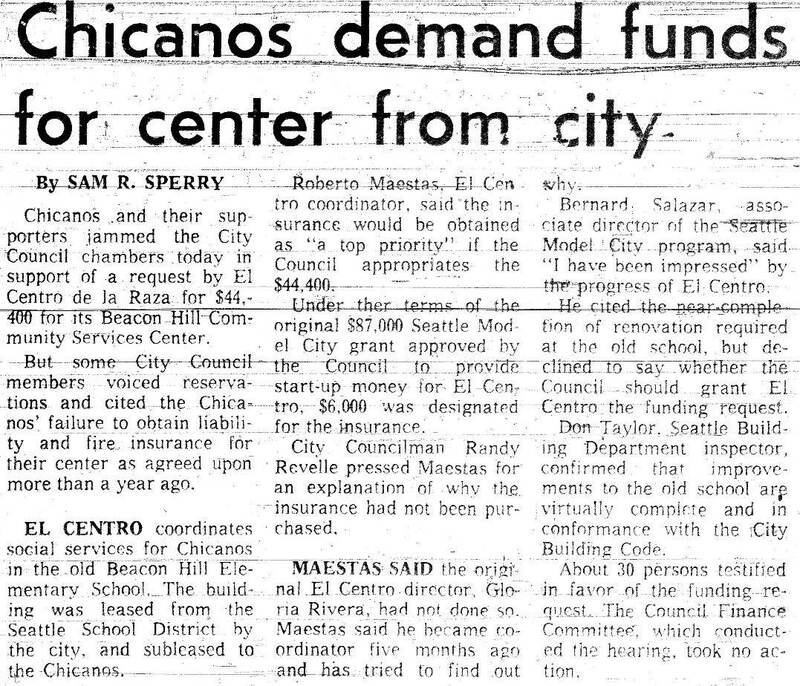 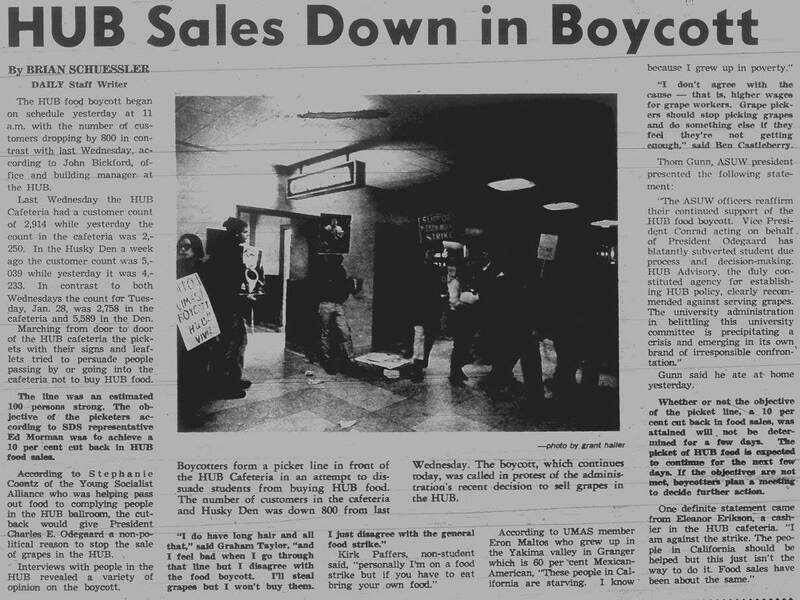 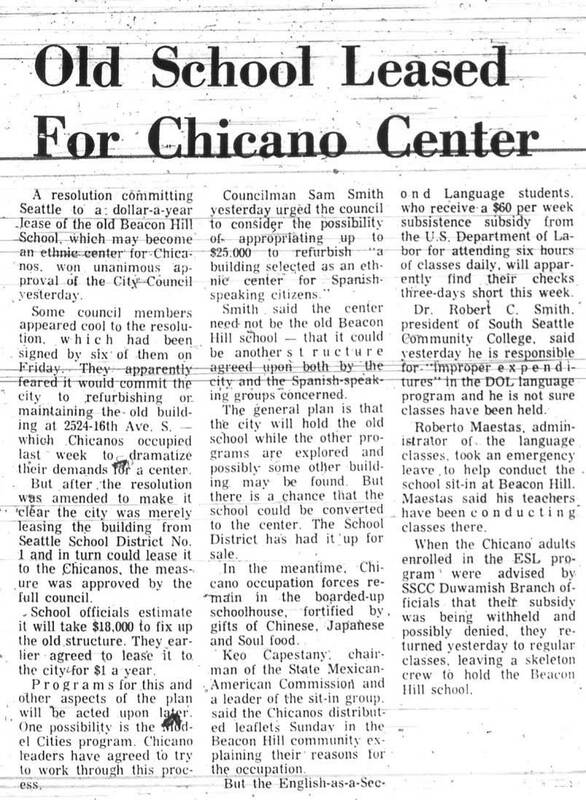 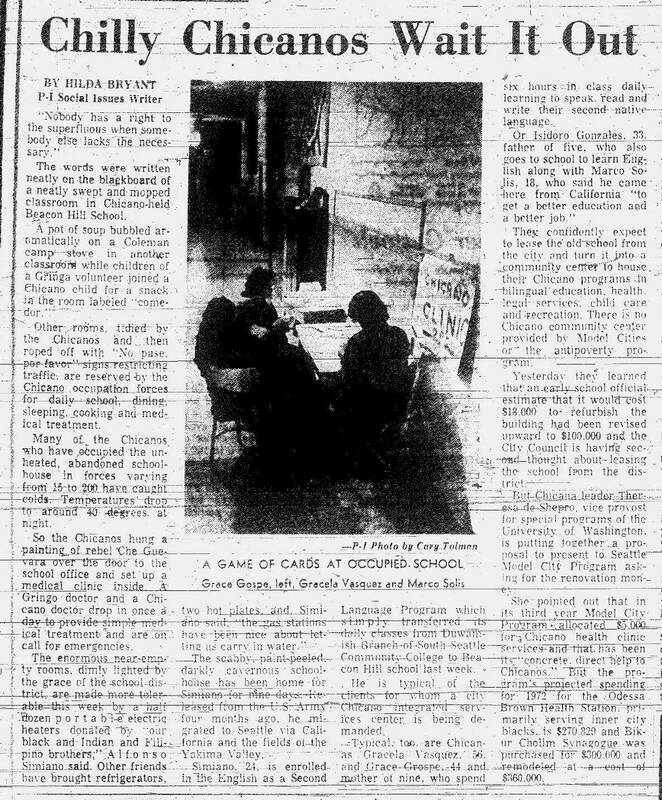 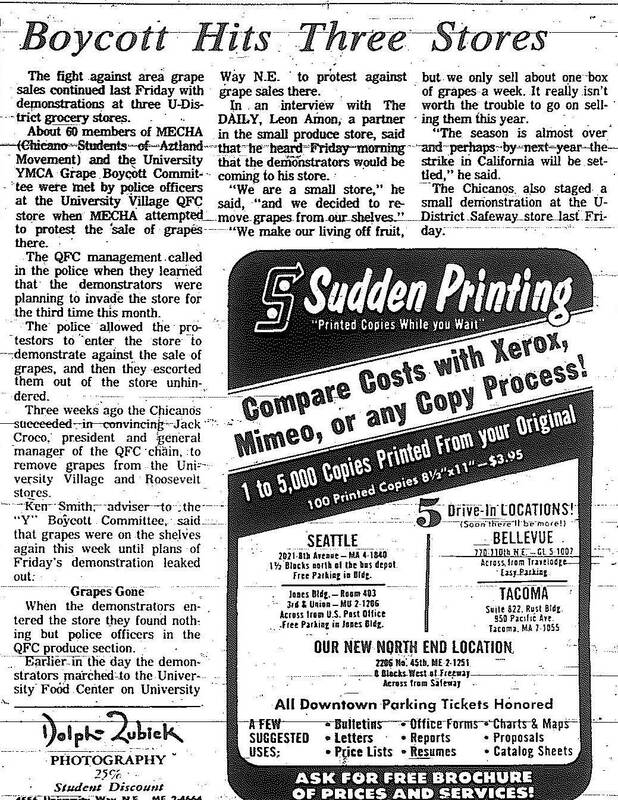 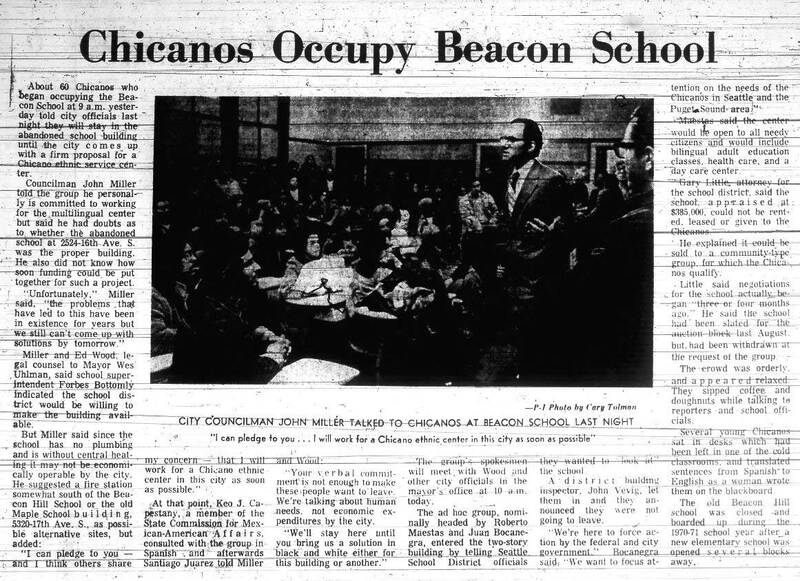 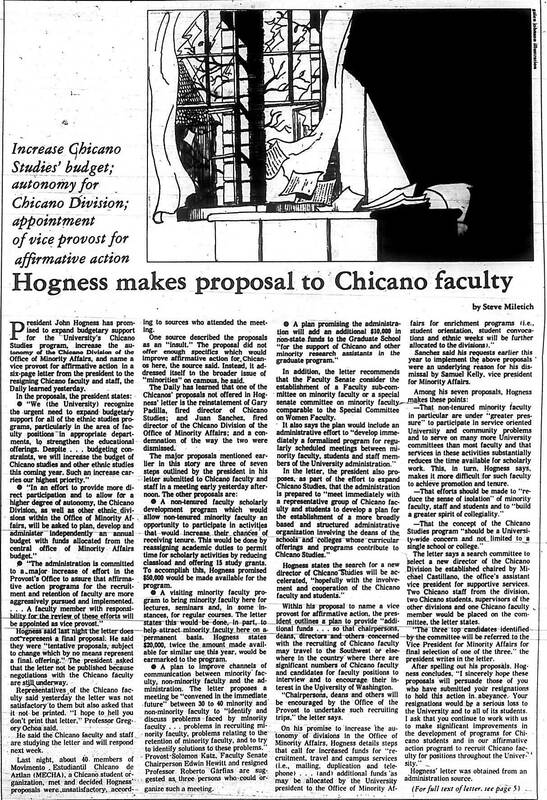 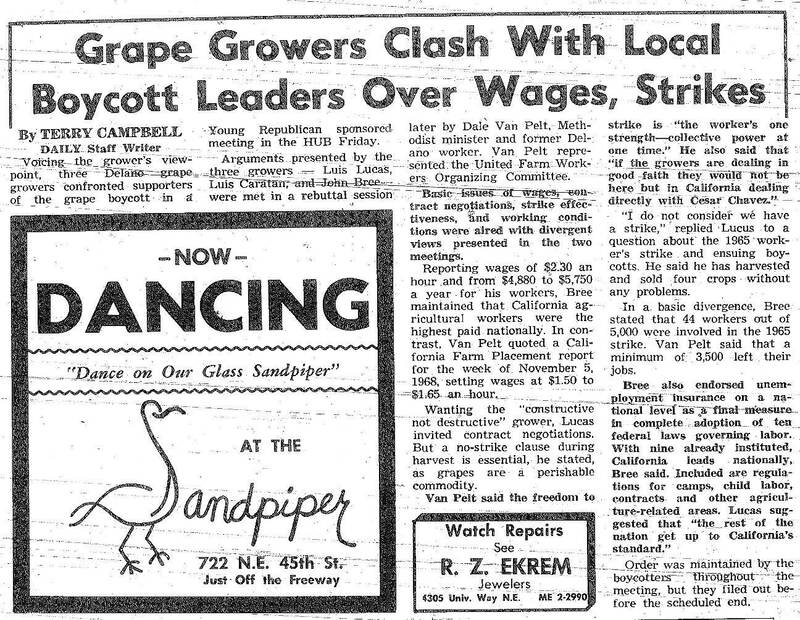 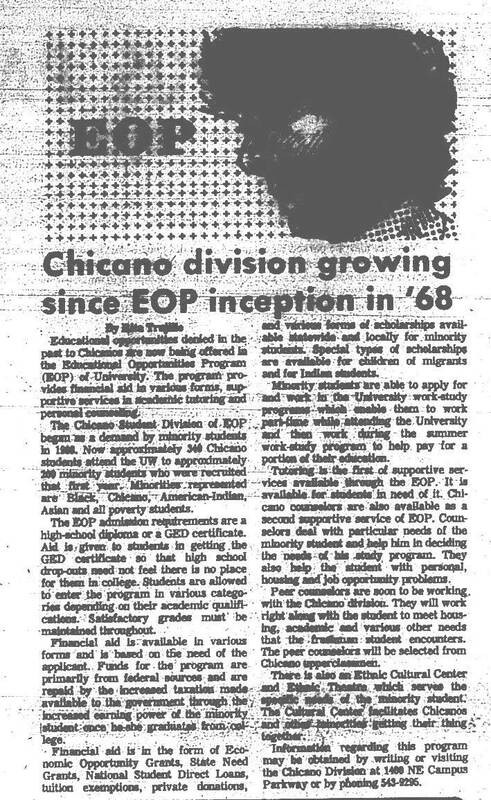 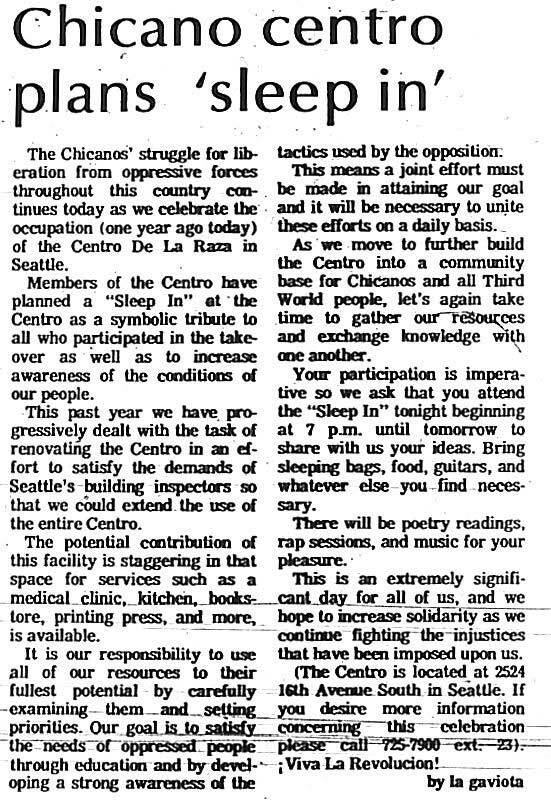 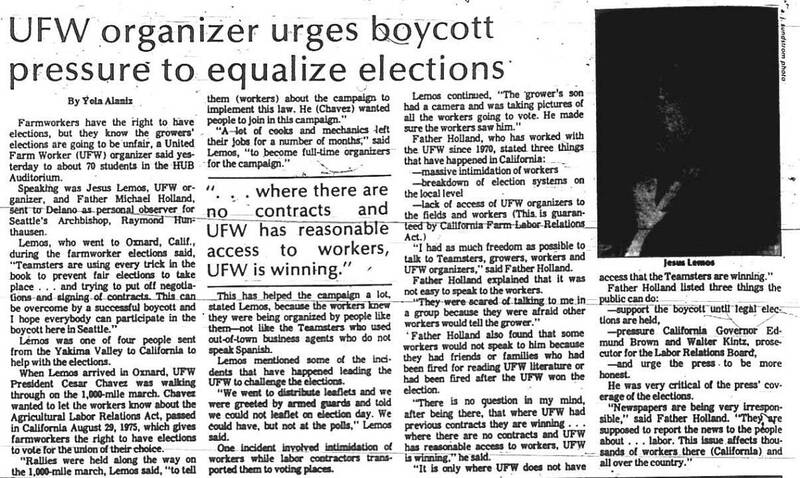 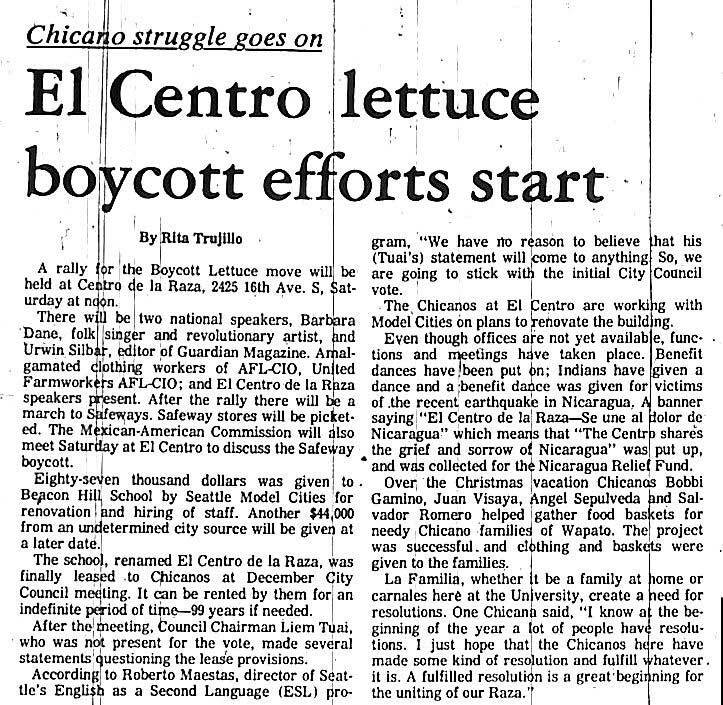 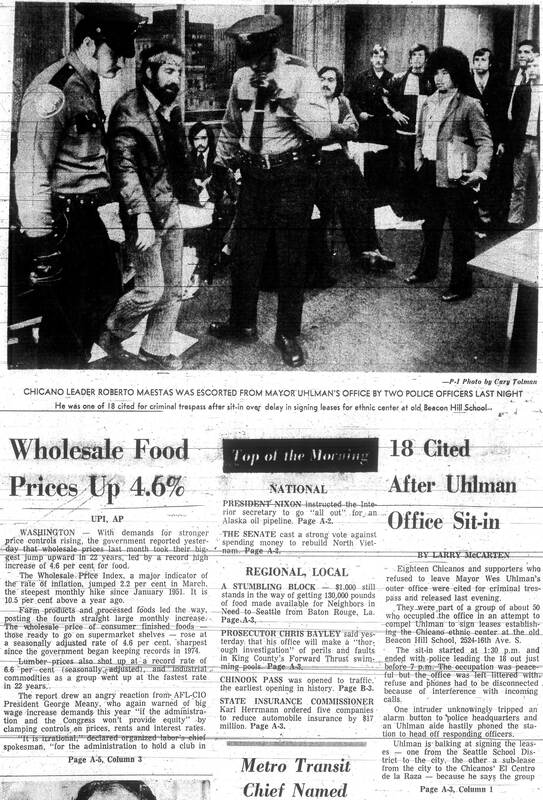 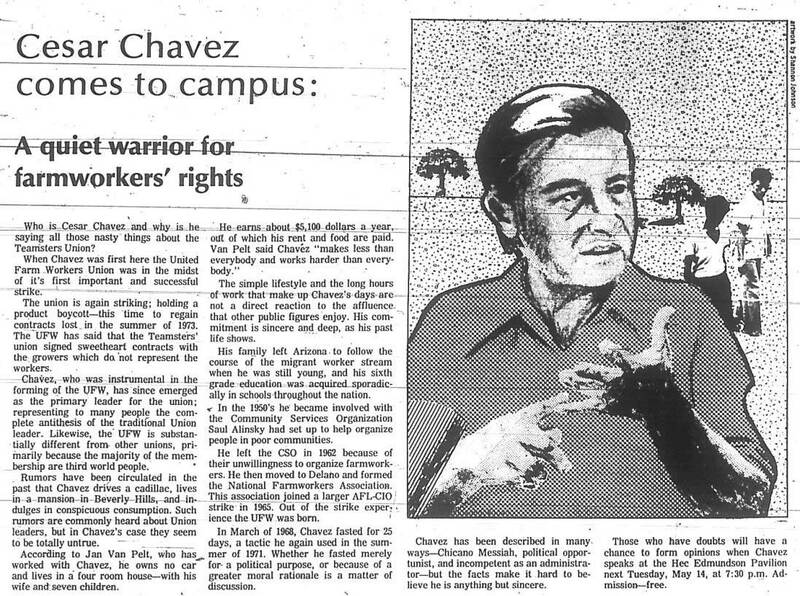 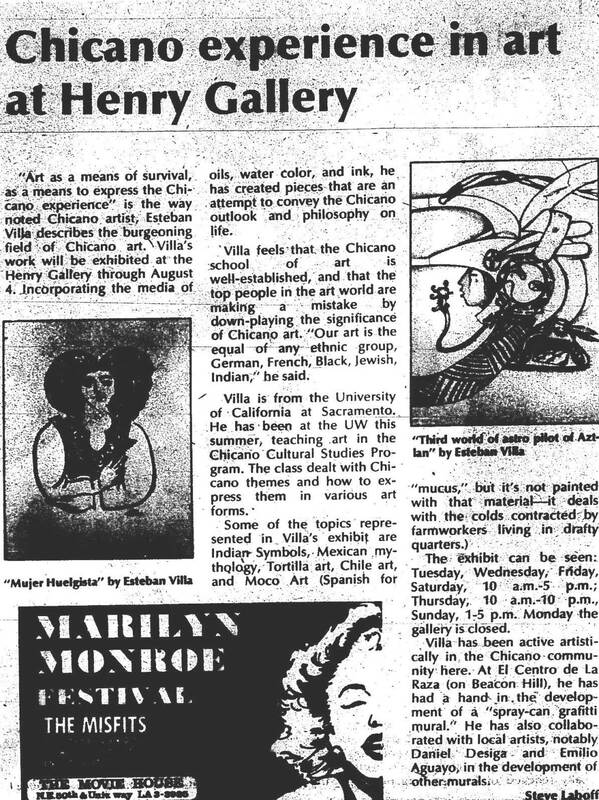 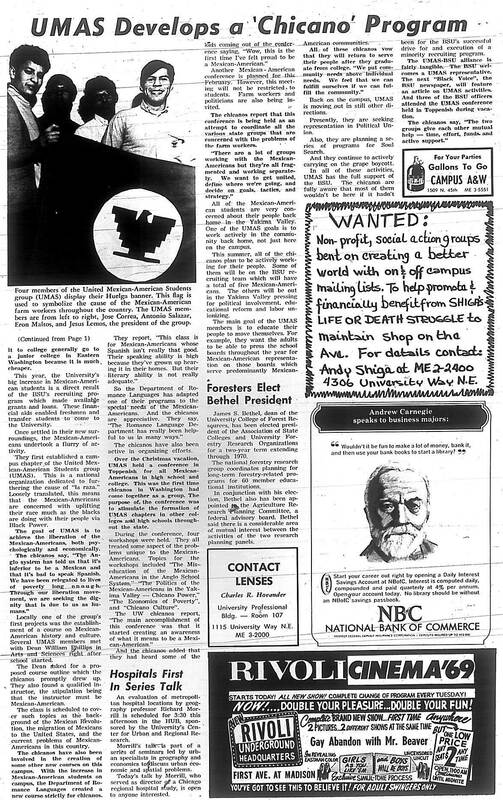 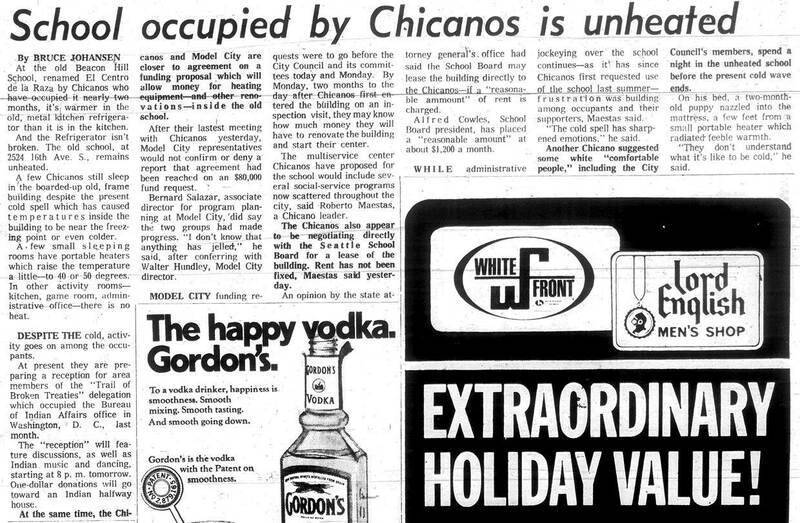 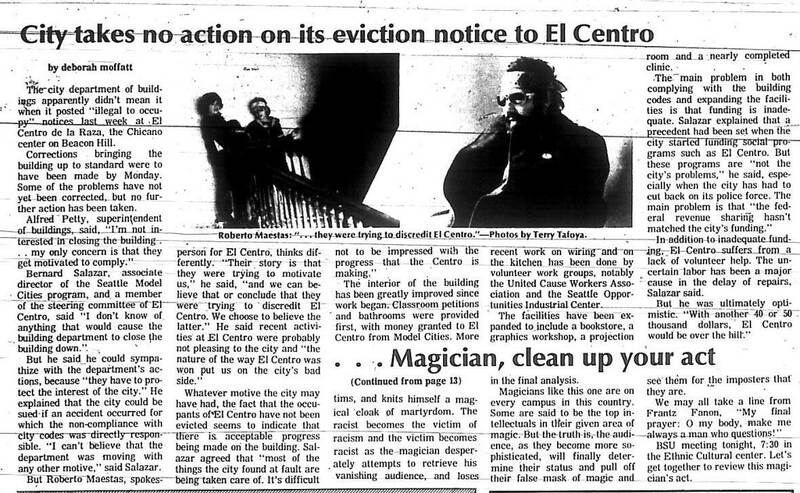 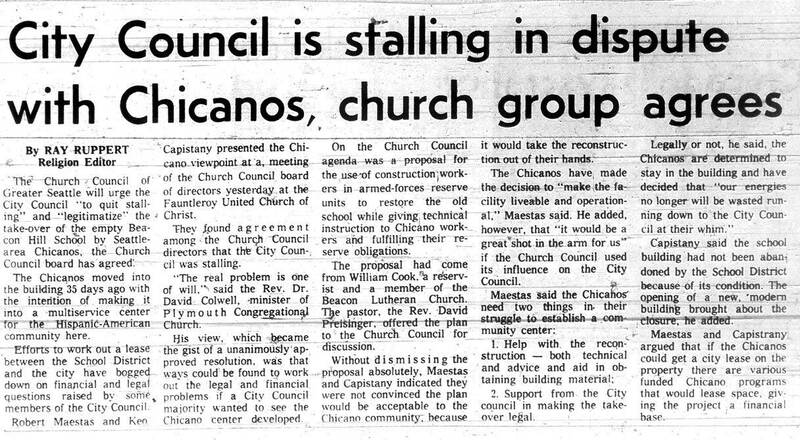 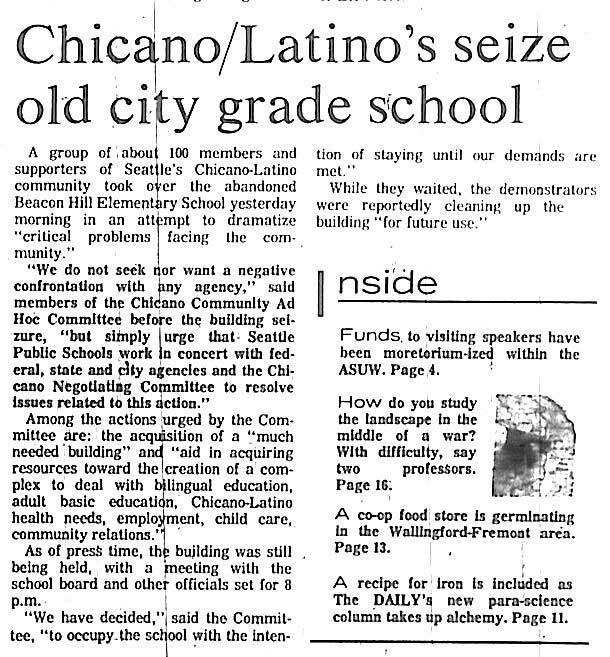 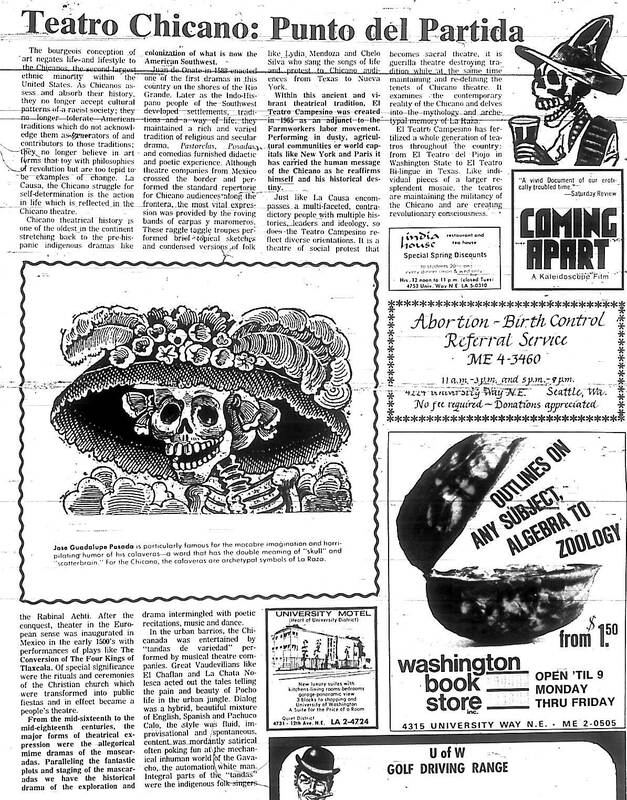 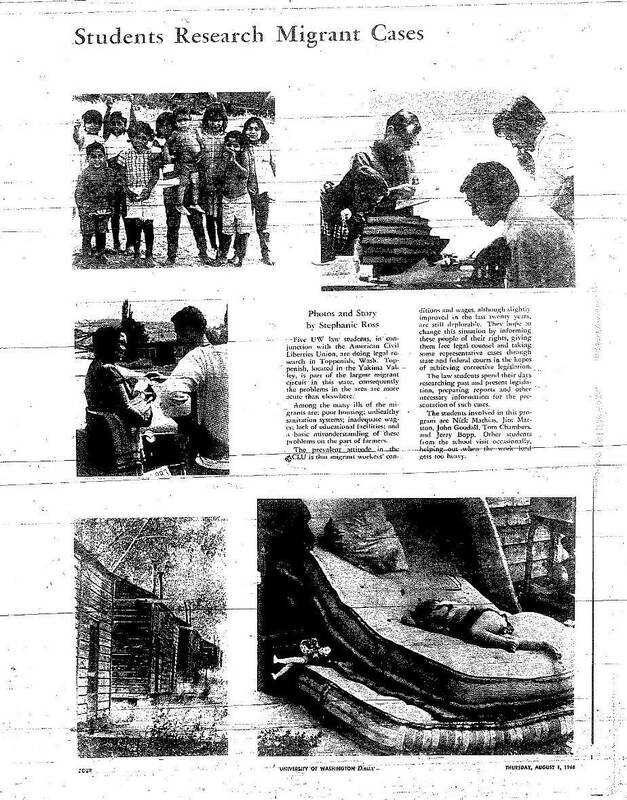 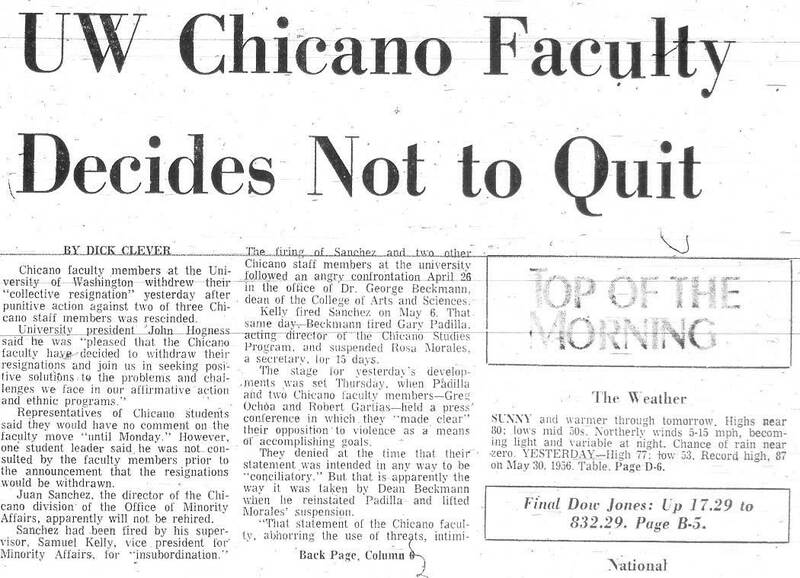 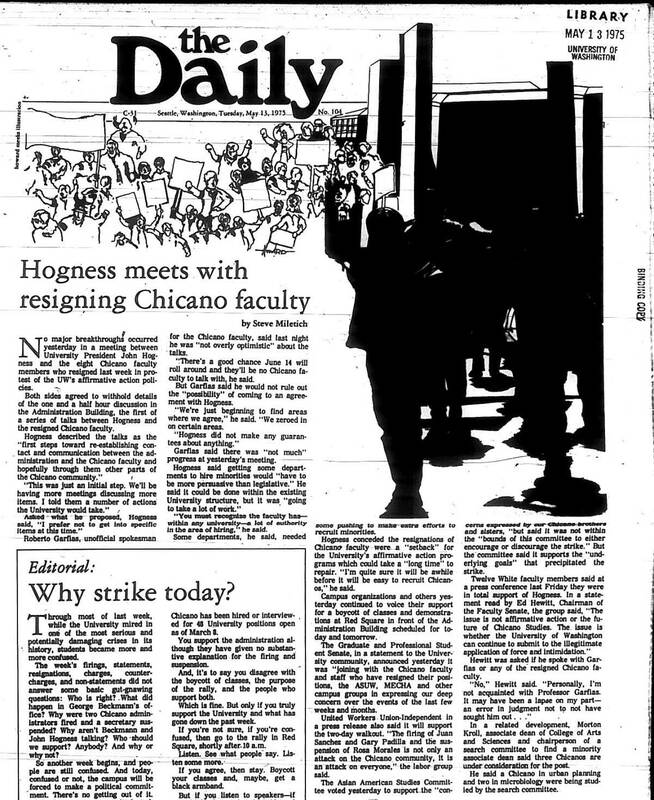 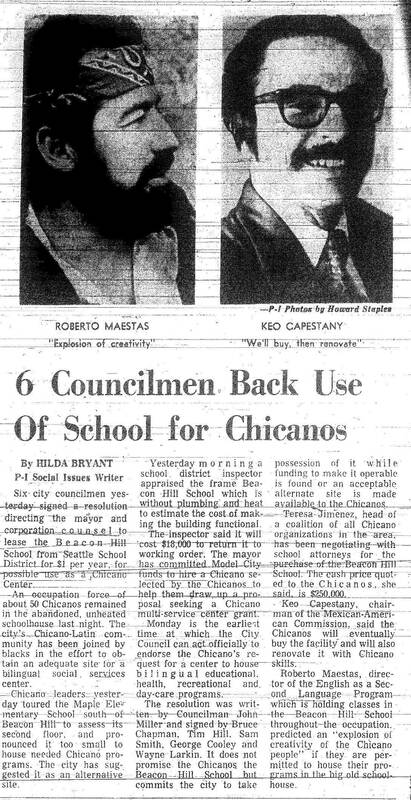 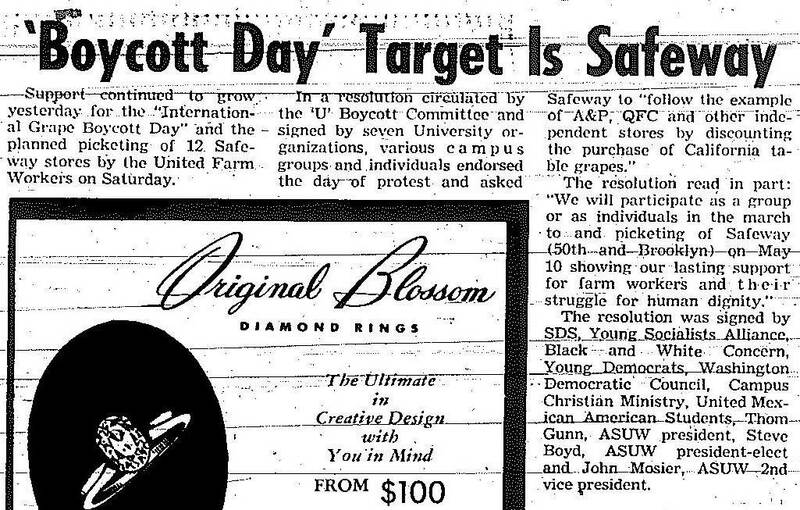 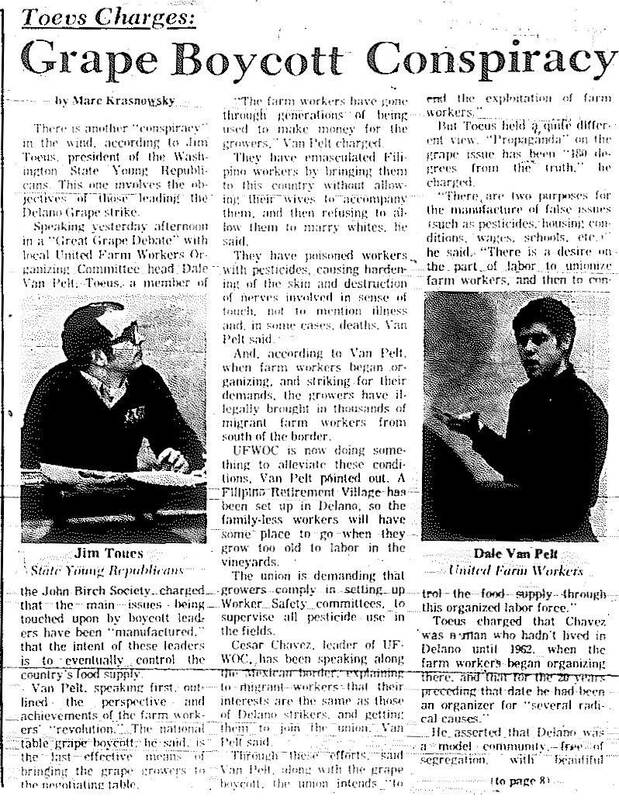 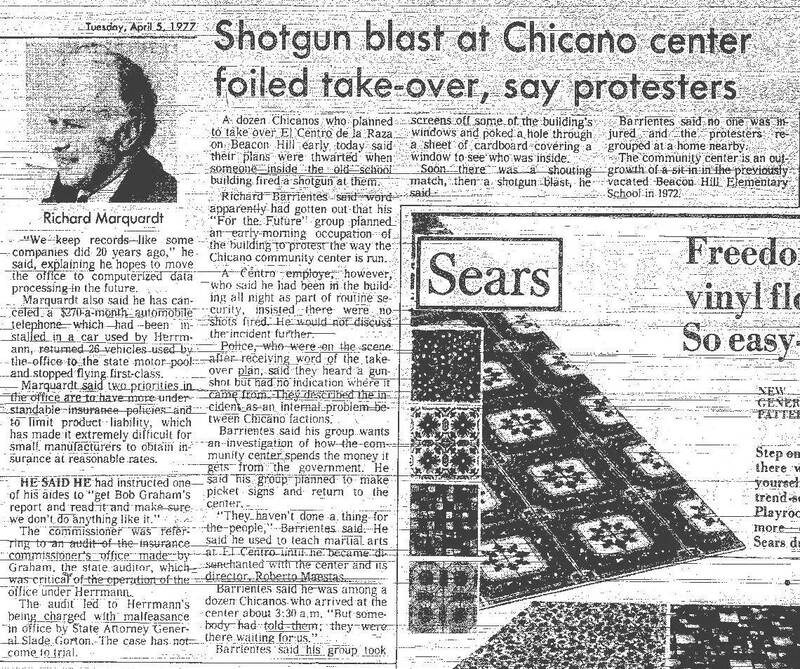 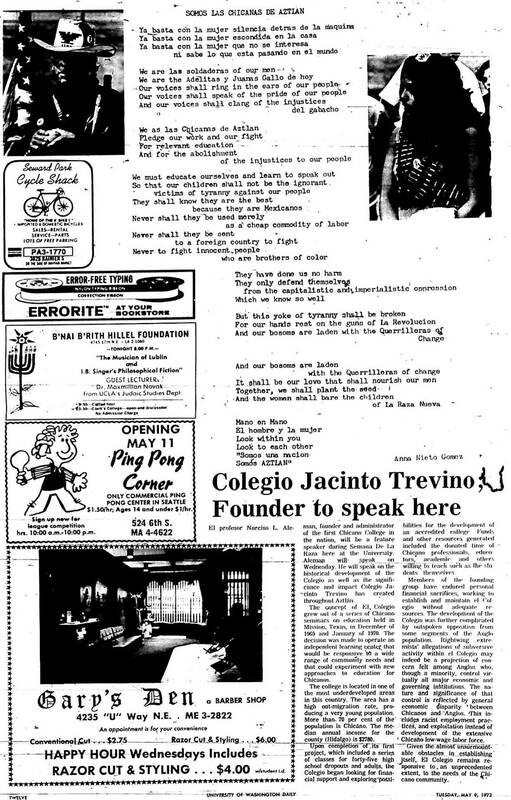 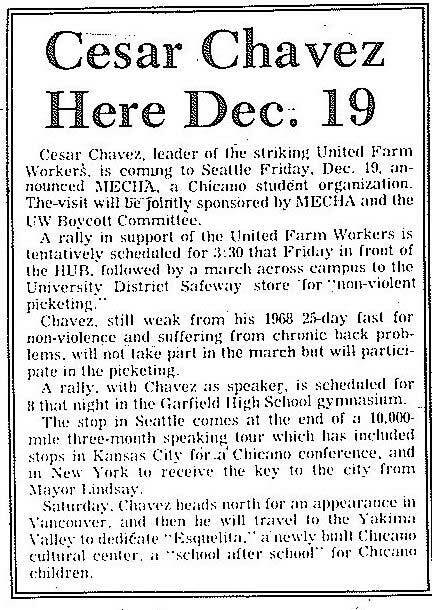 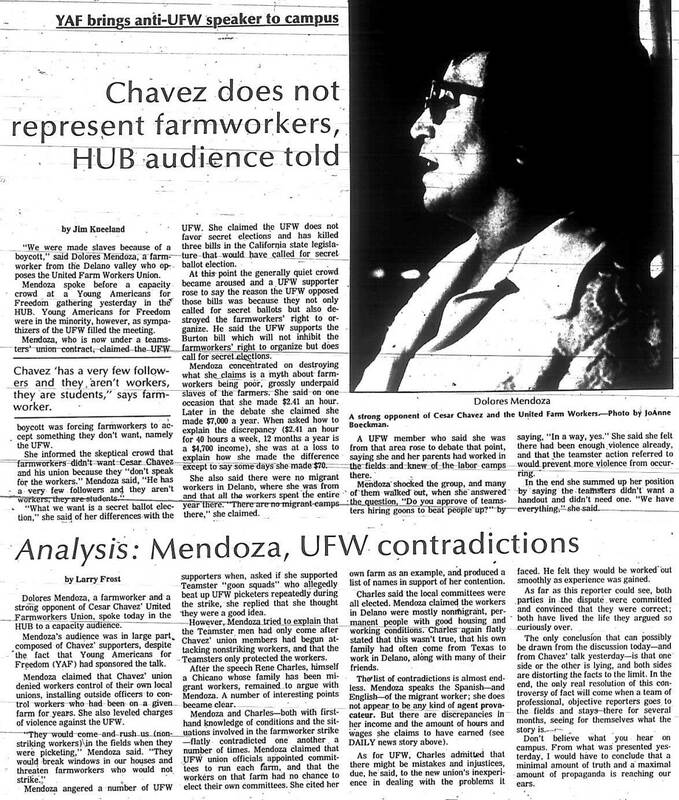 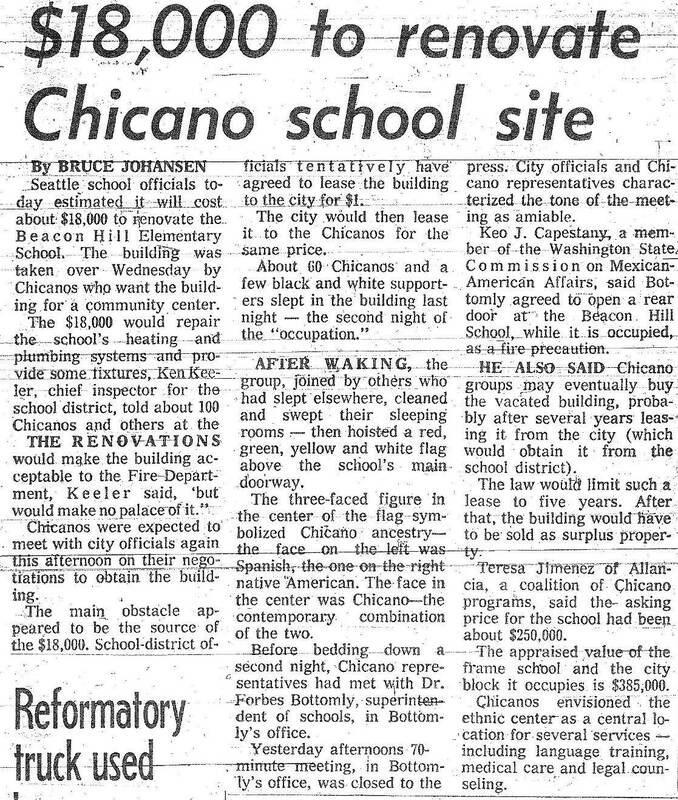 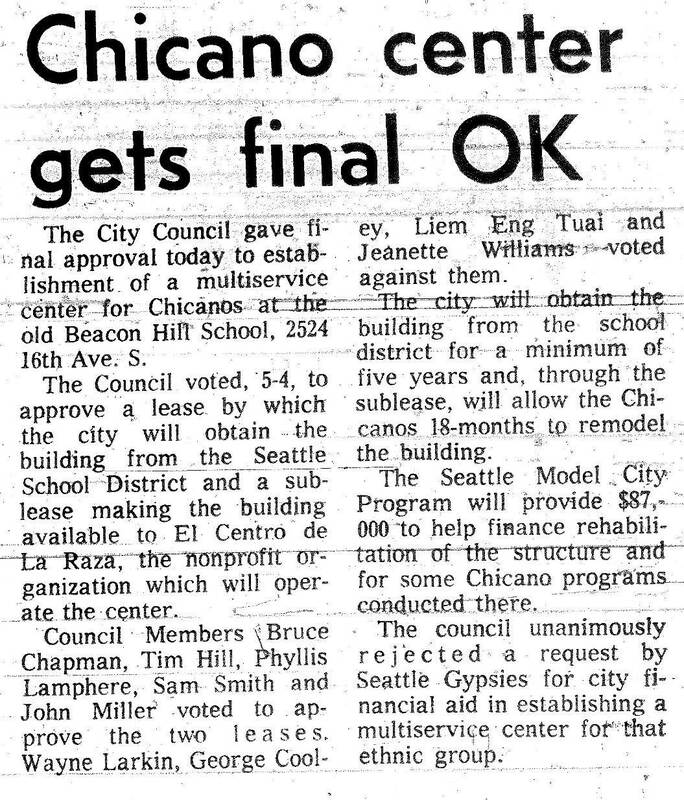 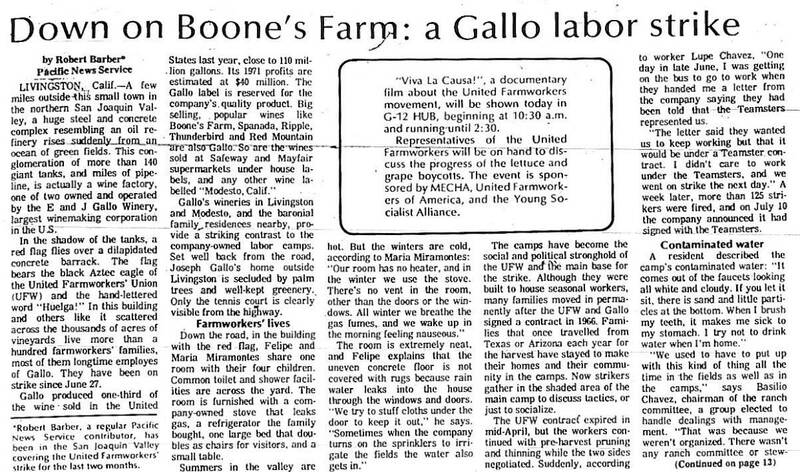 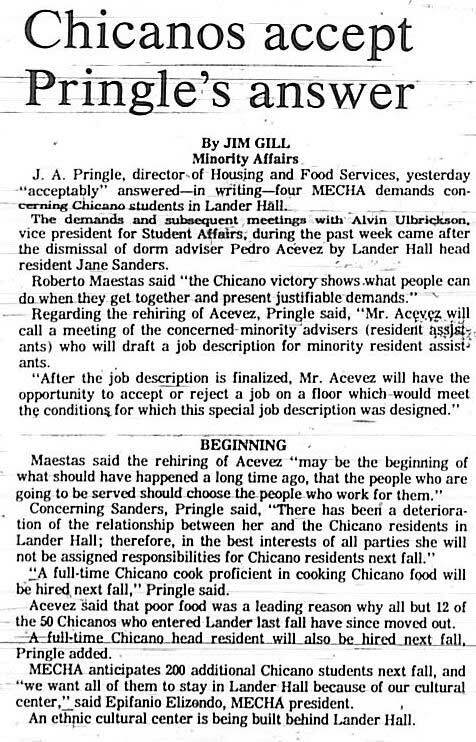 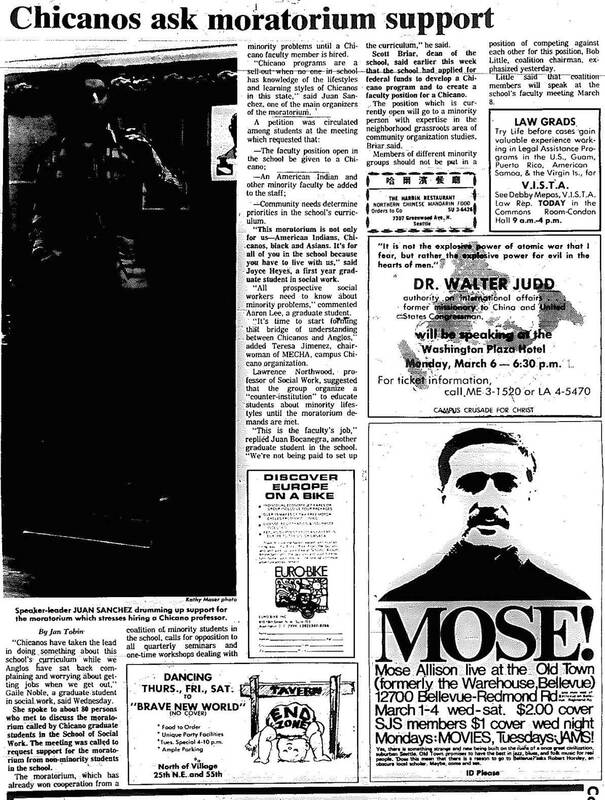 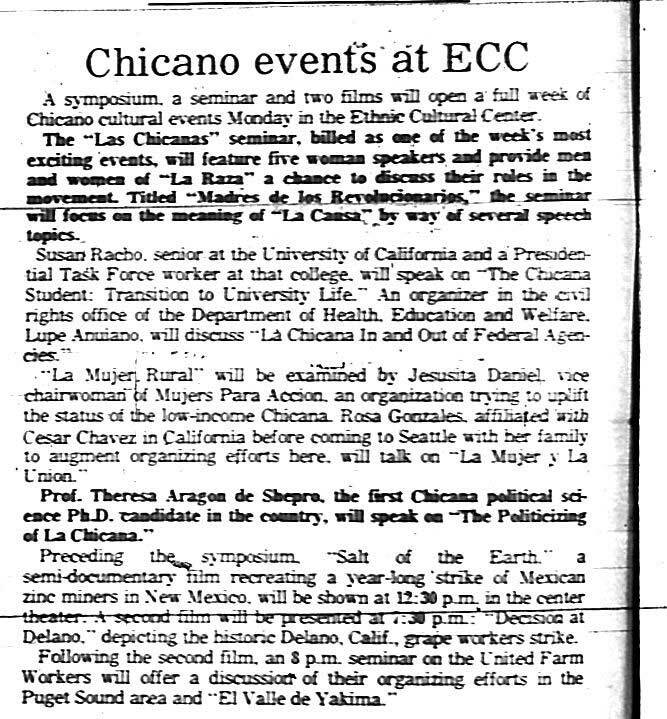 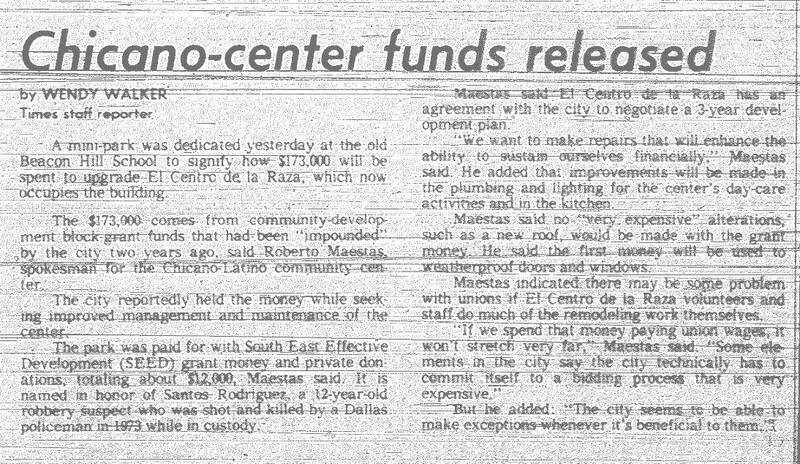 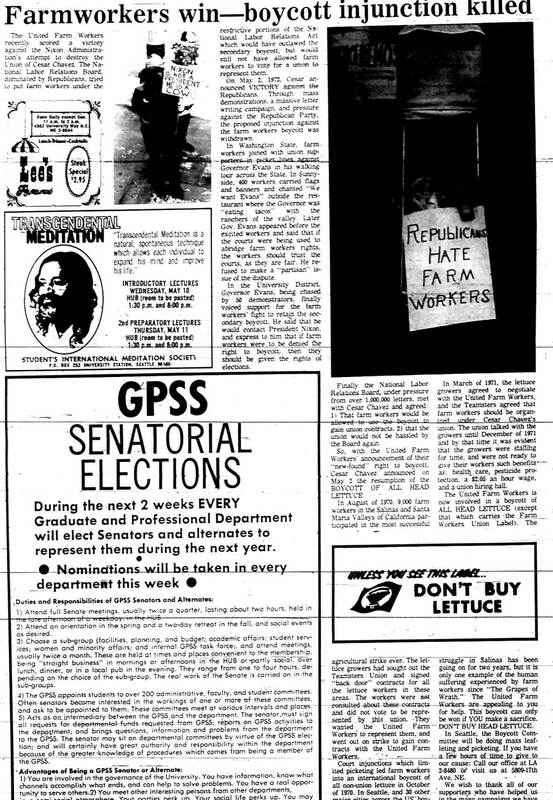 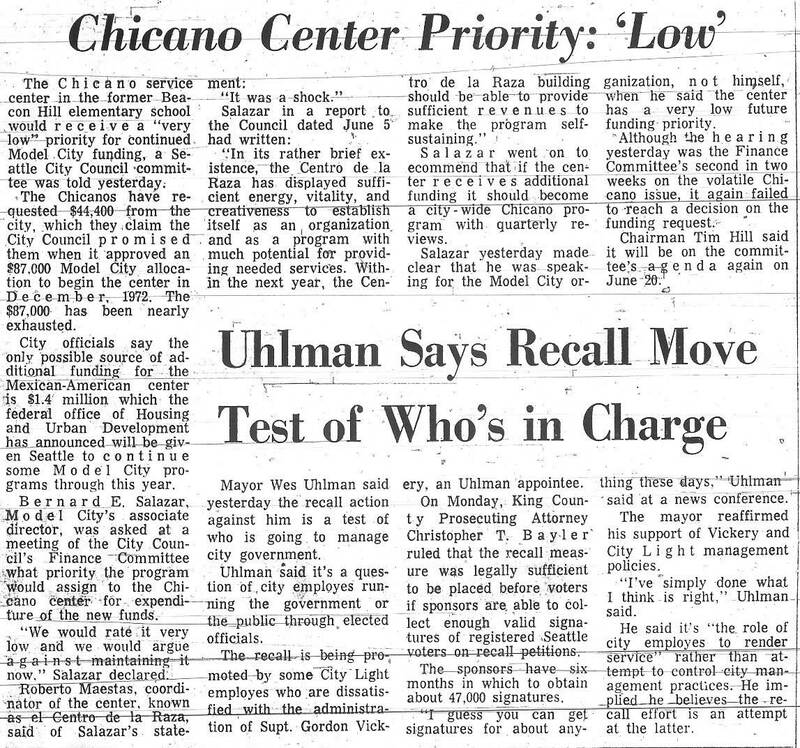 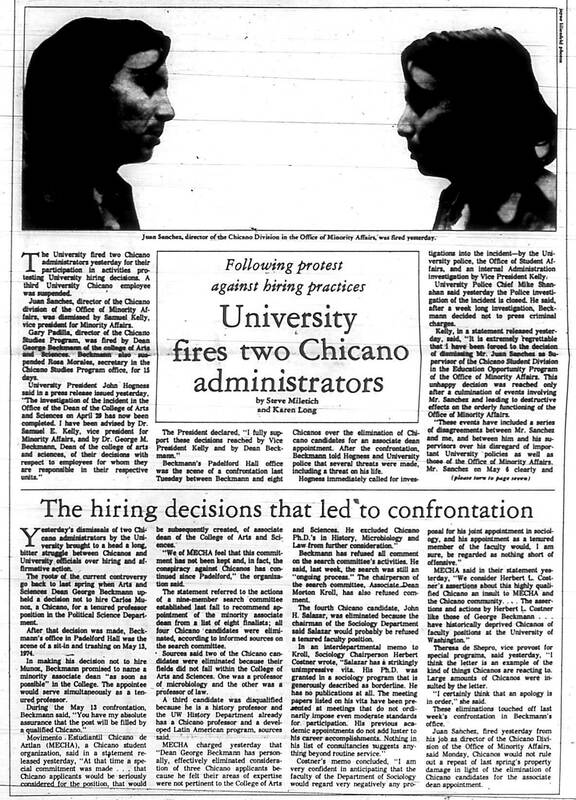 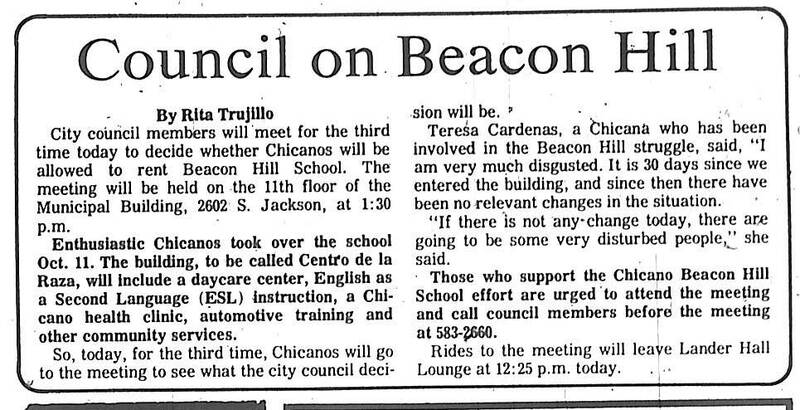 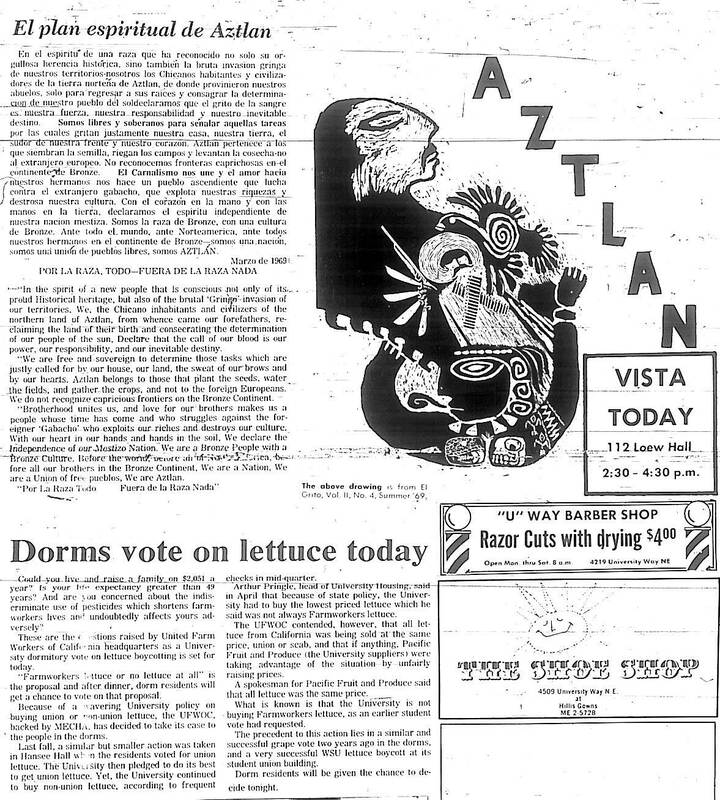 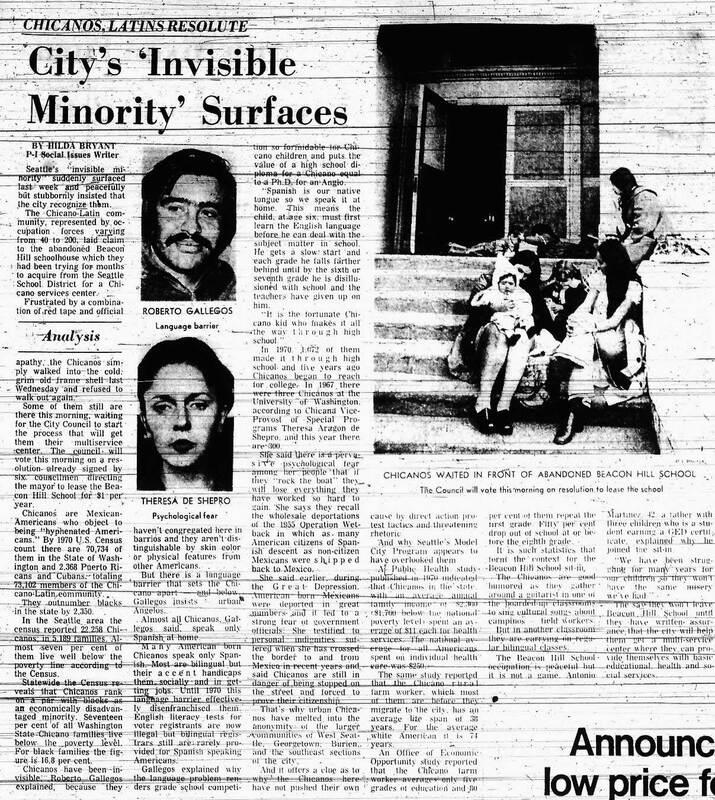 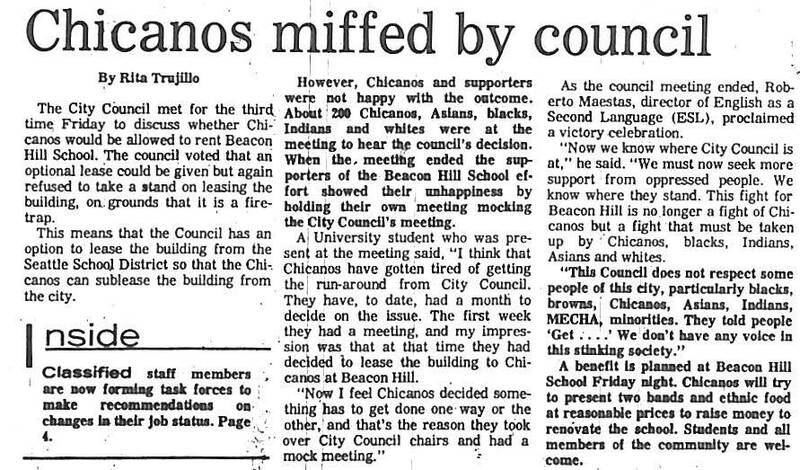 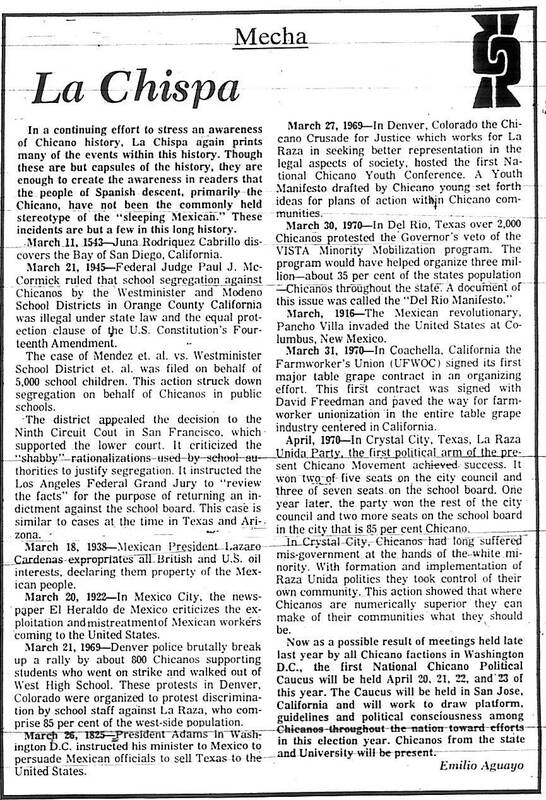 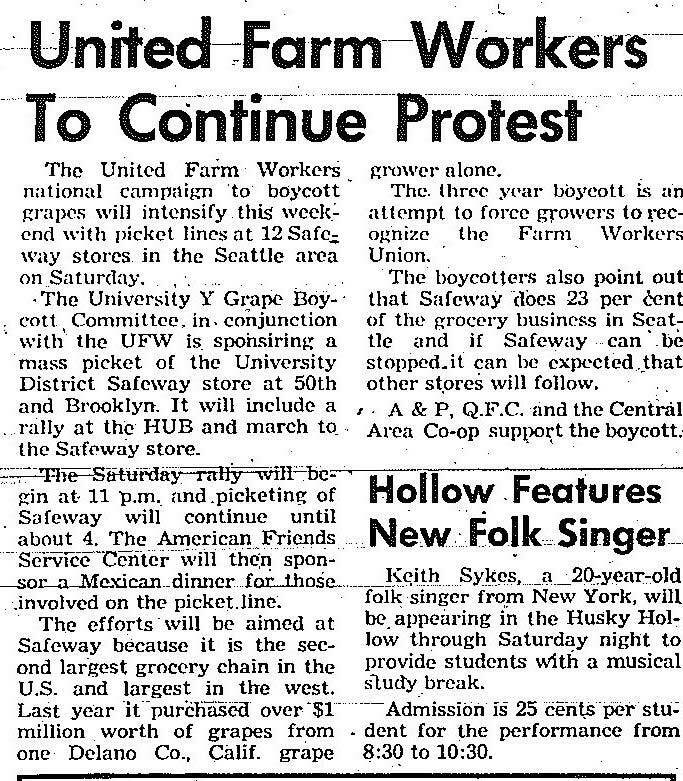 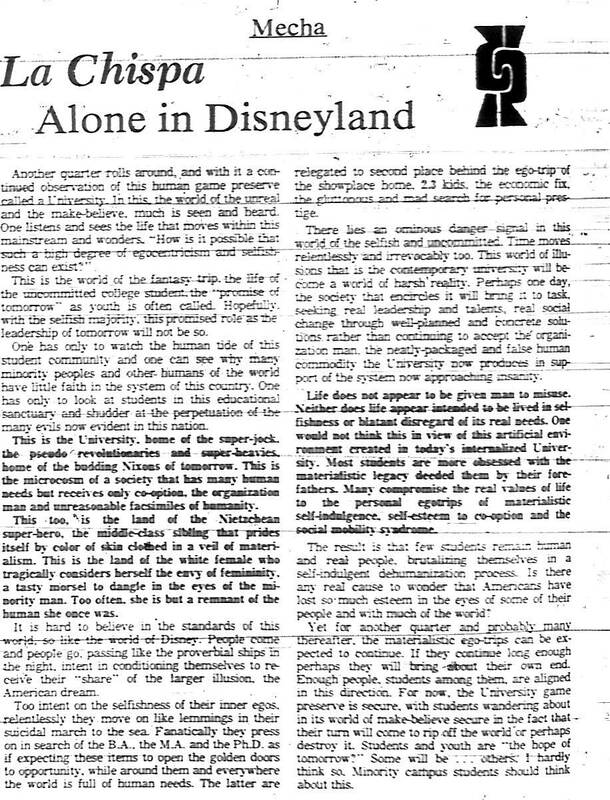 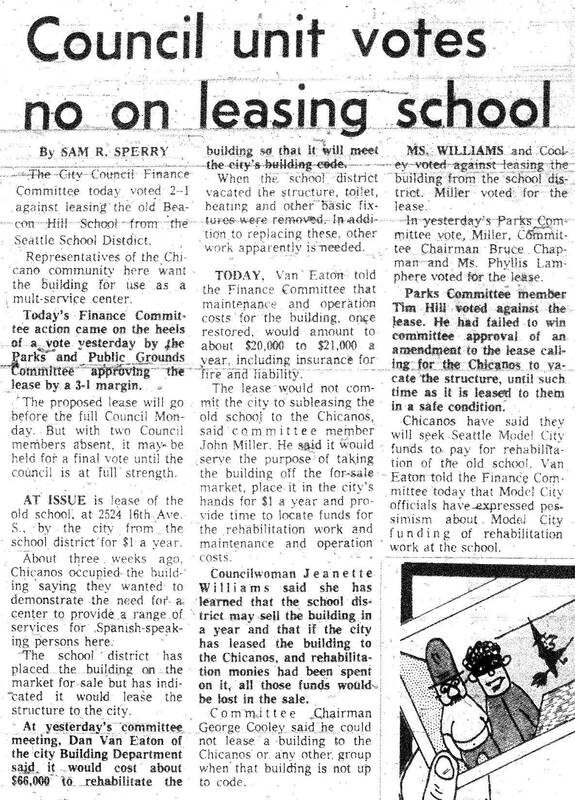 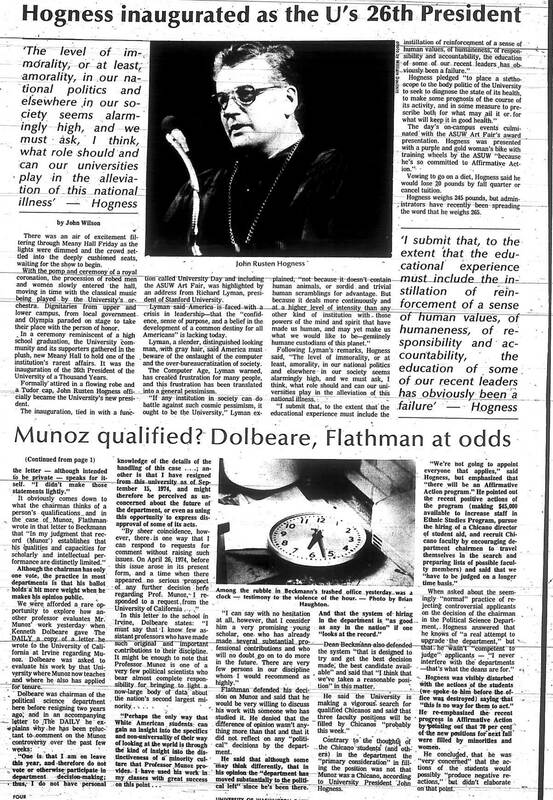 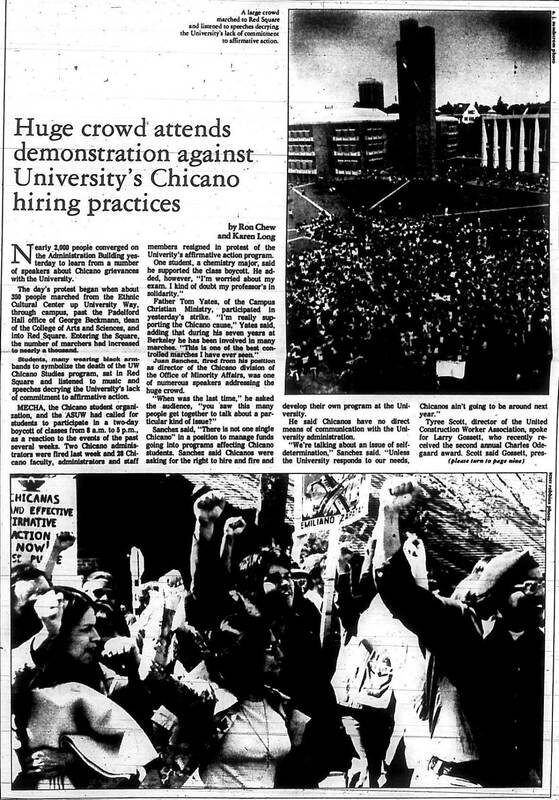 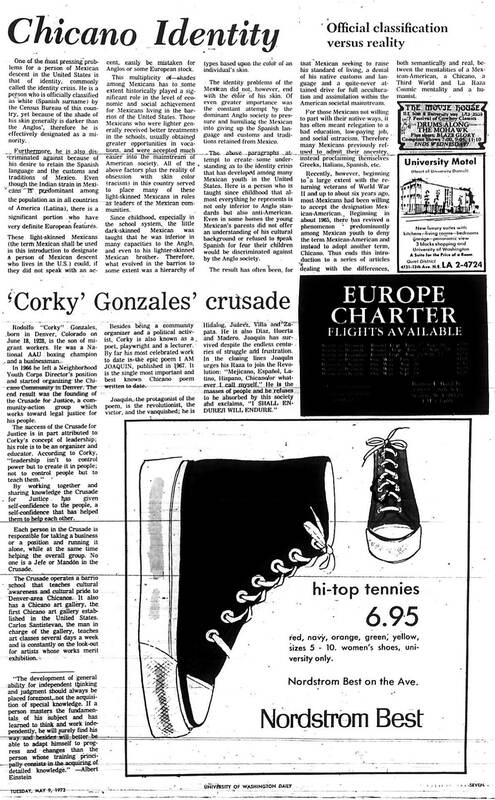 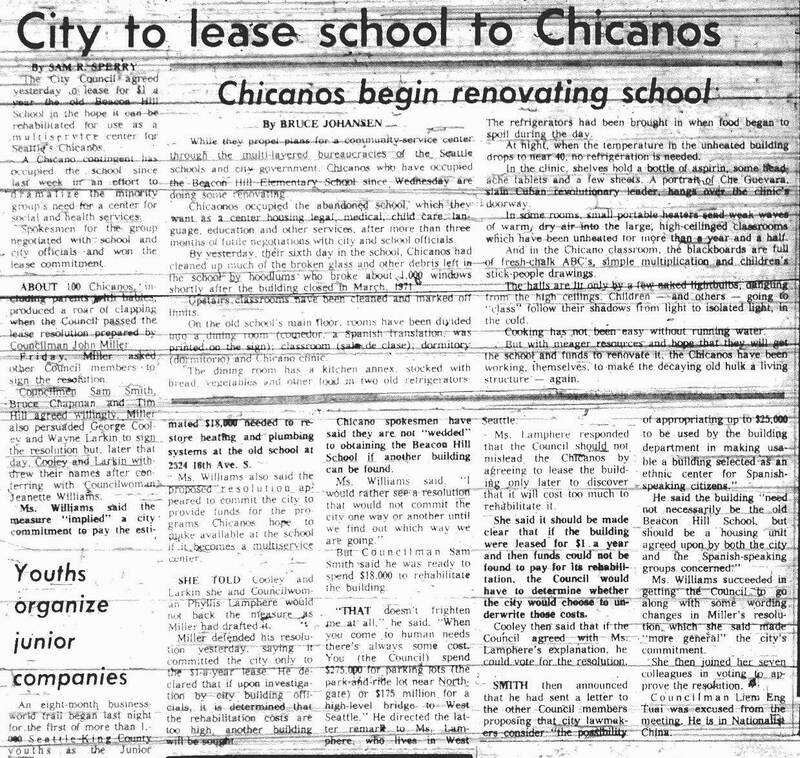 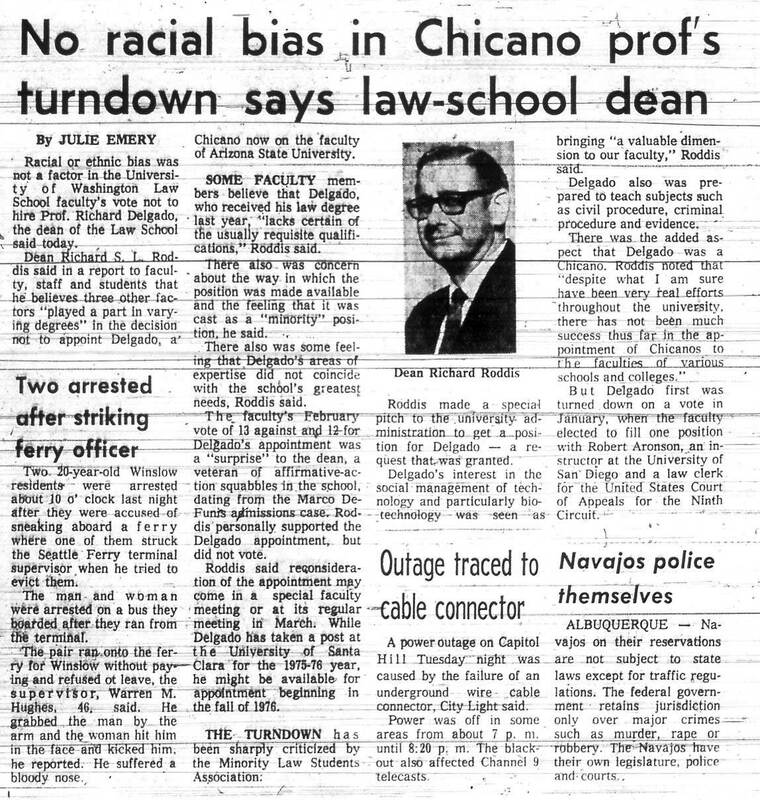 19-Nov-70 Daily UFW union to picket Dow Co.
11-Oct-73 Daily Chicano Centro plans "sleep in"
4-Apr-74 Daily City declares El Centro "Unlawful to Occupy"
14-May-74 Daily Is Munoz qualified? 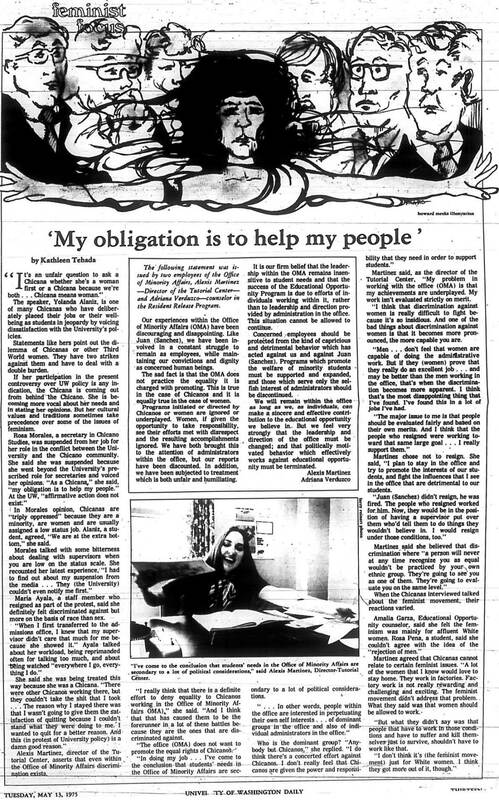 13-May-75 Daily "My obligation is to help my people"